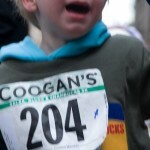 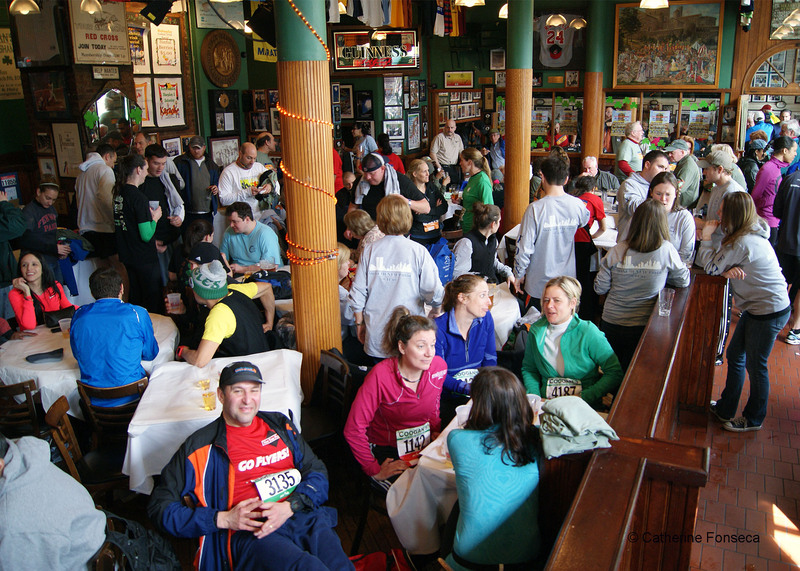 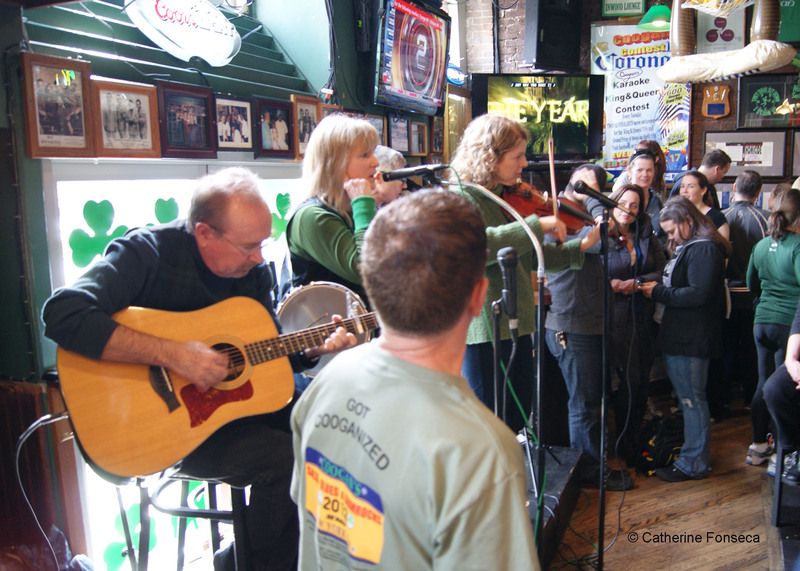 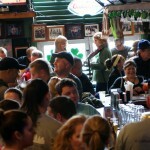 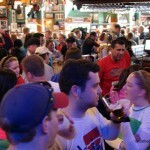 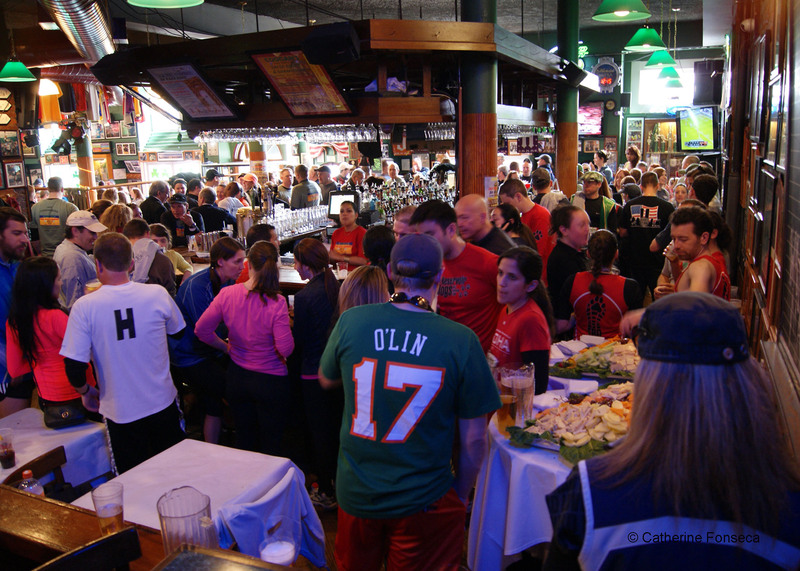 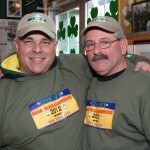 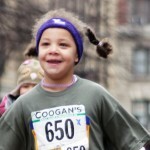 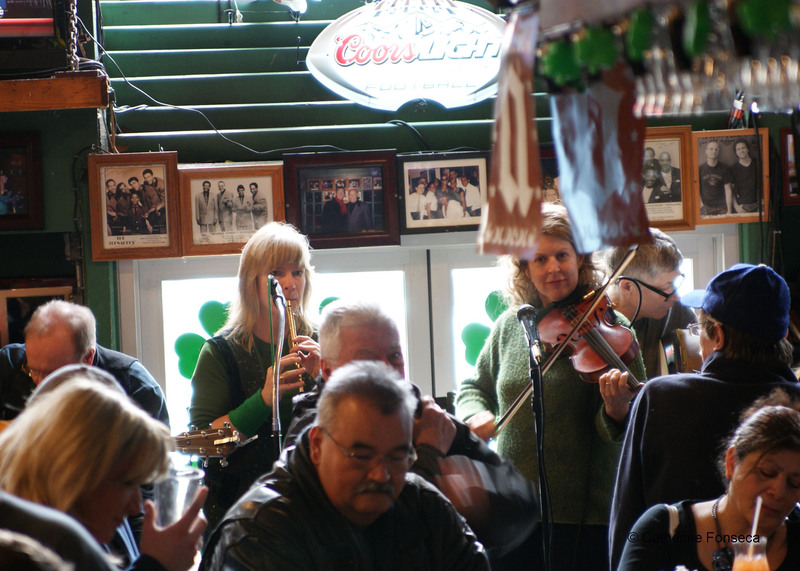 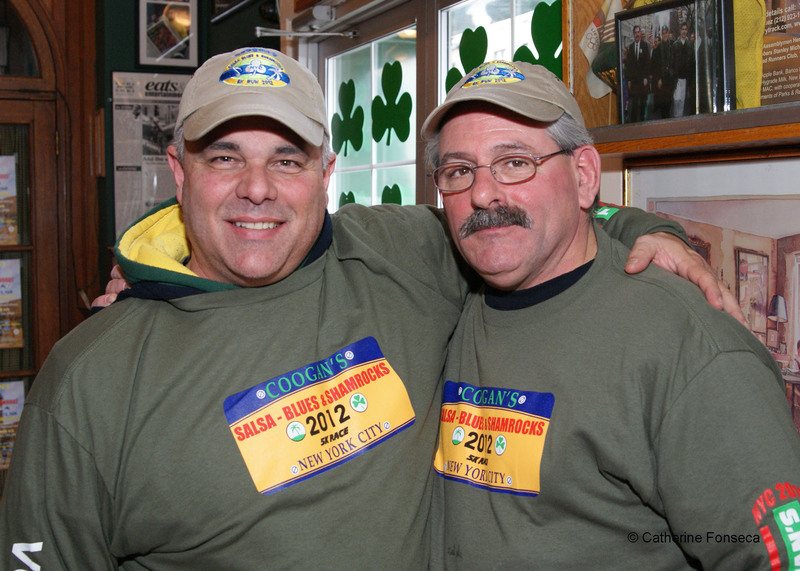 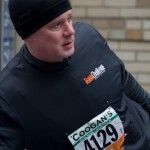 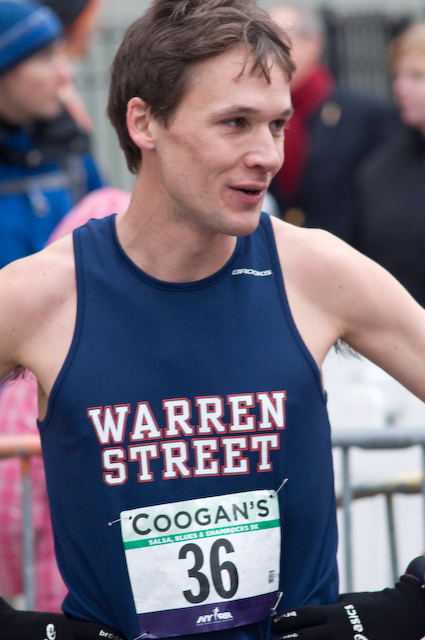 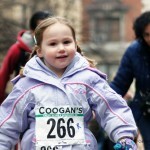 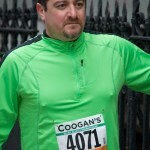 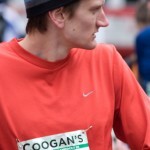 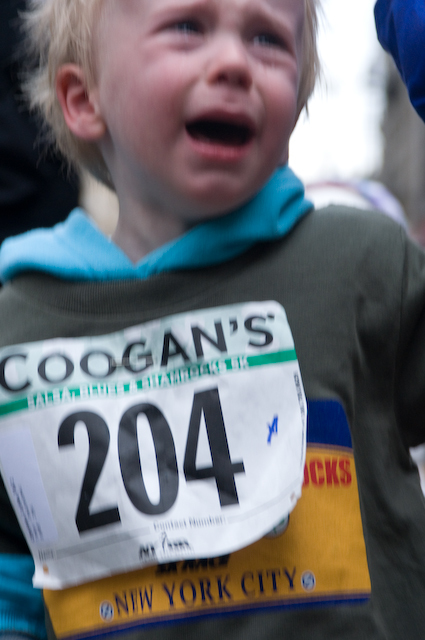 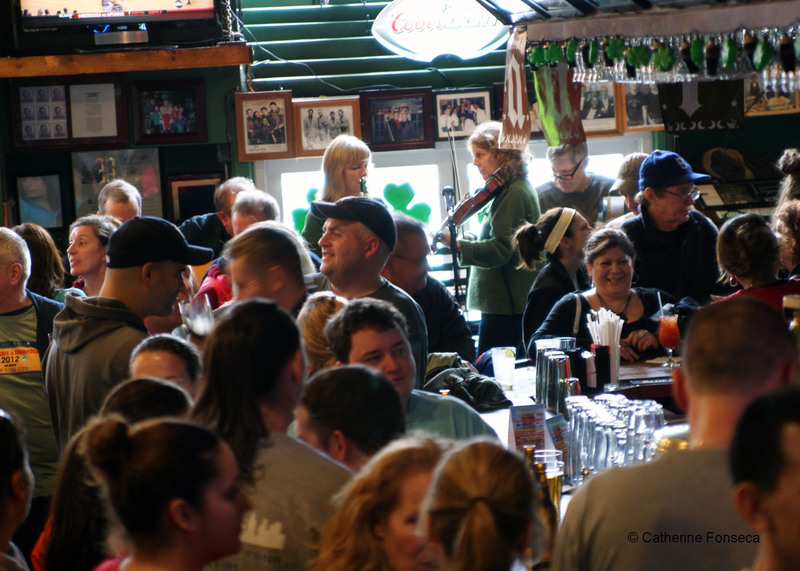 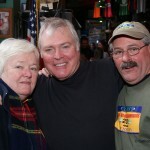 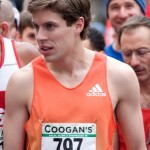 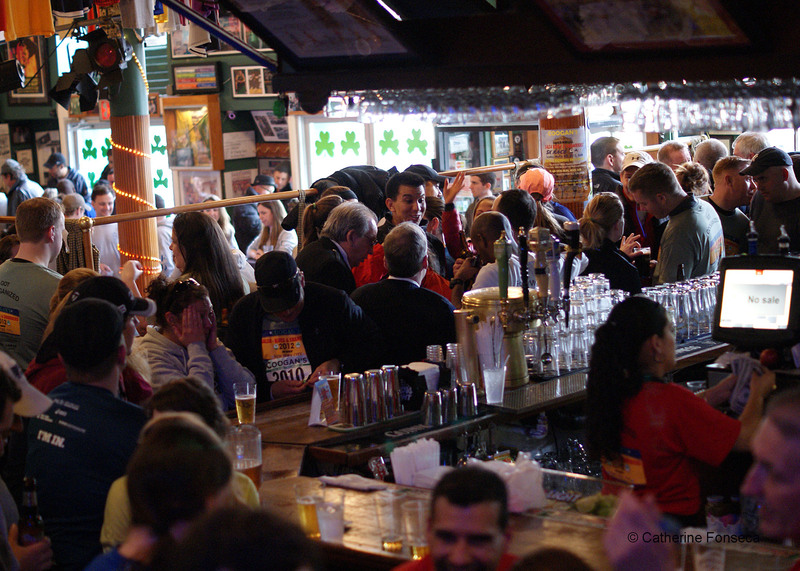 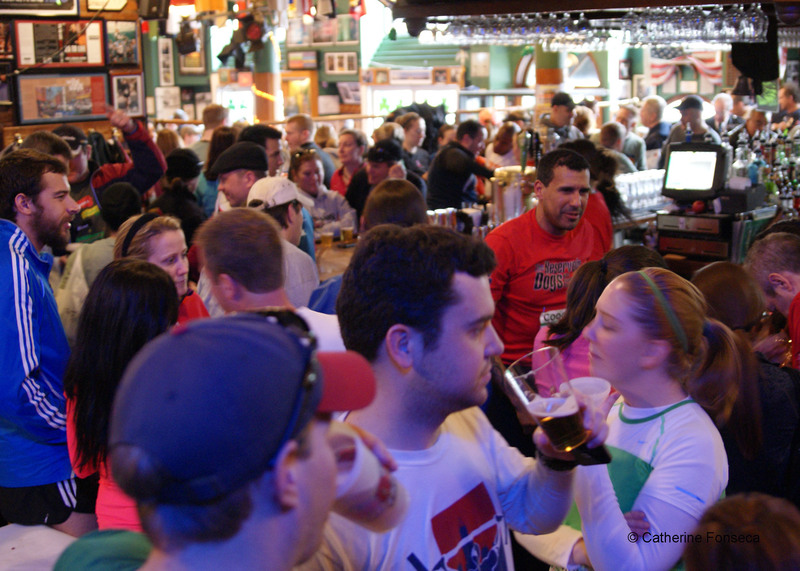 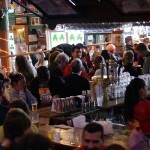 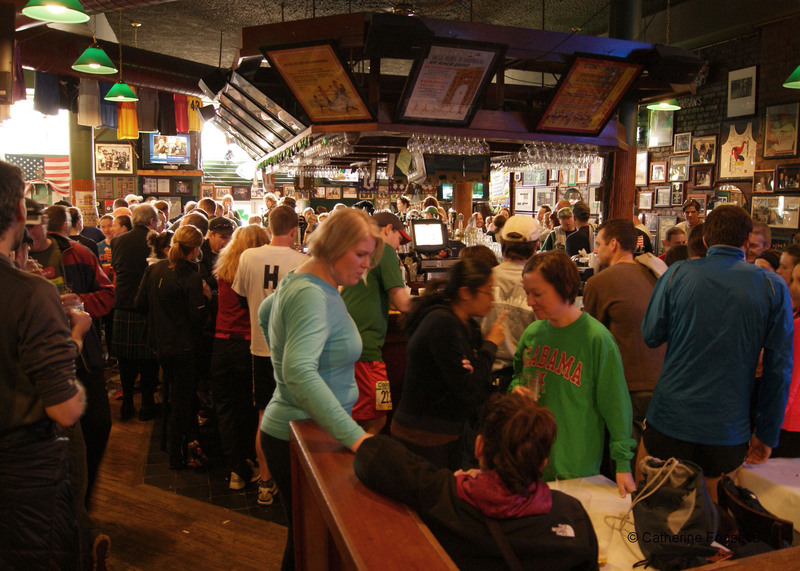 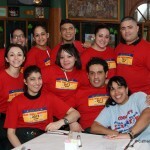 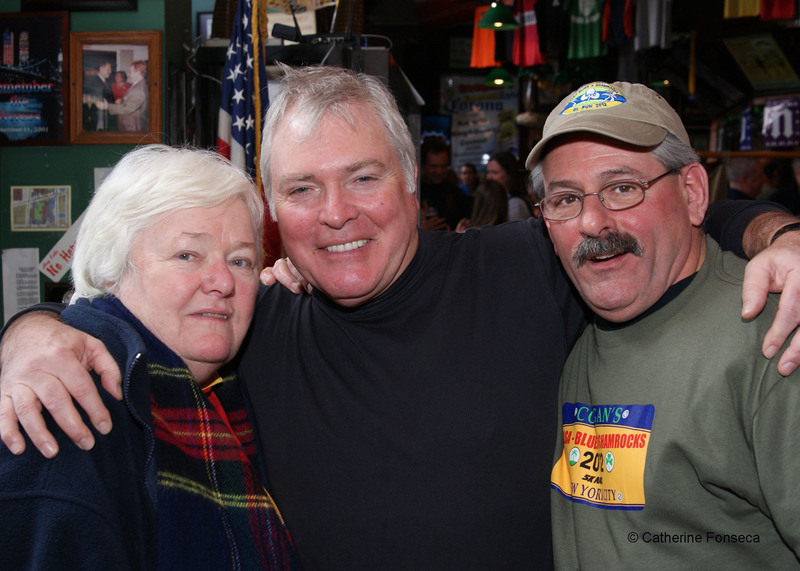 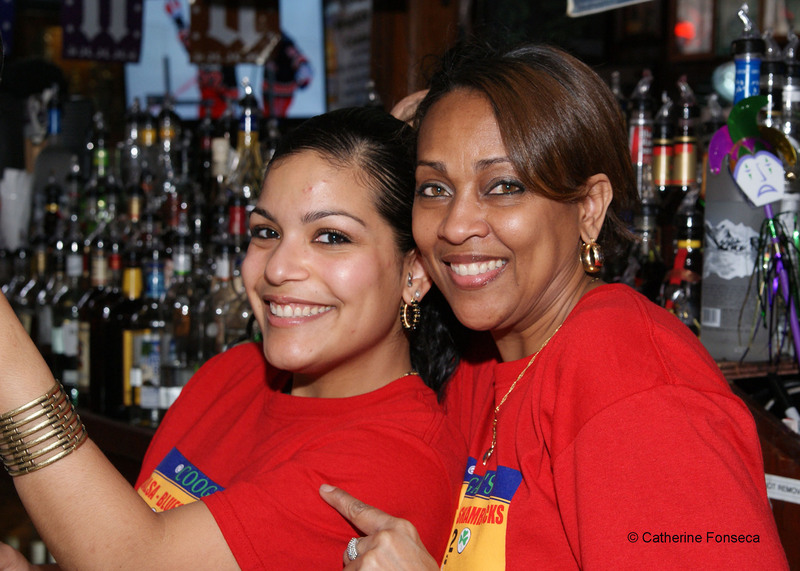 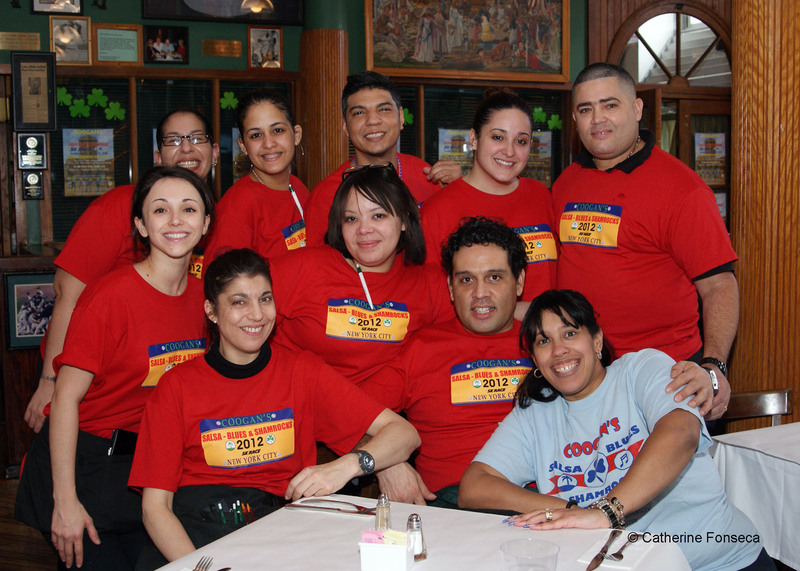 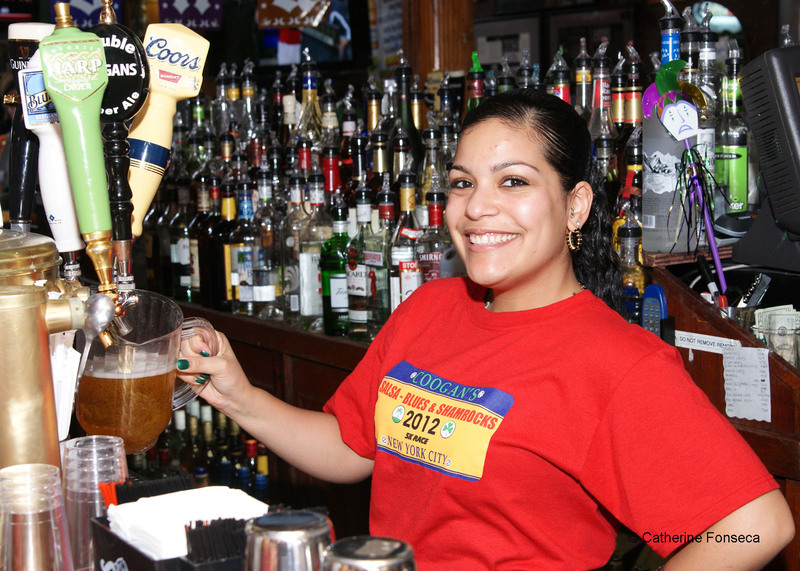 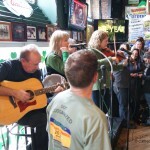 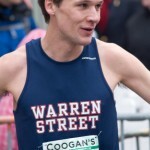 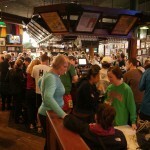 Coogan’s is the home of the “Salsa, Blues and Shamrocks 5K Run” For fourteen years now, Coogan’s has been the sponsor of this race. 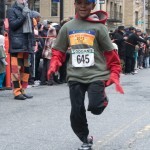 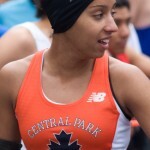 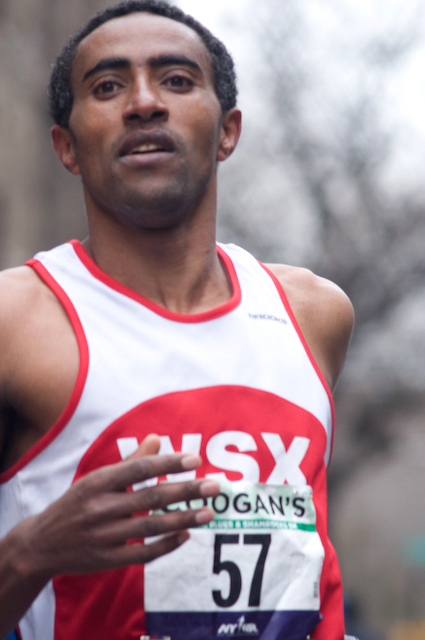 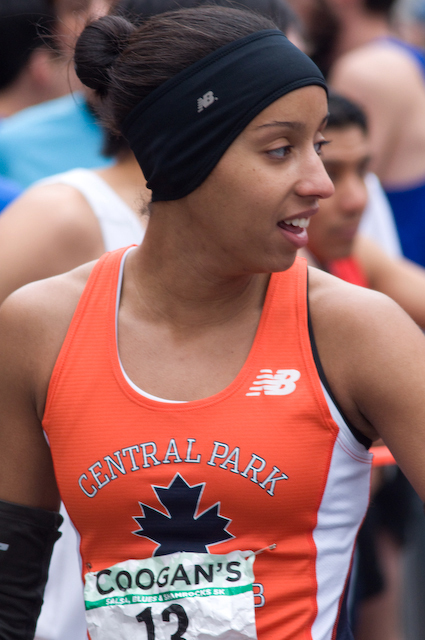 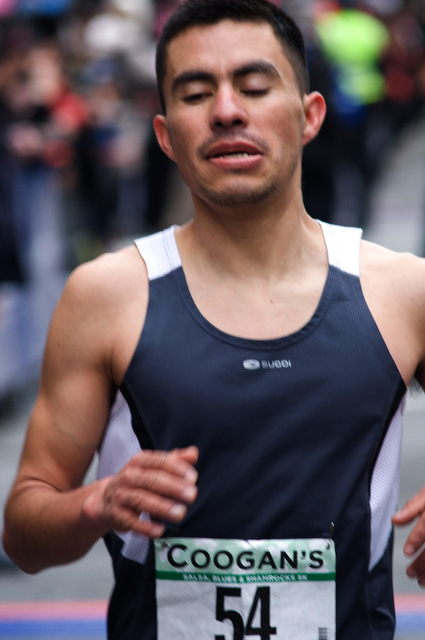 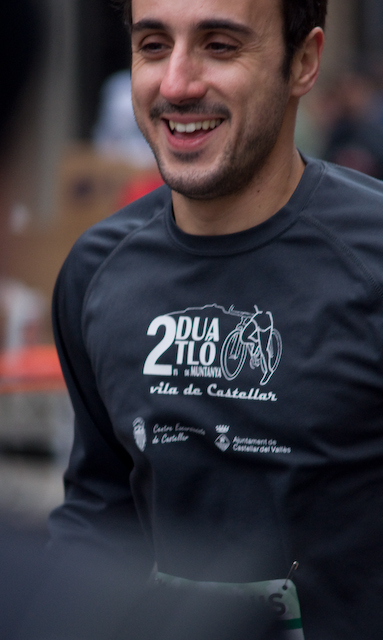 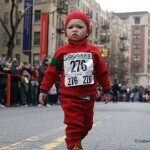 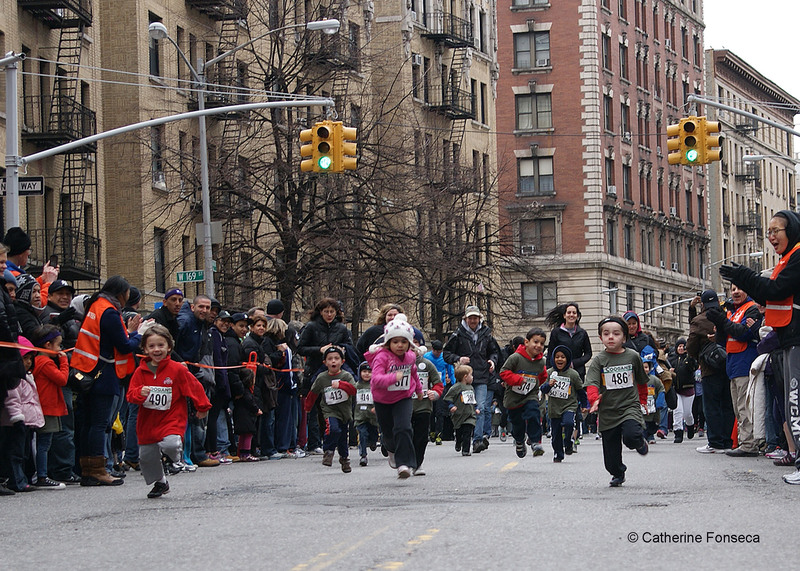 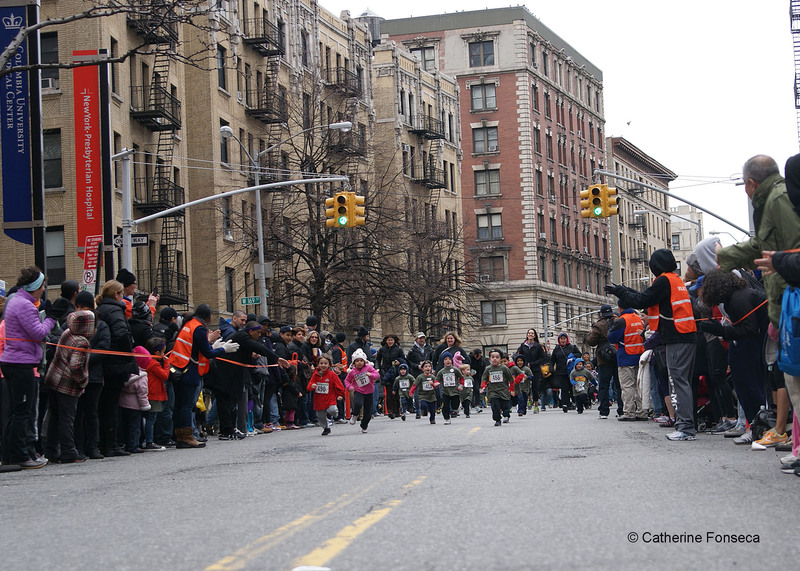 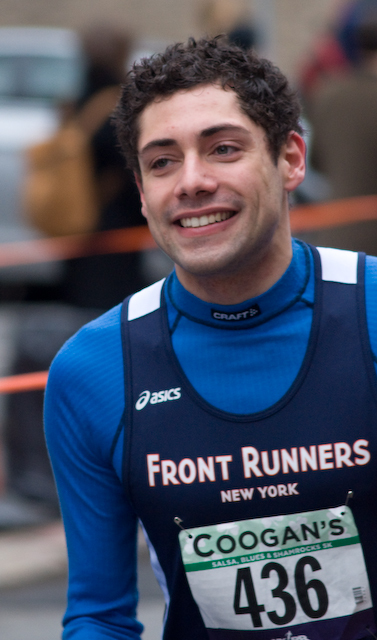 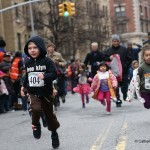 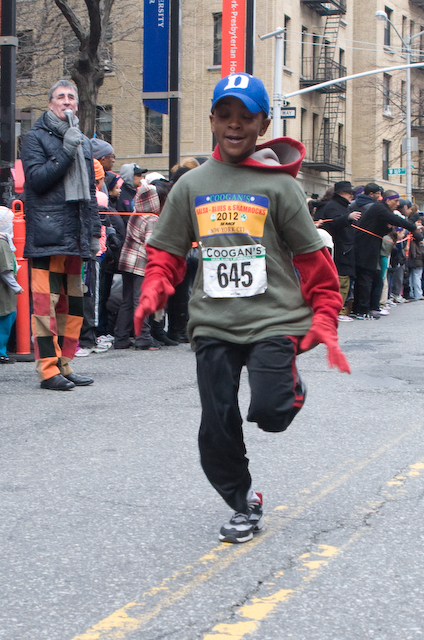 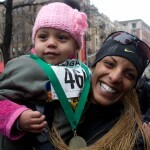 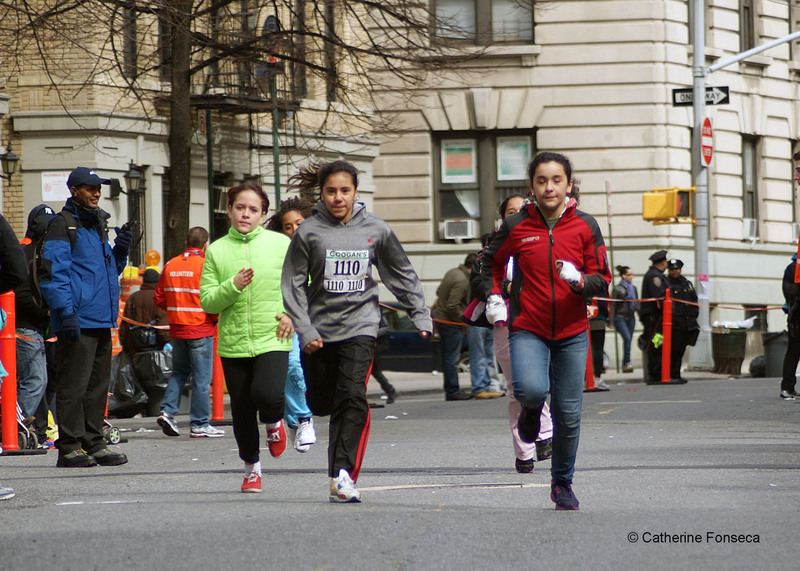 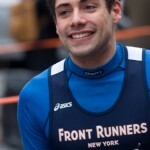 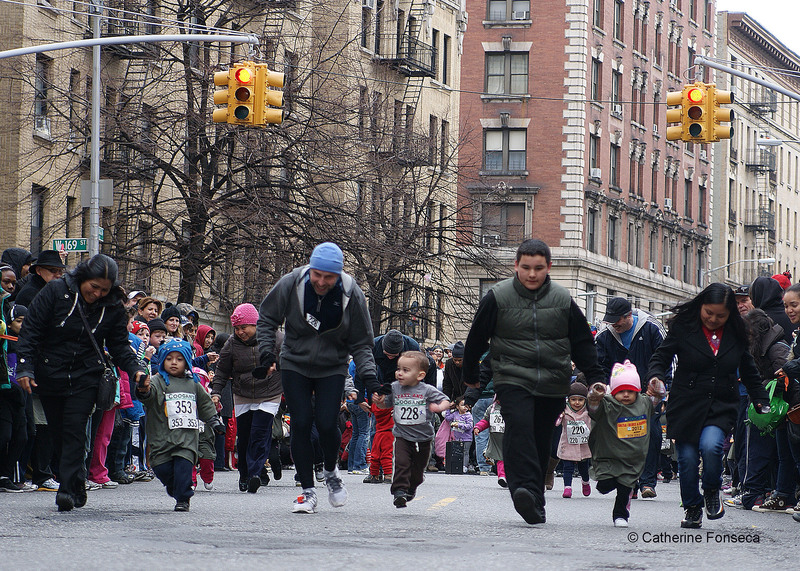 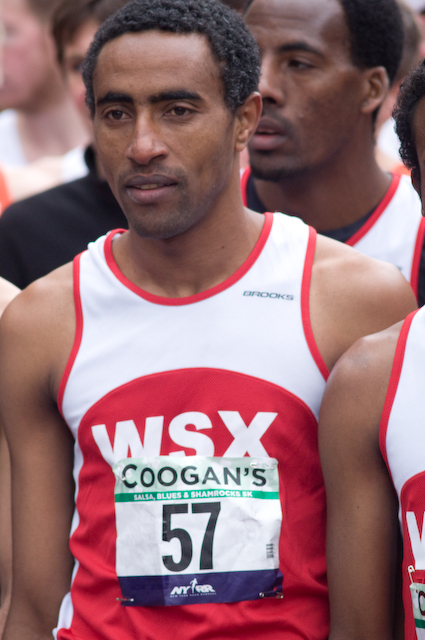 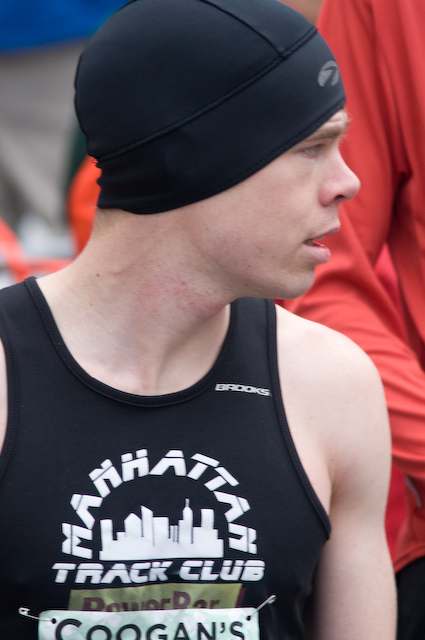 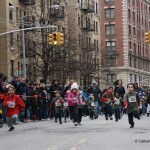 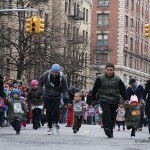 The race is held annually, and it takes to the neighborhood streets in Washington Heights, including a loop through historic Fort Tyron Park. 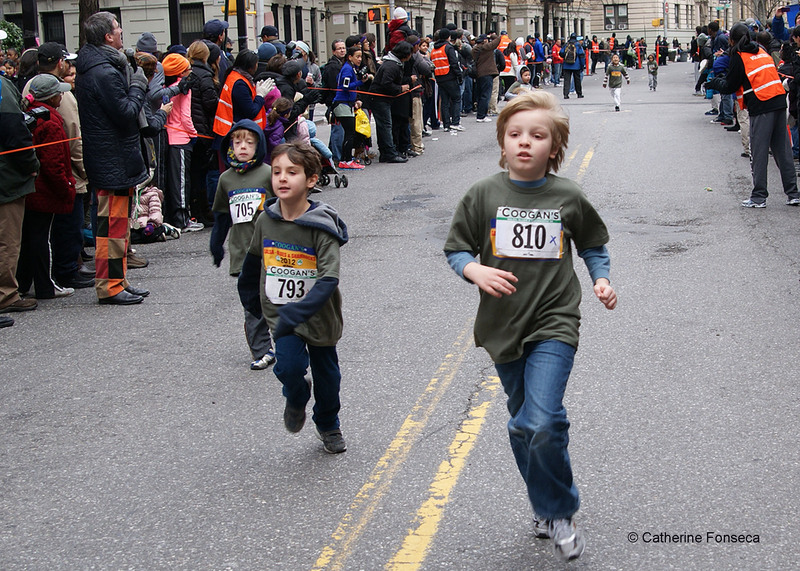 Spirited kid races followed the 5K, and music, from bagpipes to banjoes and salsa dancers, fill the air from start to finish. 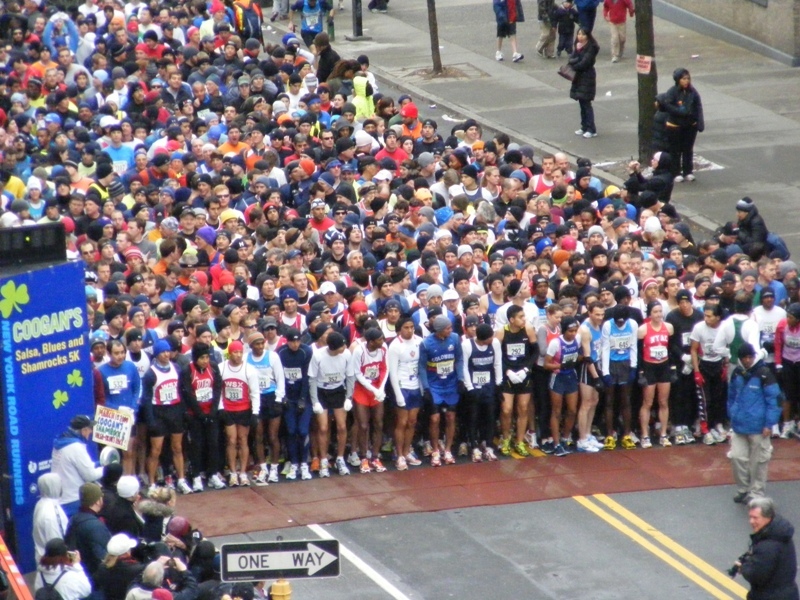 More than 5000 runners of all ages including world class competitors along with local celebrities will participate in the race. 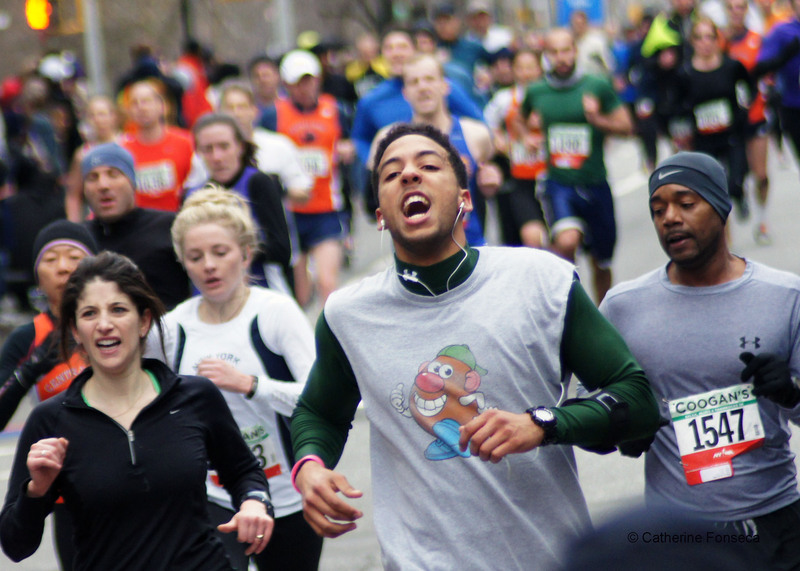 A collage of over 27 different musical groups including gospel, bagpipes, meringue, klezmer, salsa and brass bands – will serenade the runners along the route. 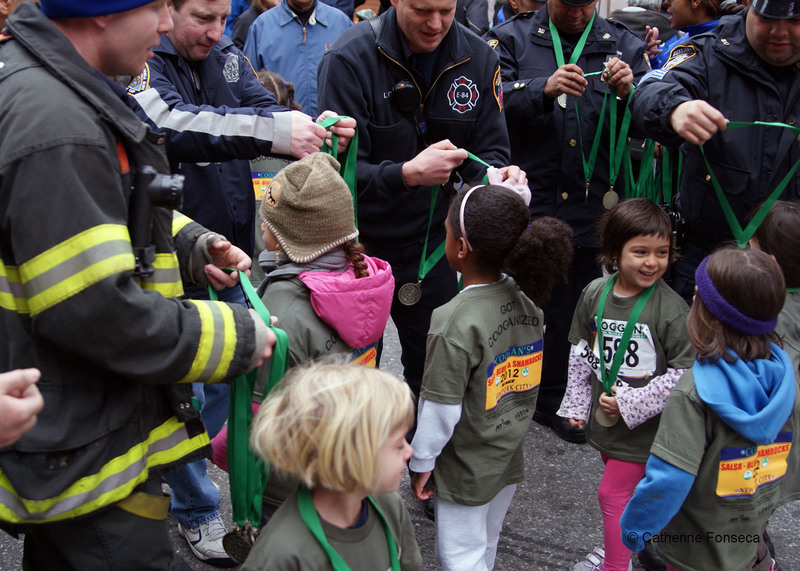 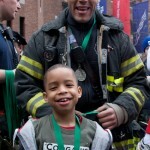 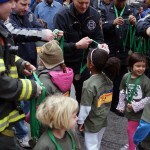 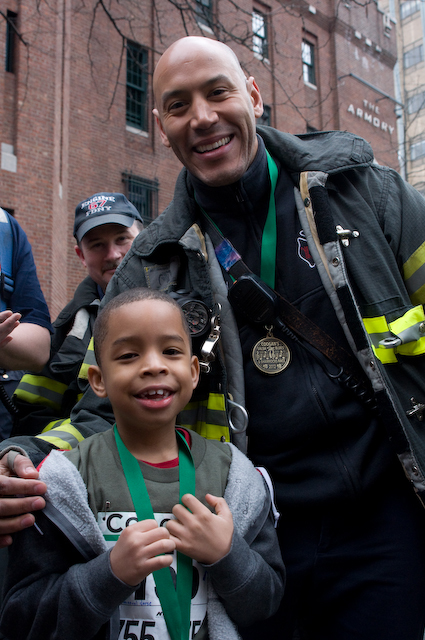 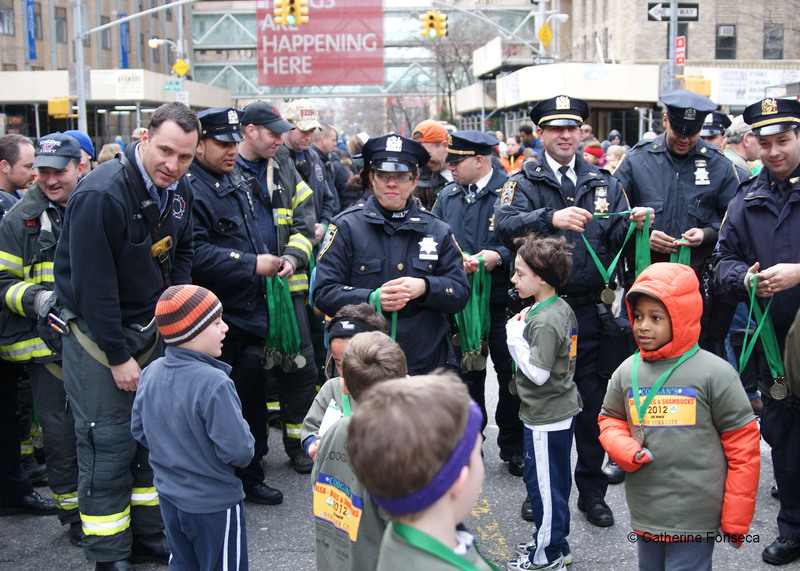 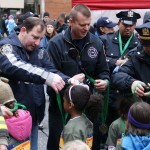 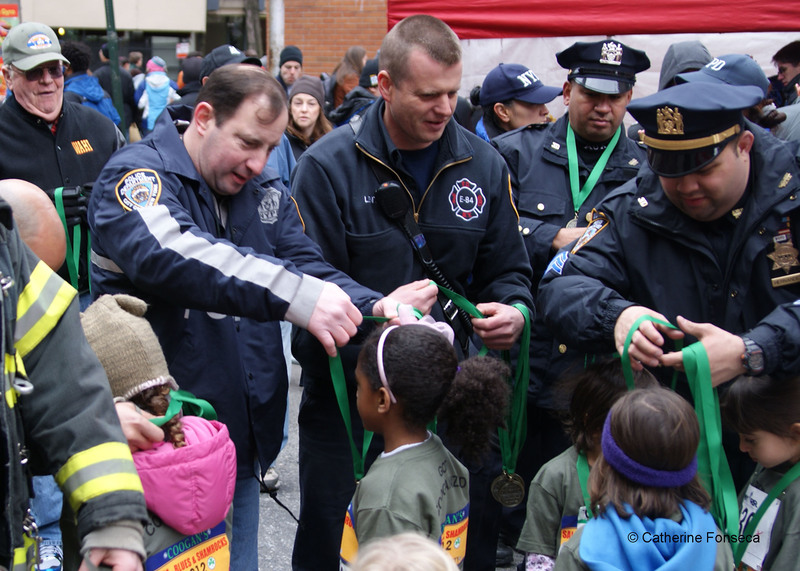 Hundreds of kids’ running their hearts out all receive their Olympic style medals awarded by local firefighters and policemen. 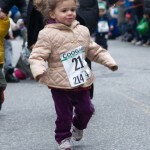 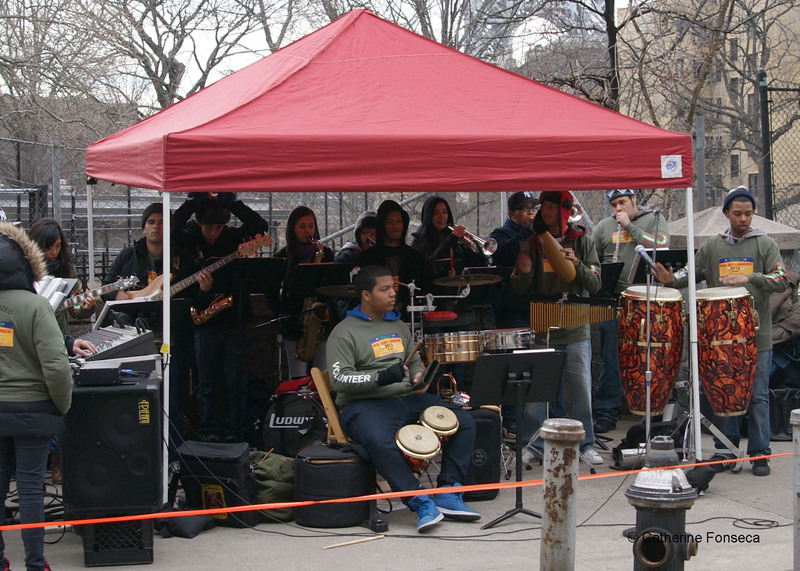 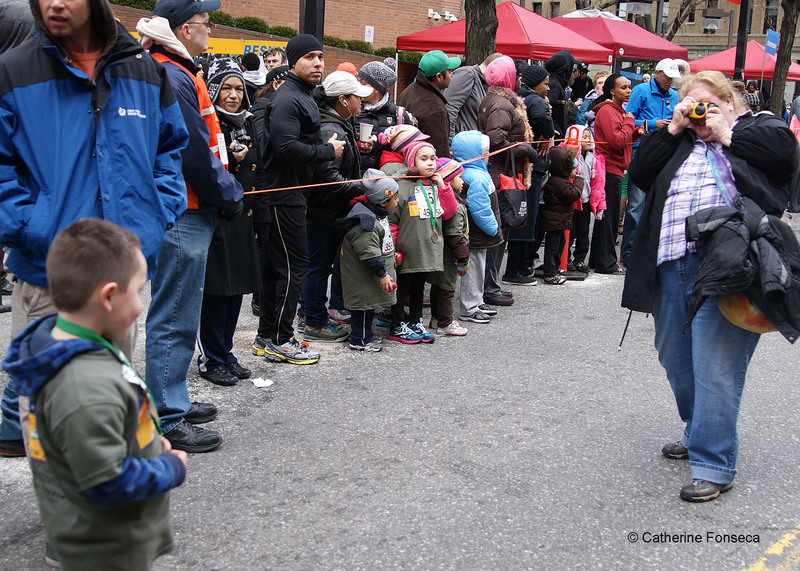 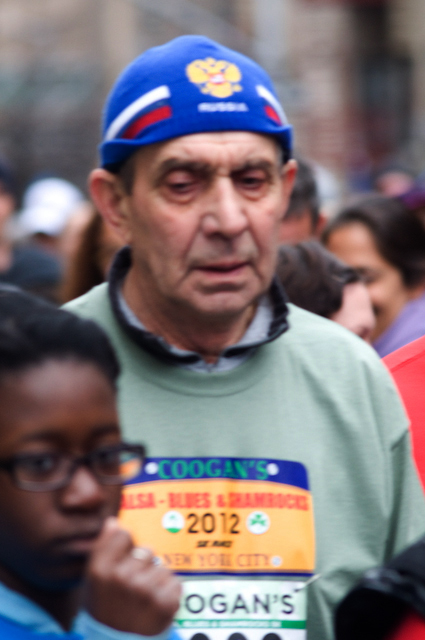 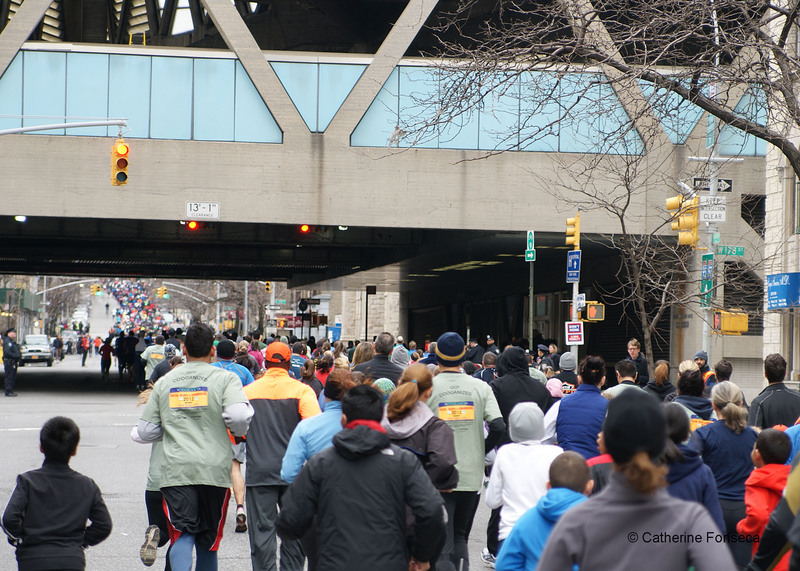 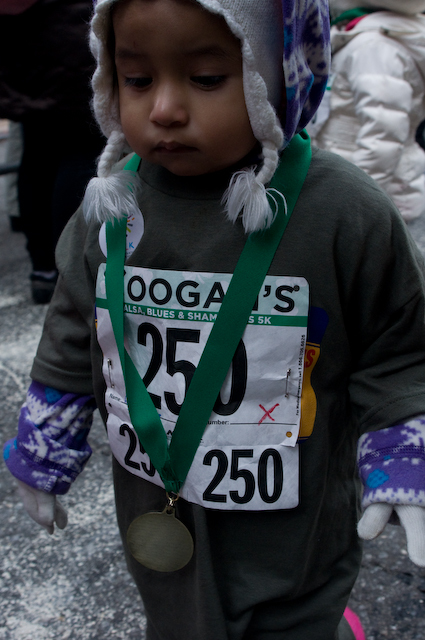 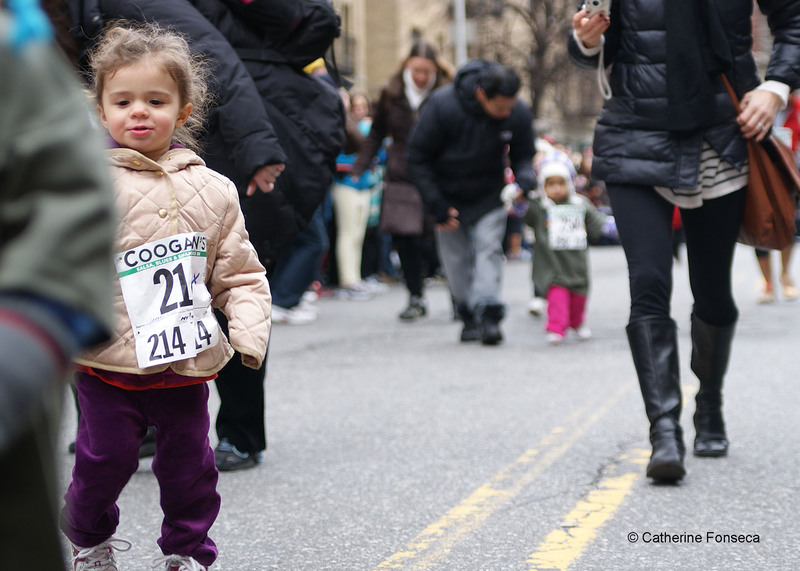 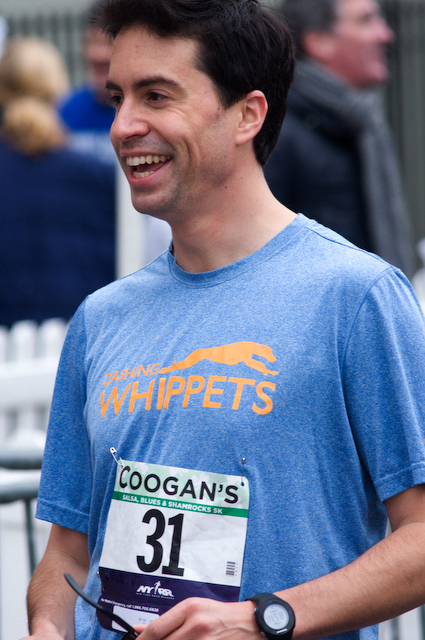 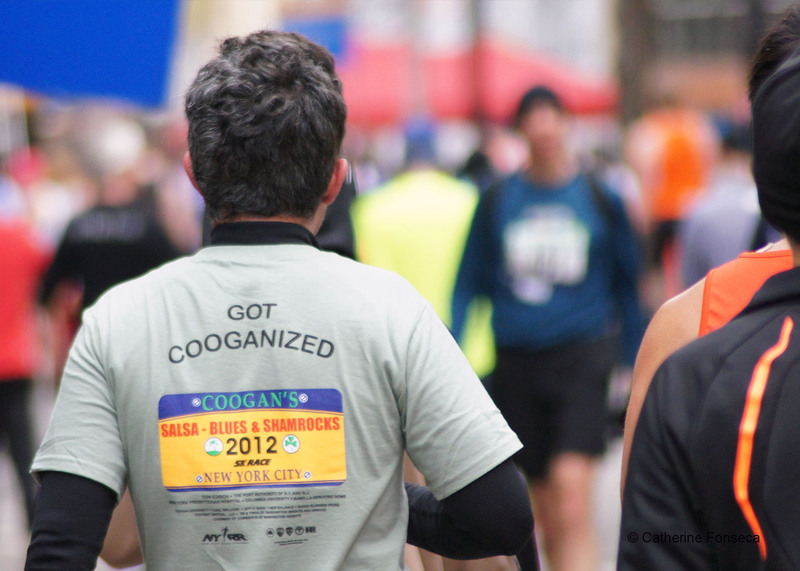 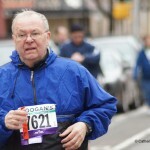 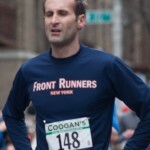 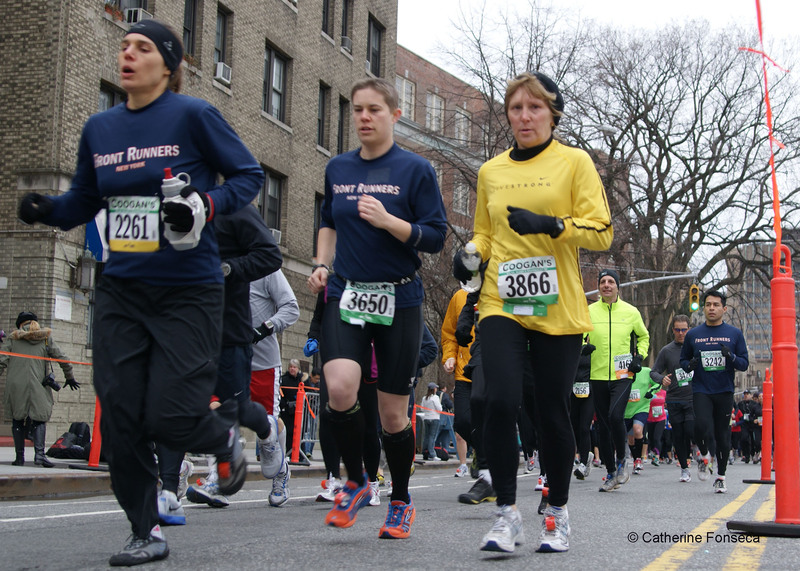 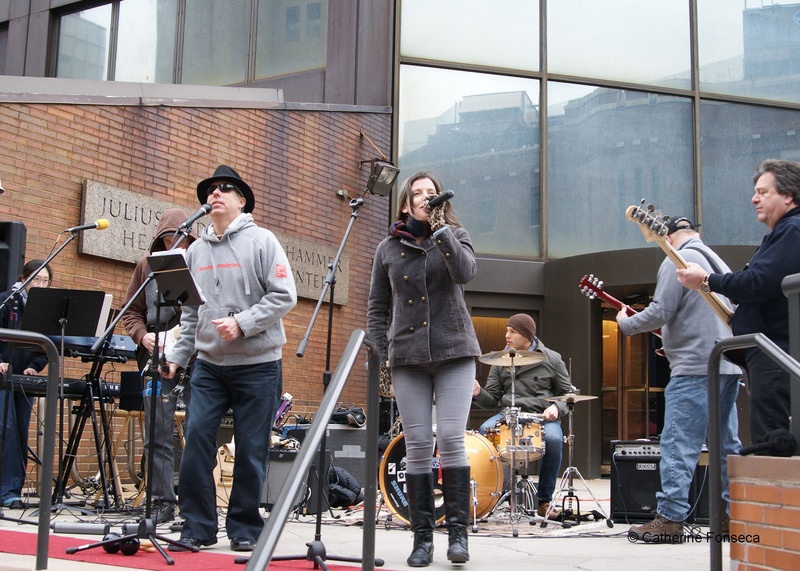 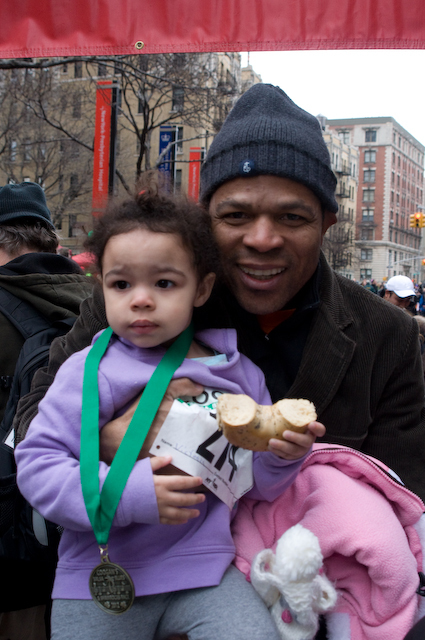 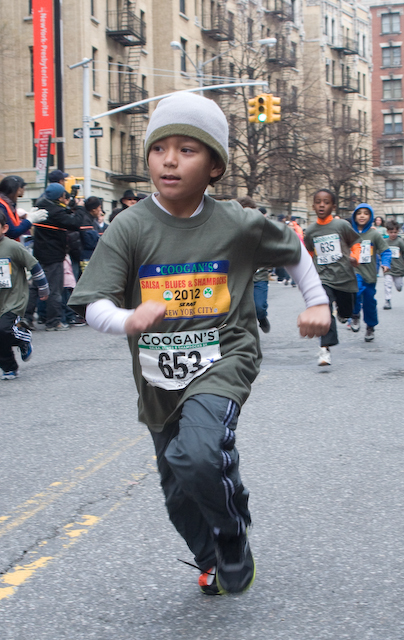 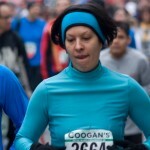 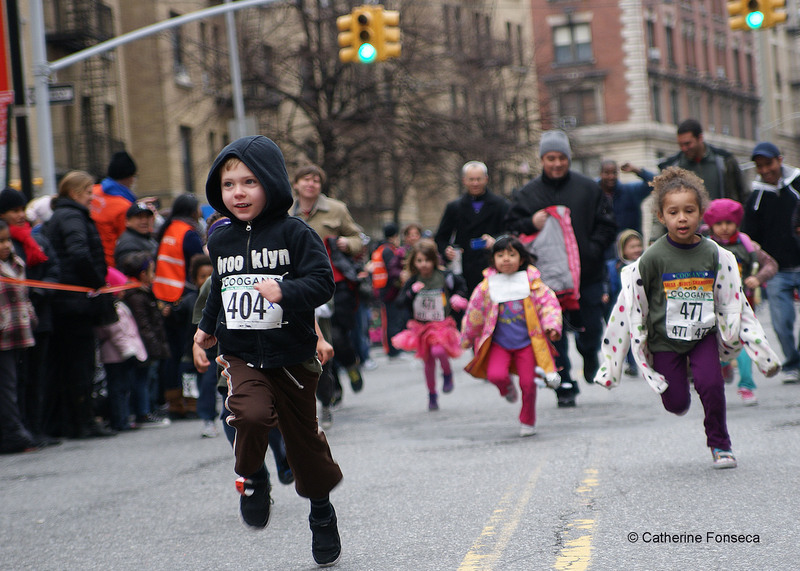 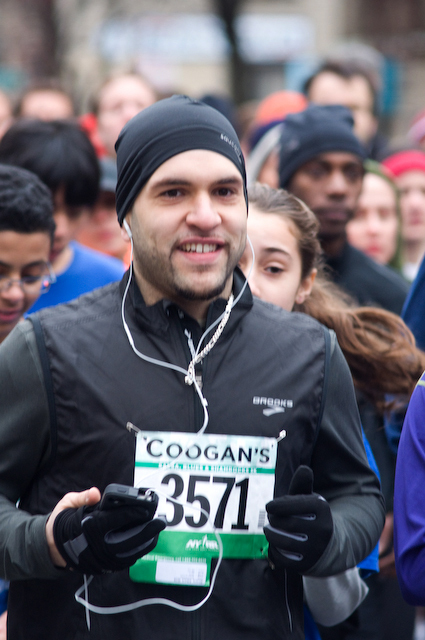 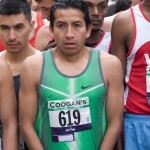 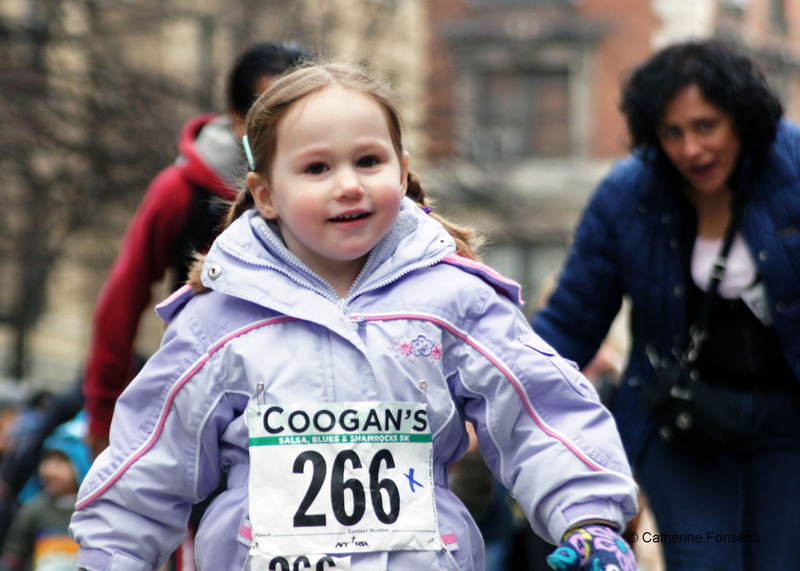 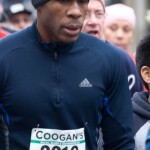 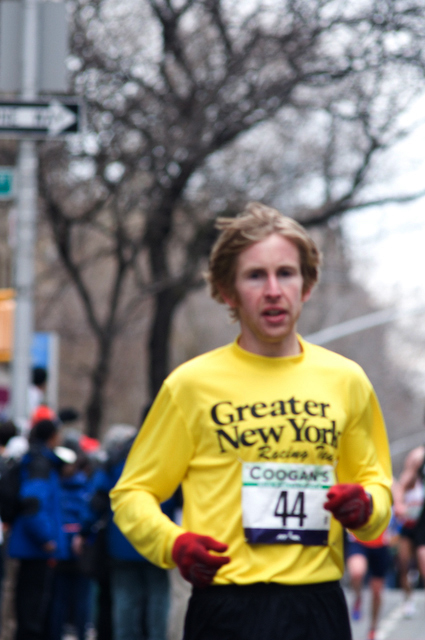 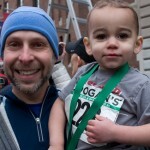 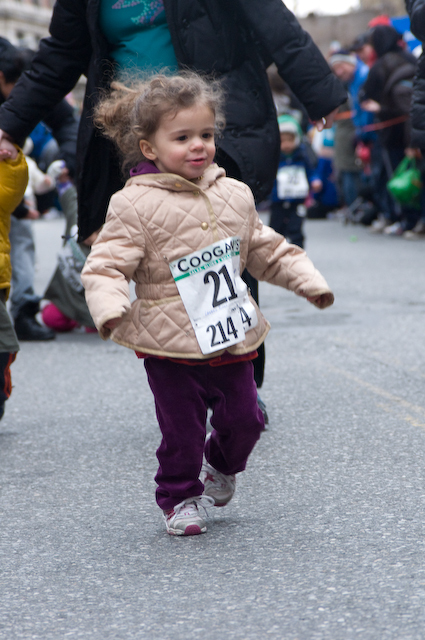 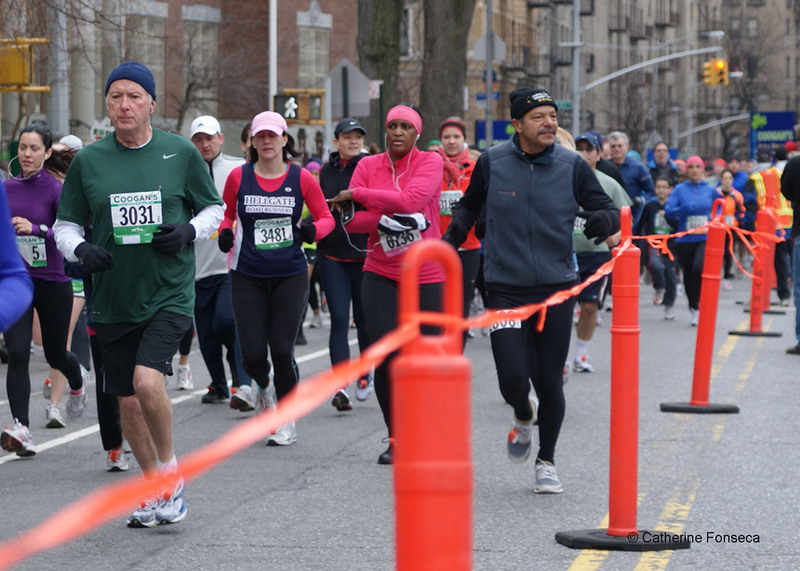 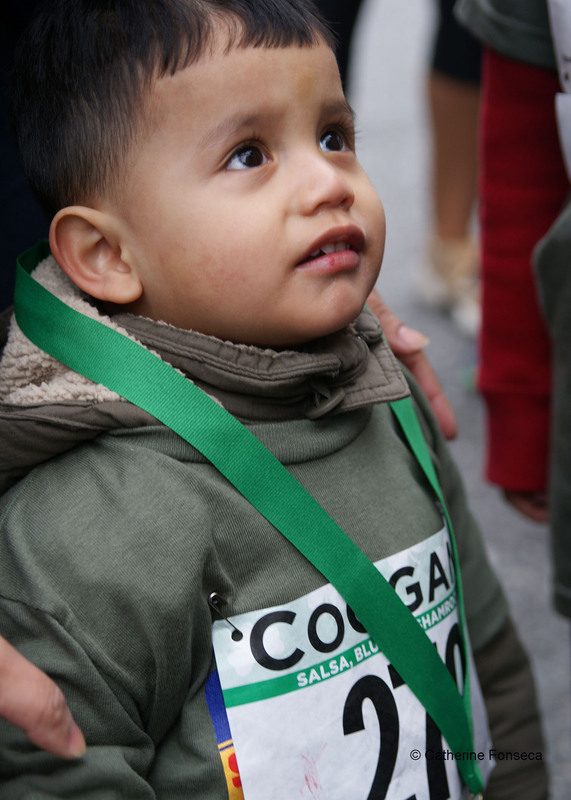 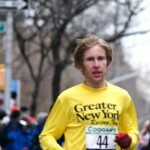 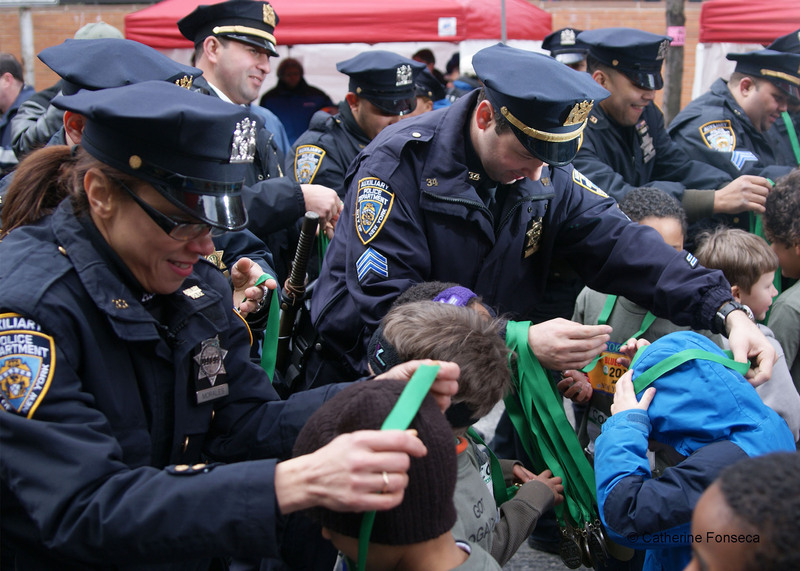 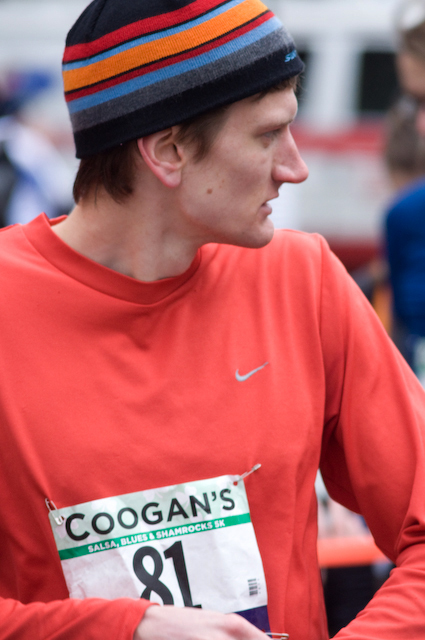 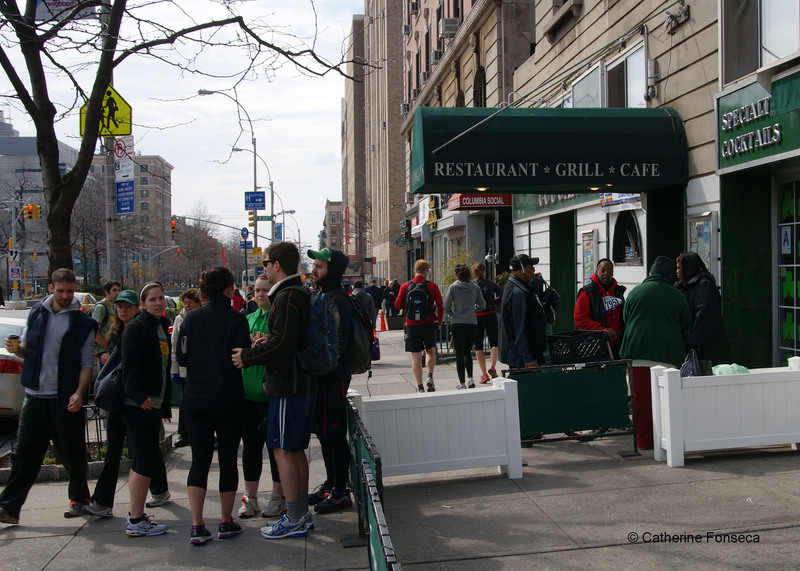 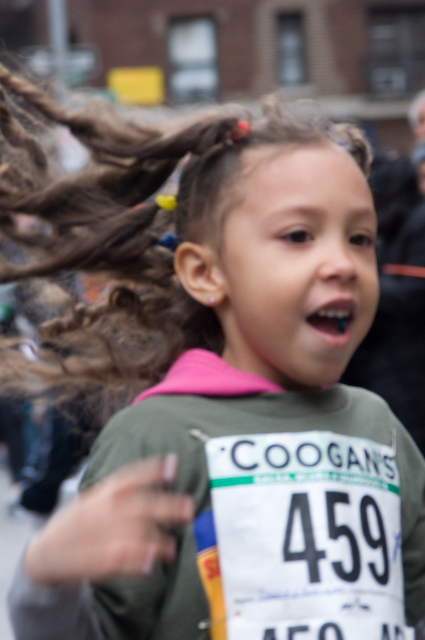 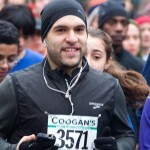 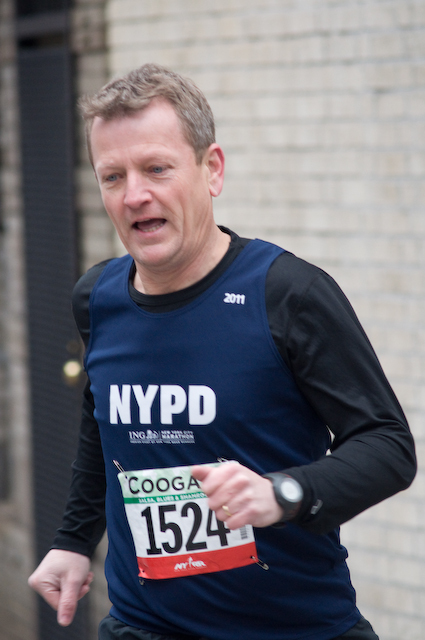 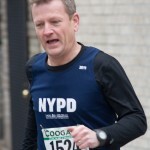 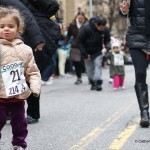 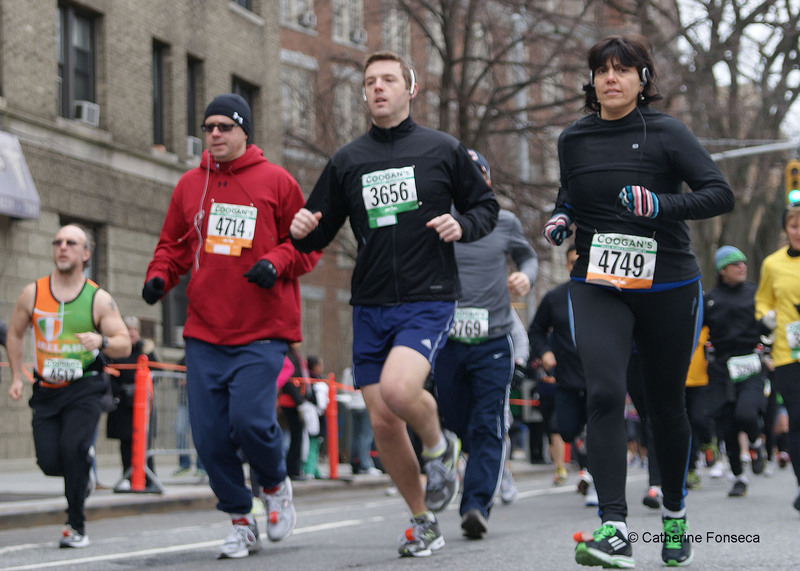 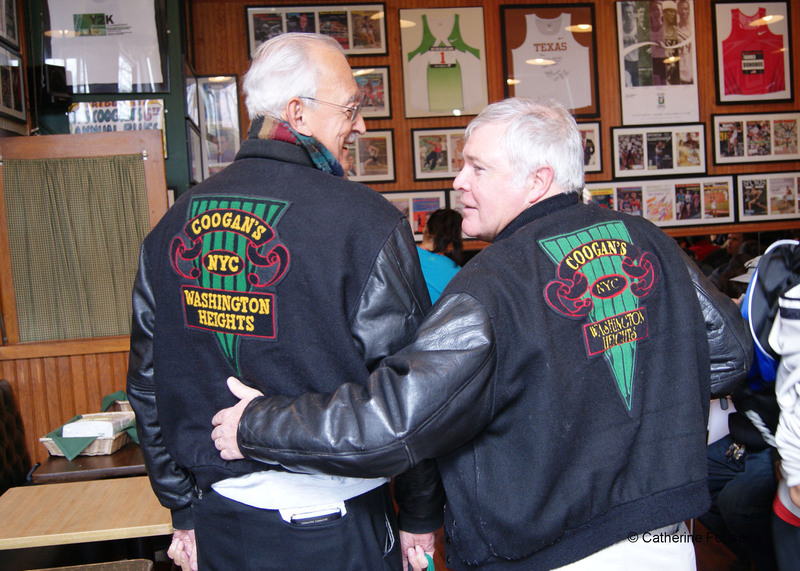 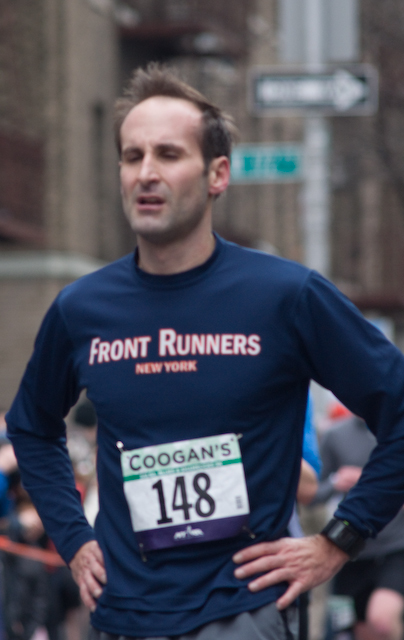 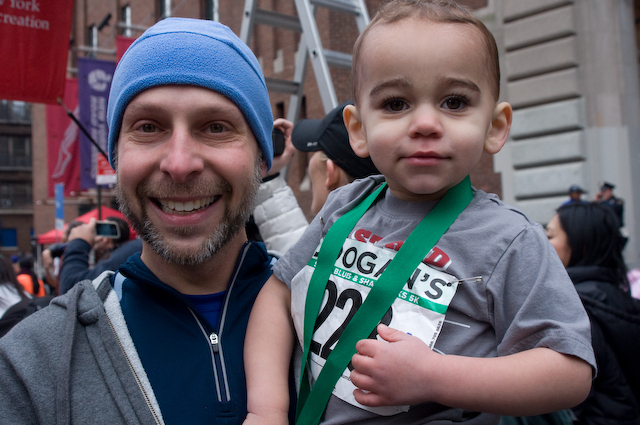 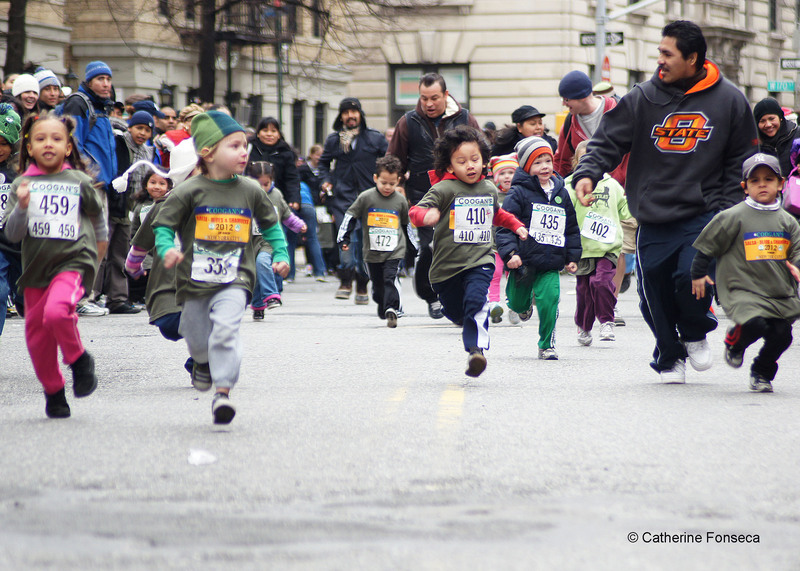 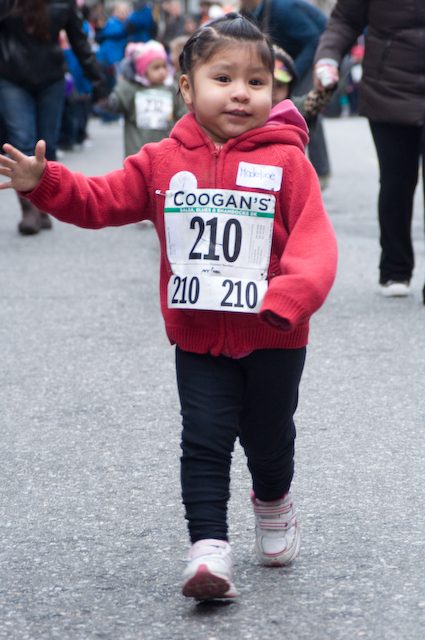 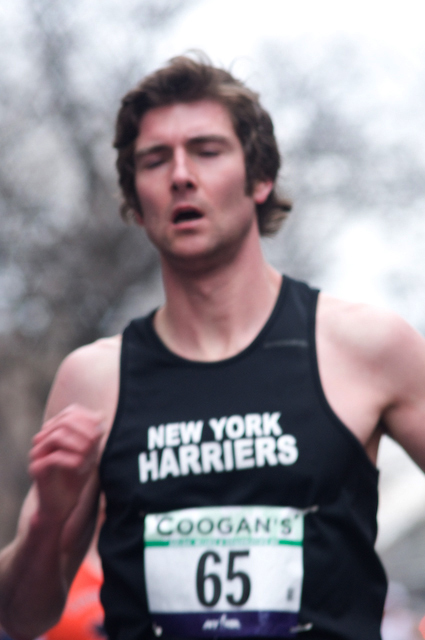 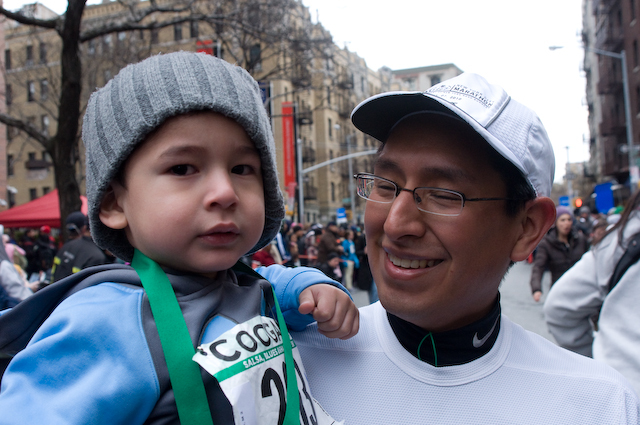 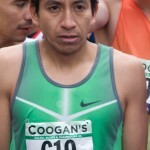 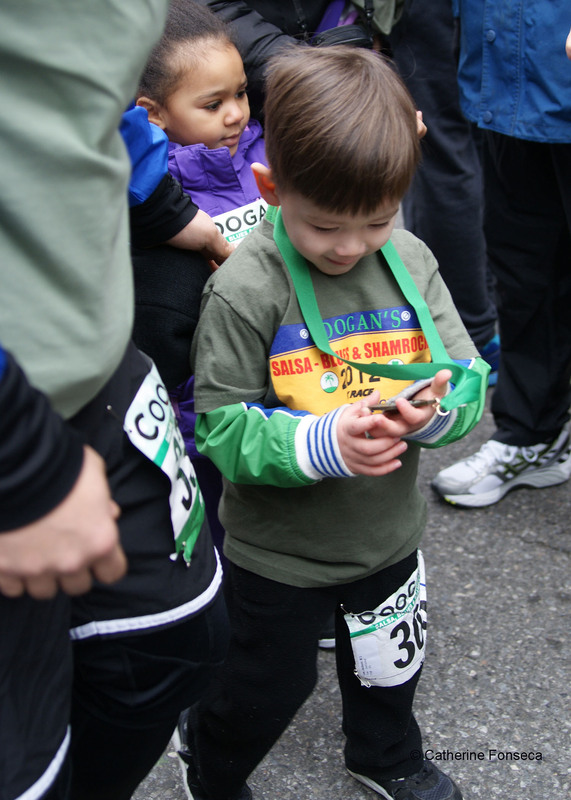 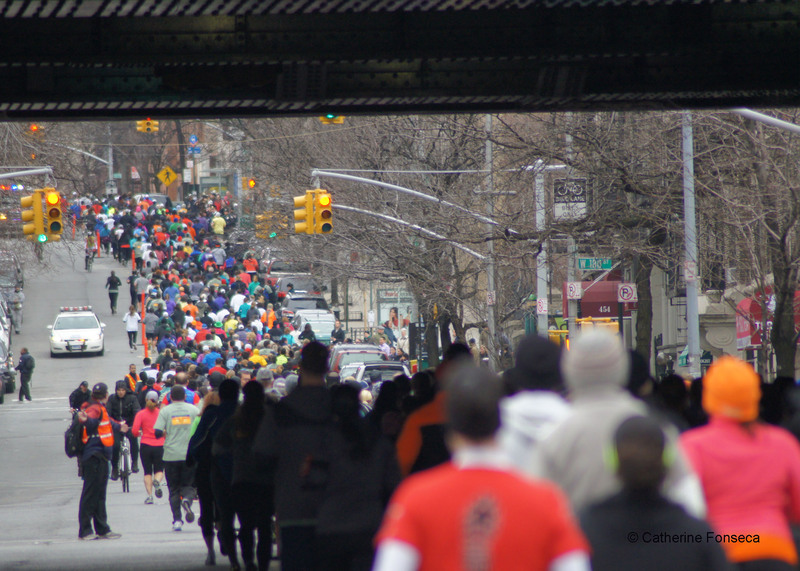 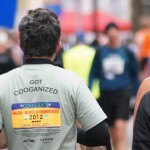 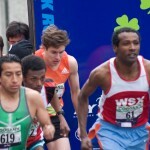 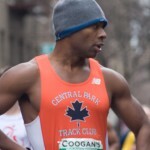 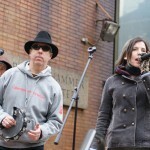 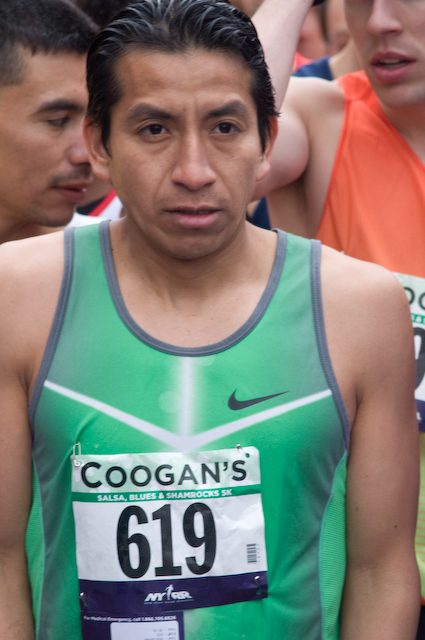 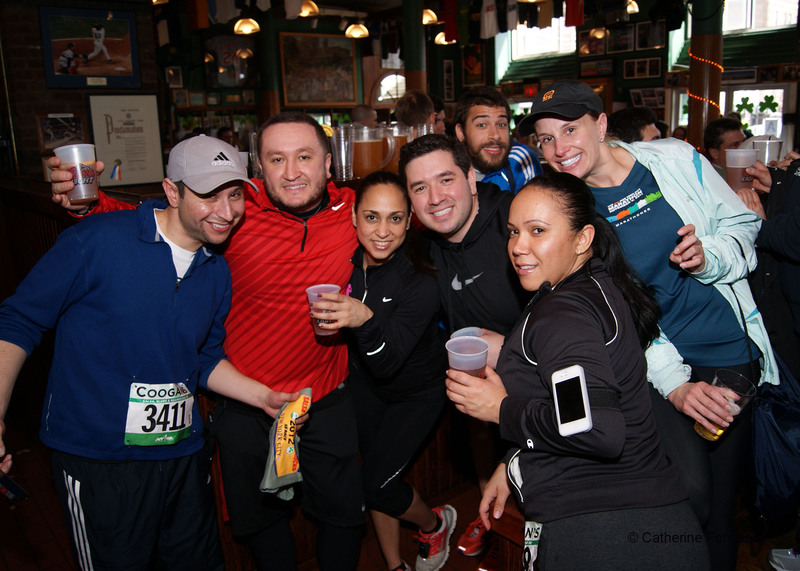 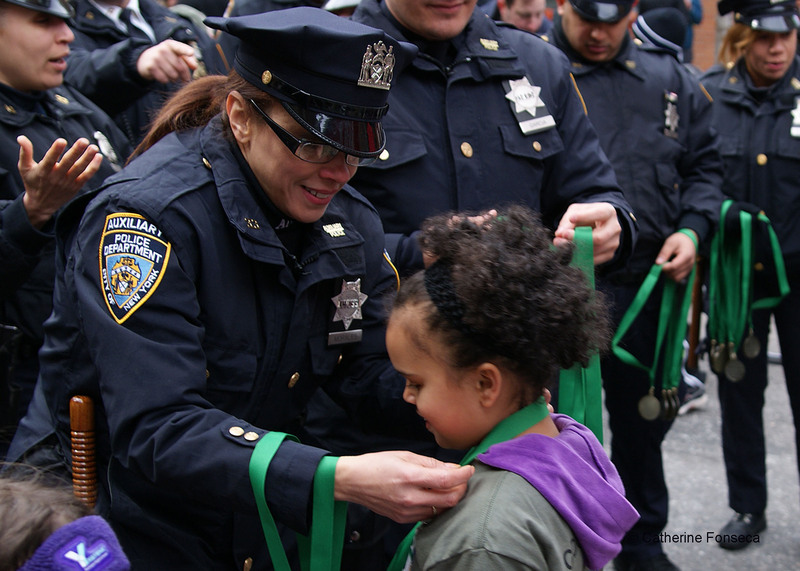 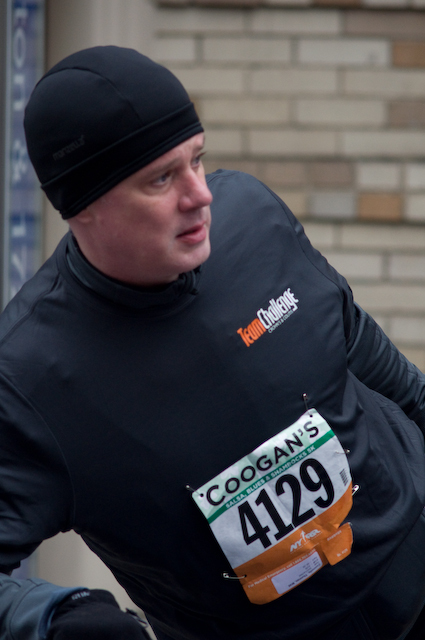 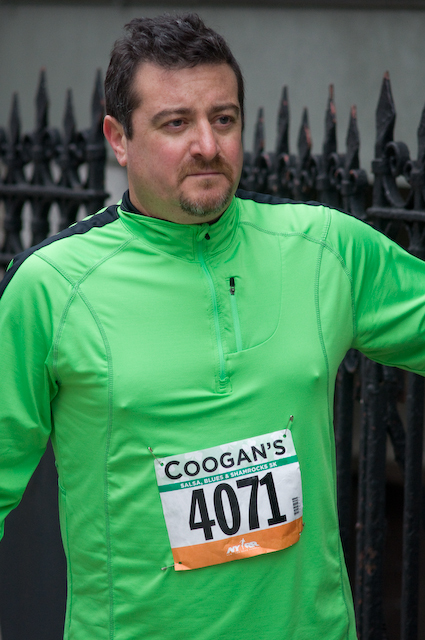 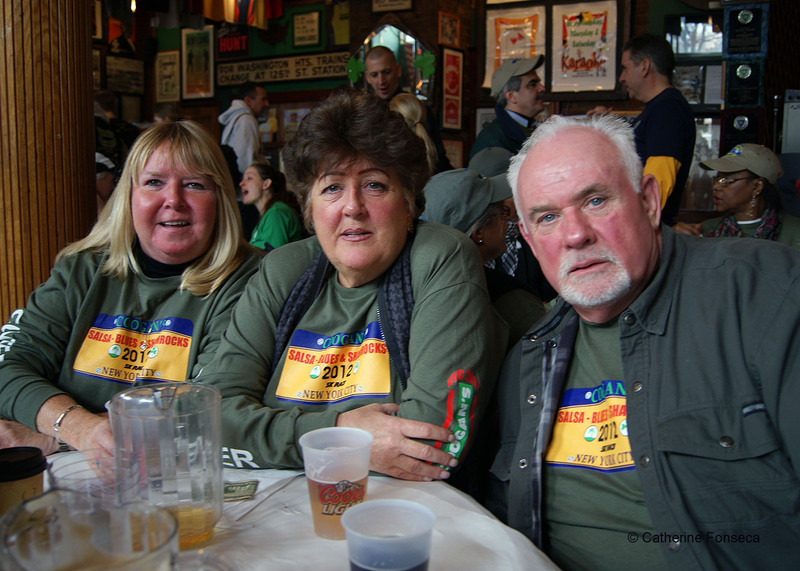 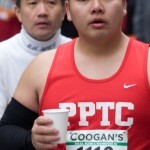 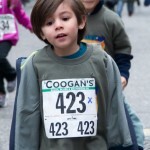 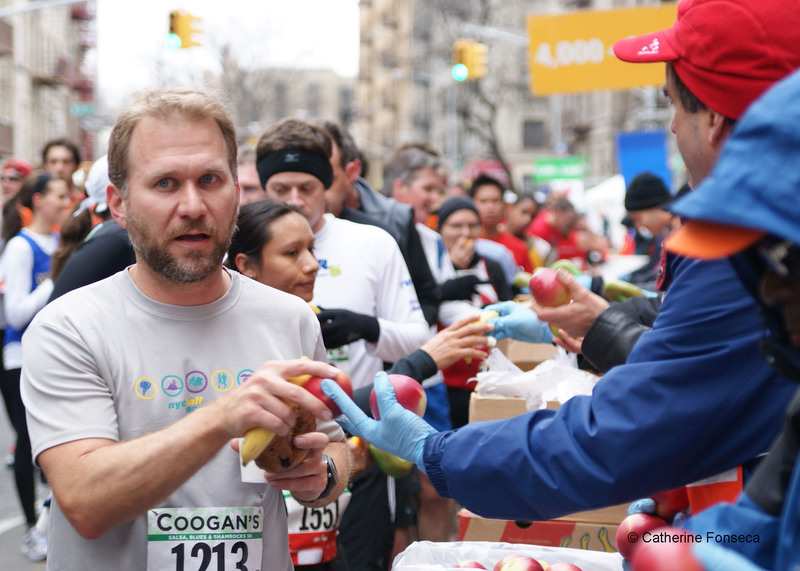 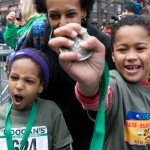 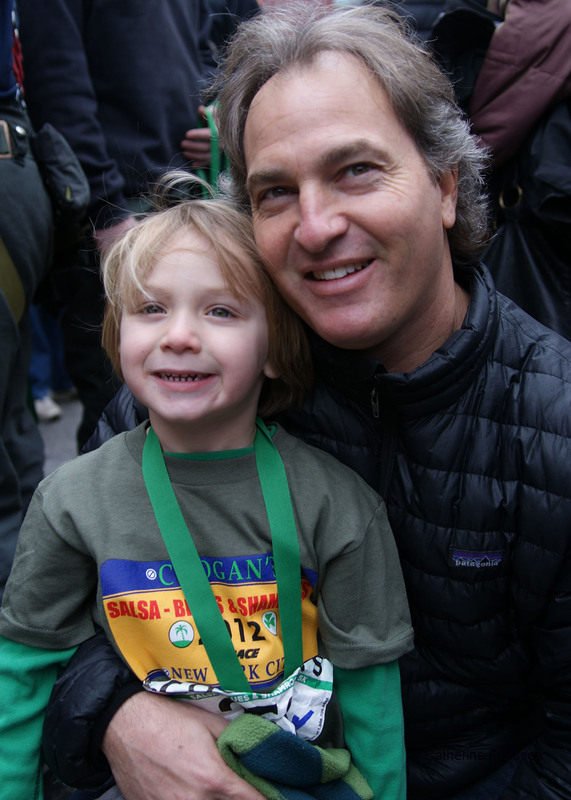 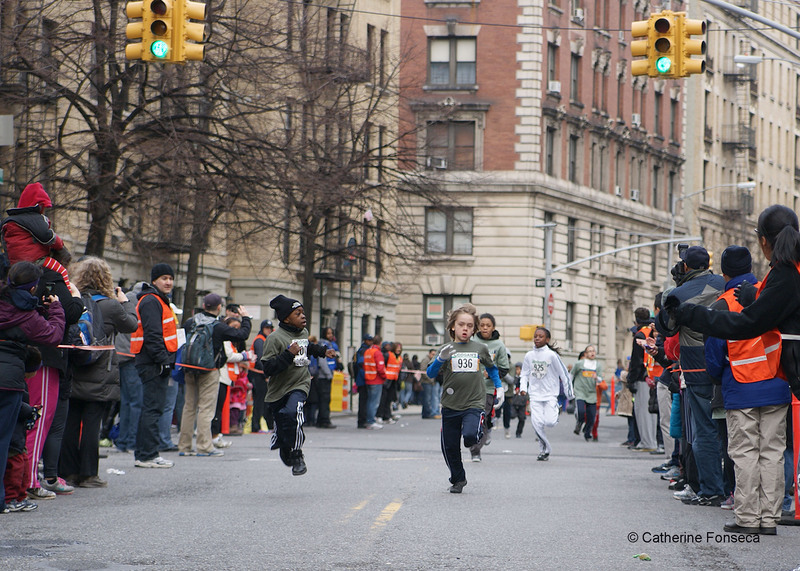 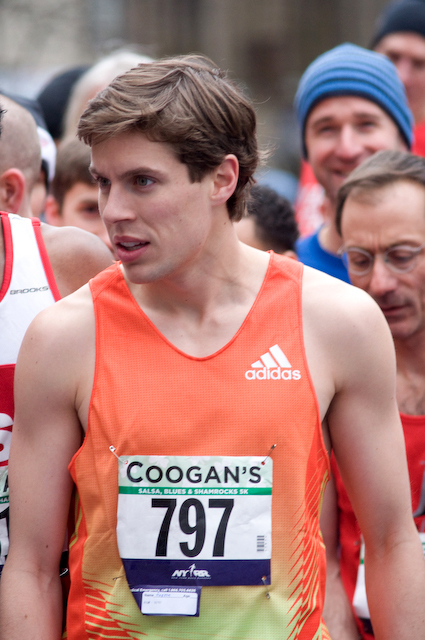 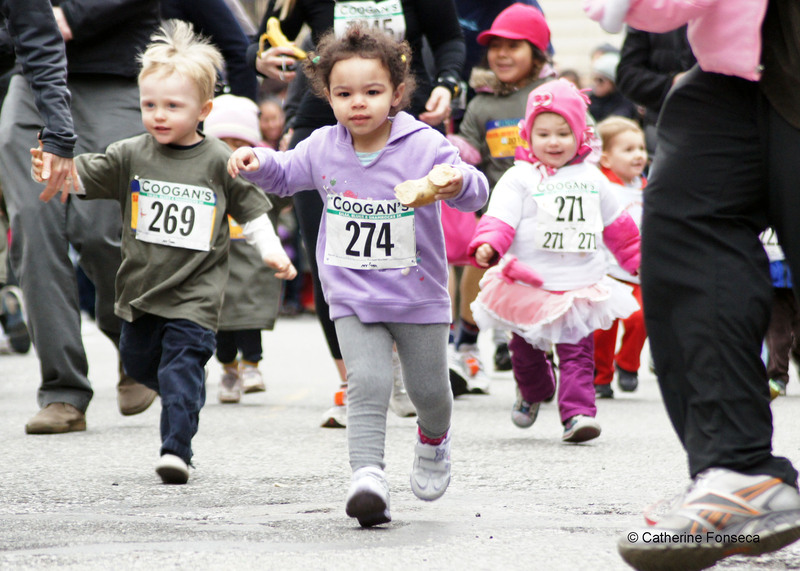 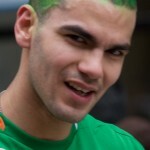 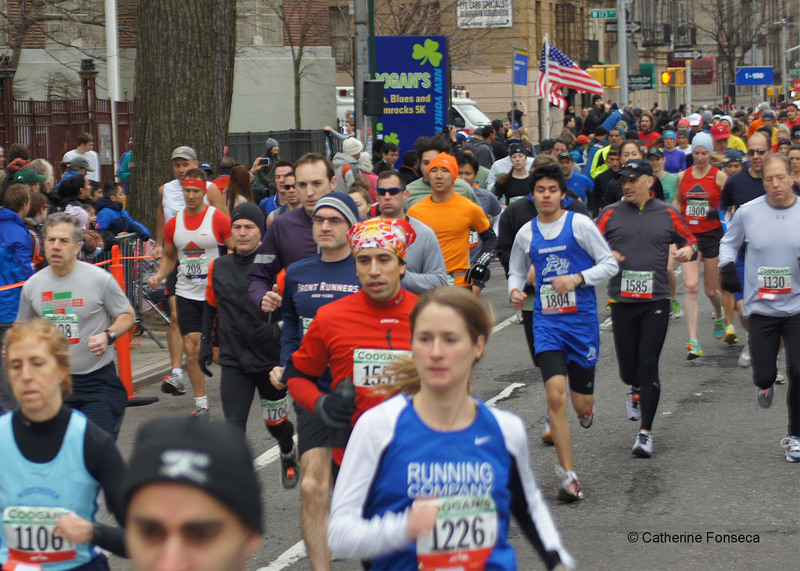 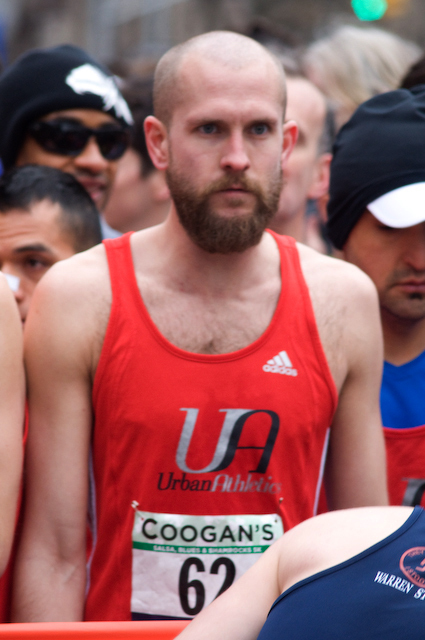 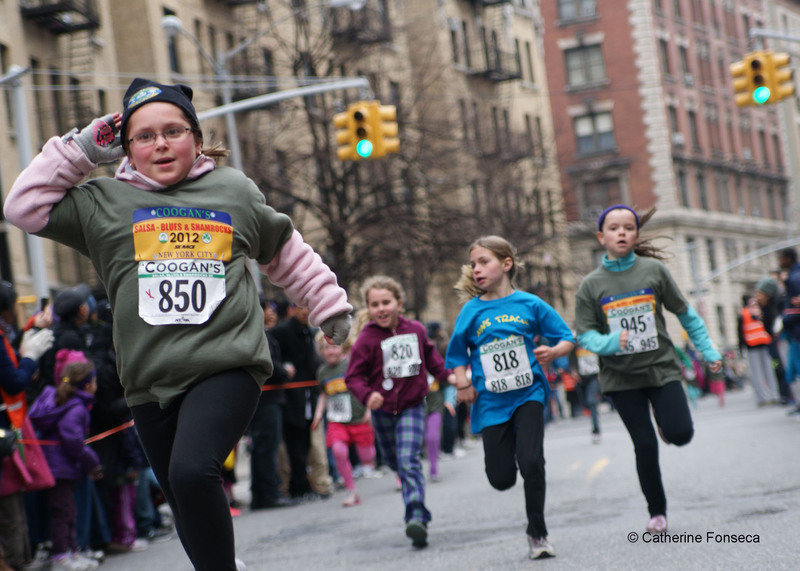 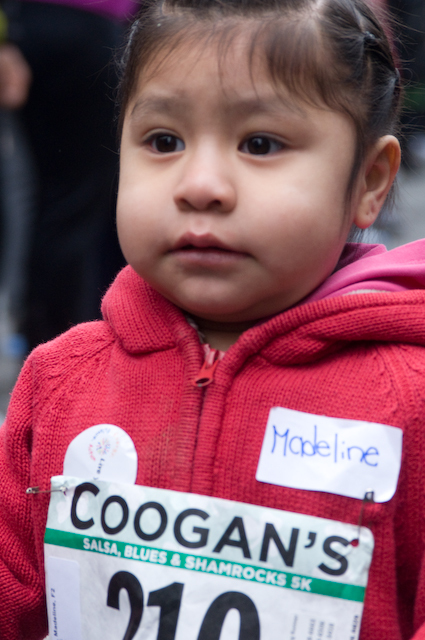 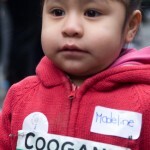 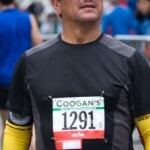 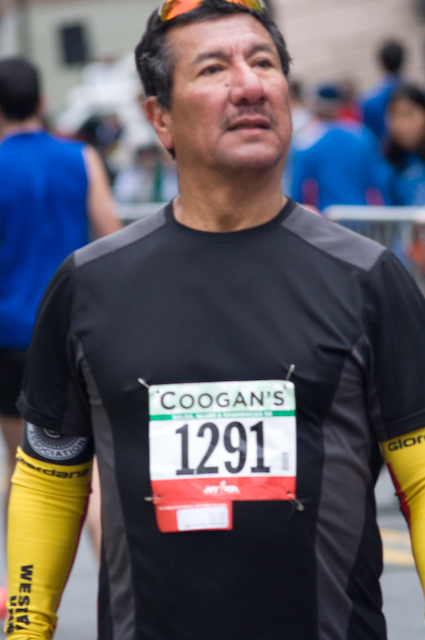 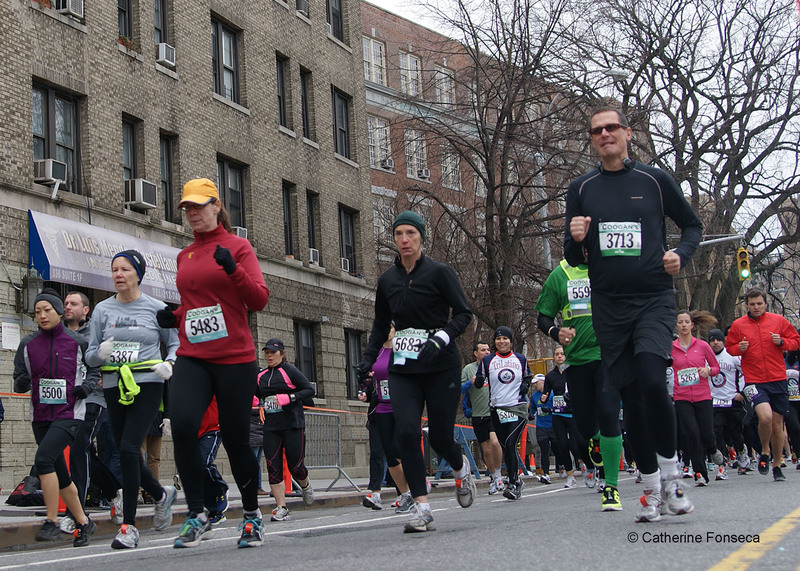 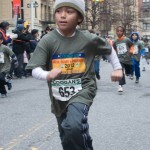 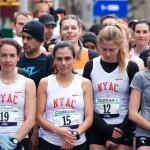 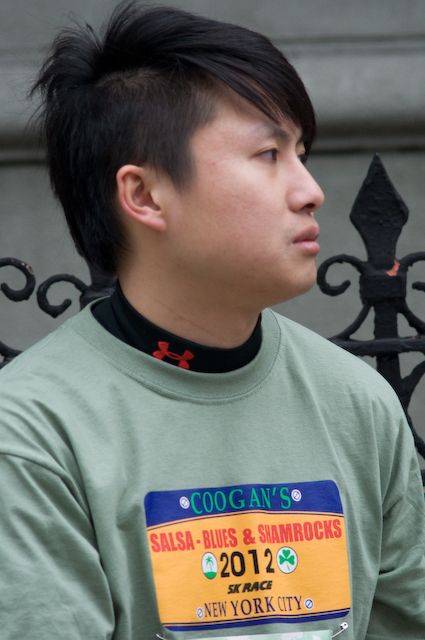 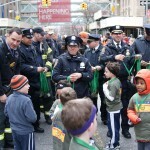 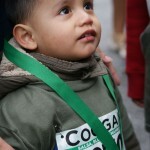 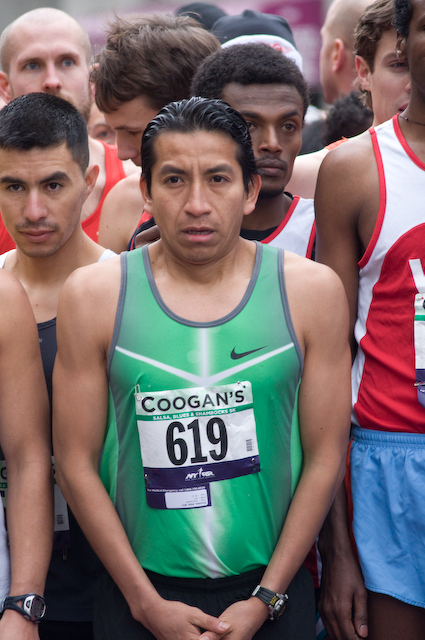 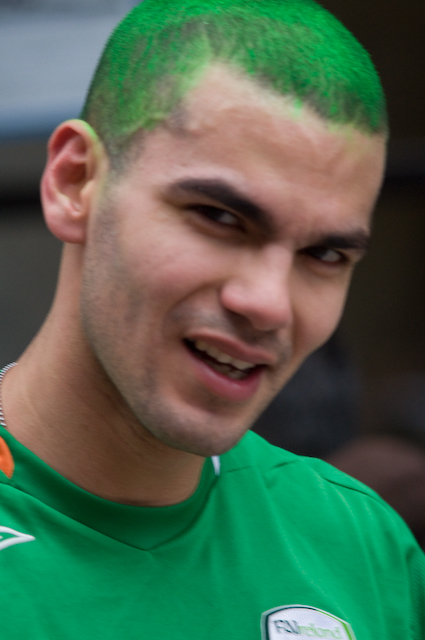 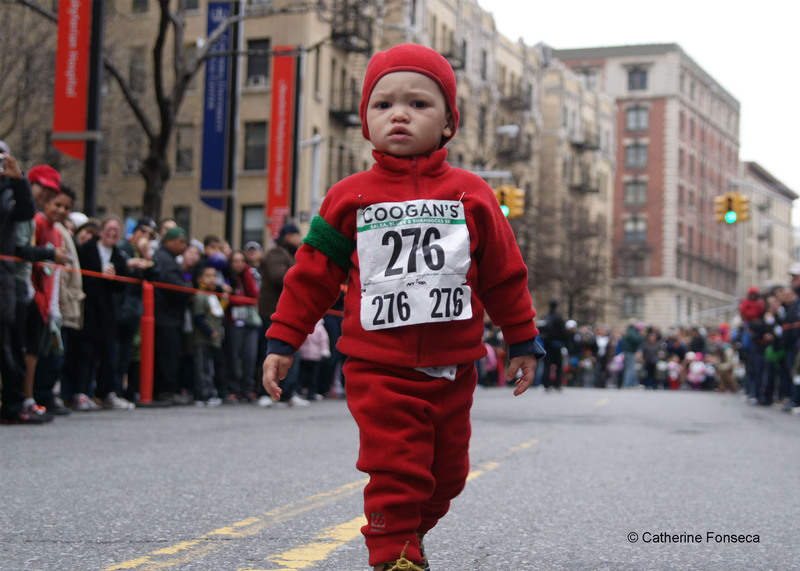 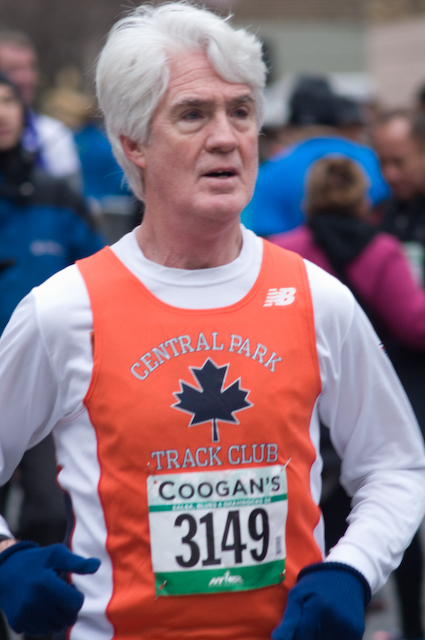 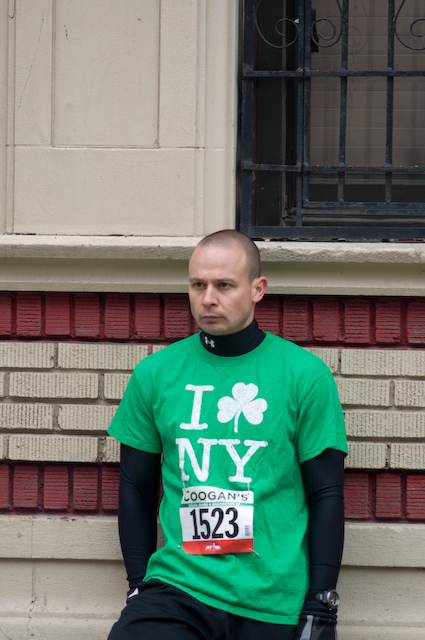 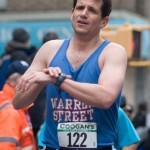 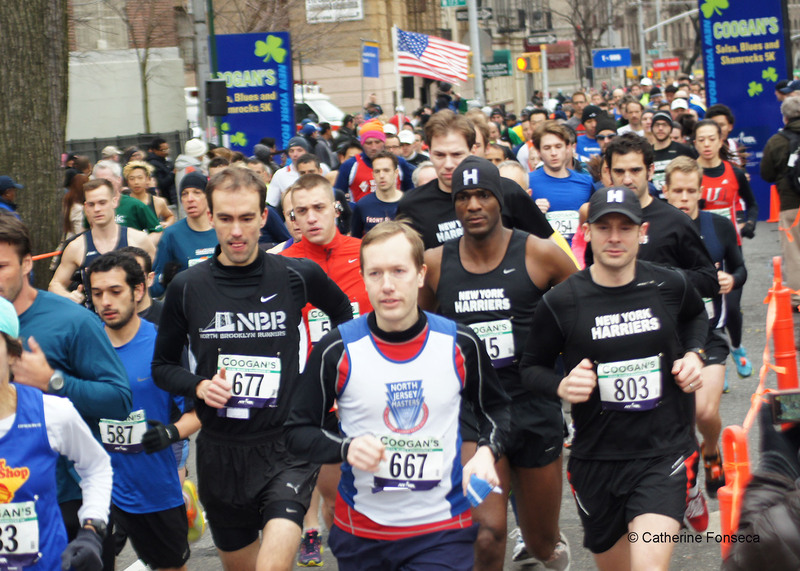 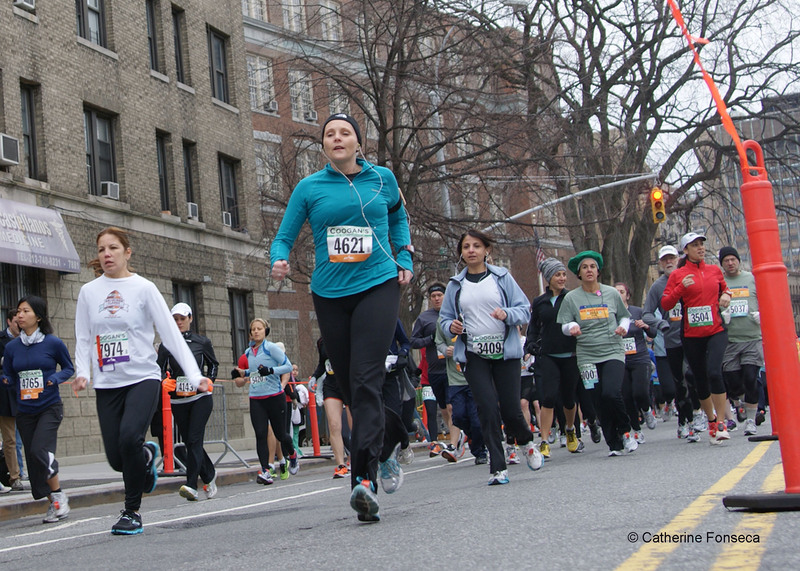 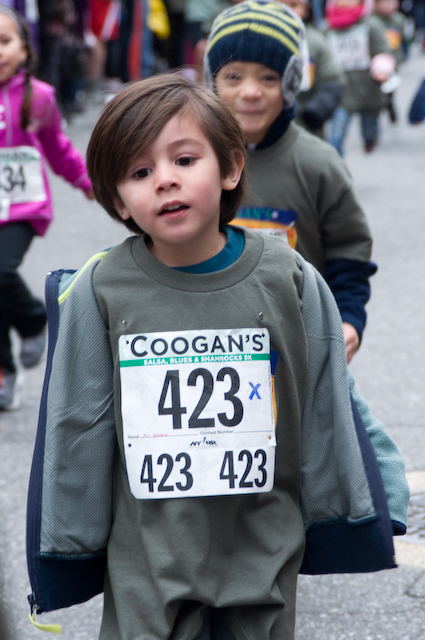 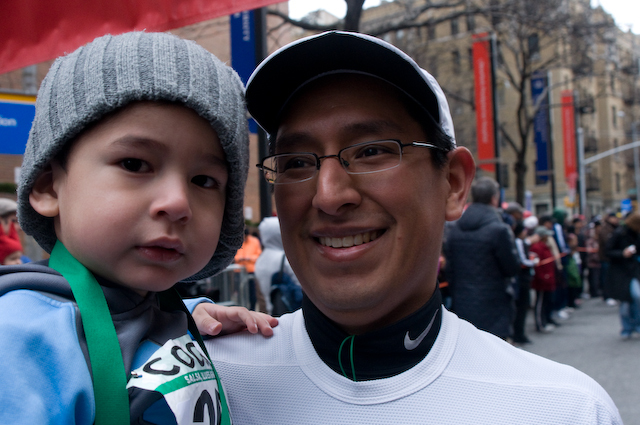 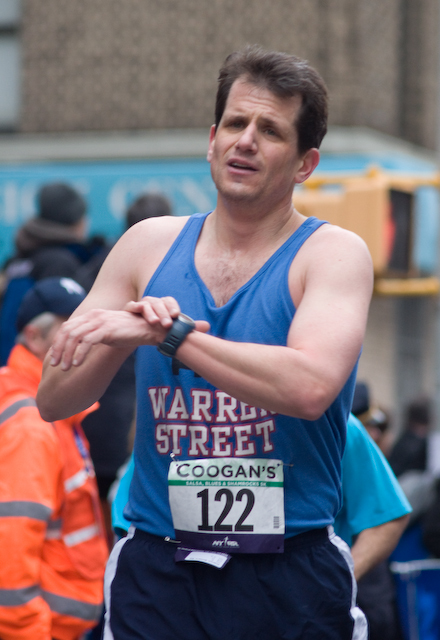 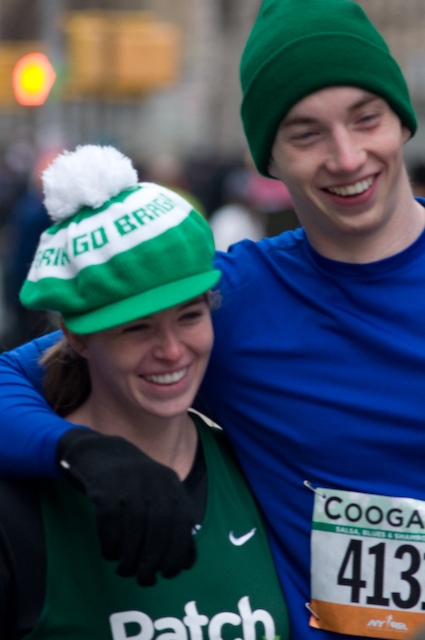 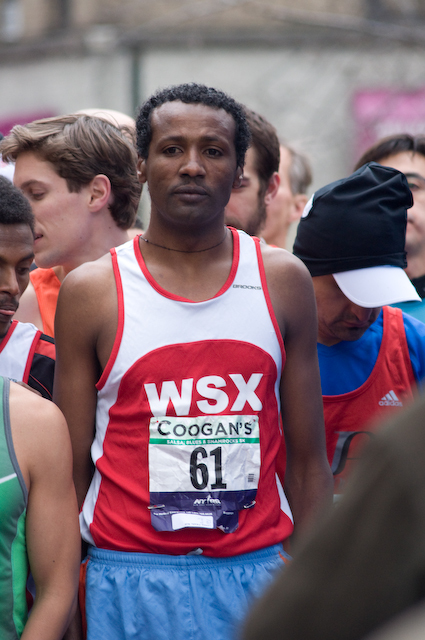 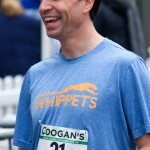 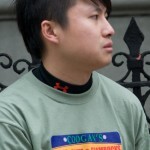 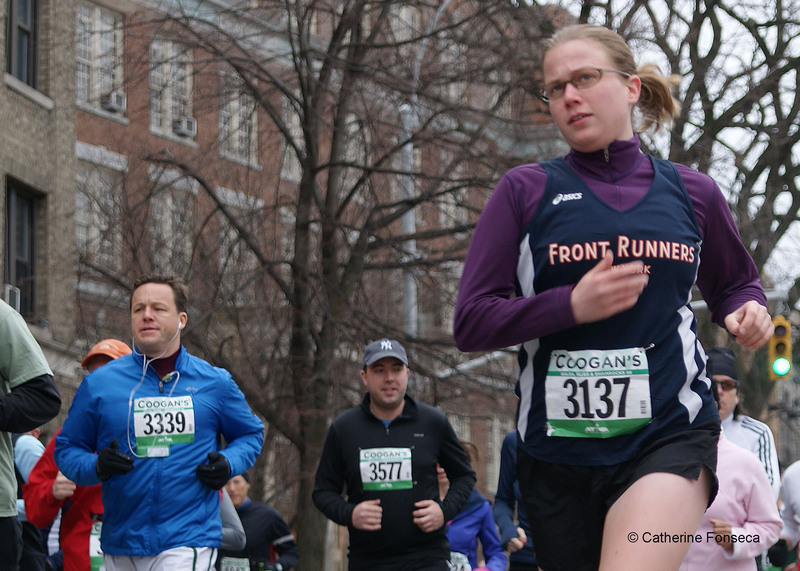 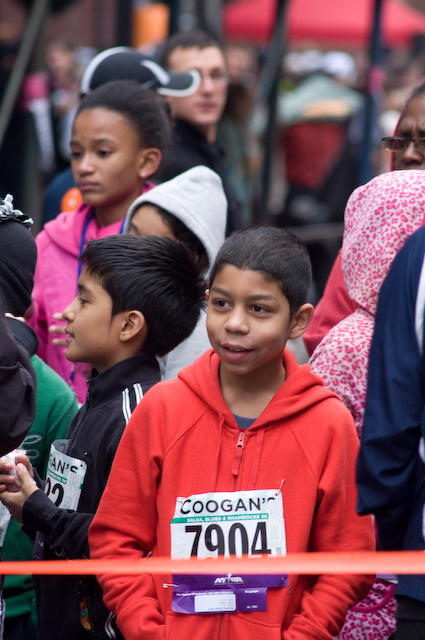 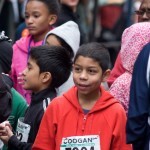 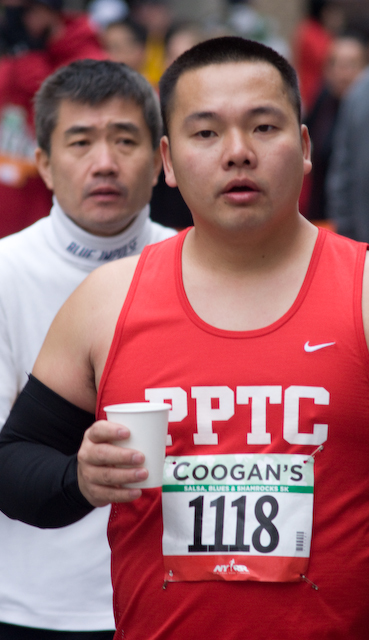 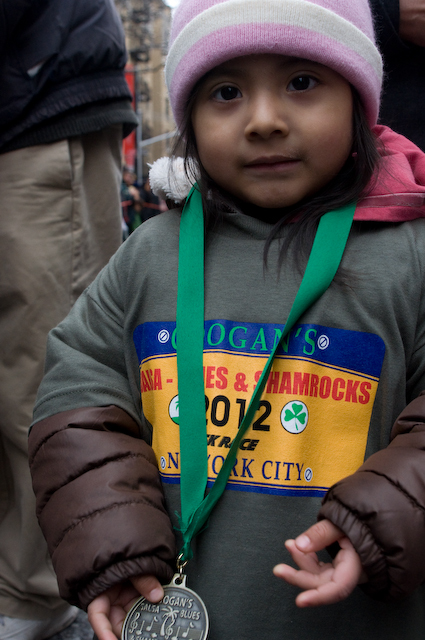 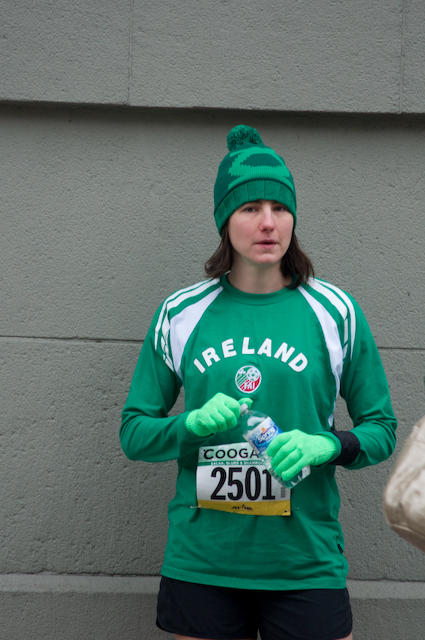 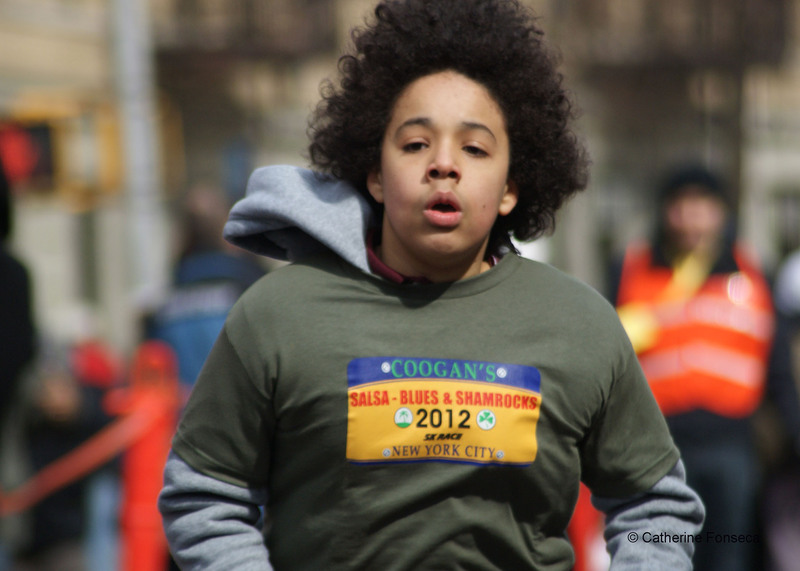 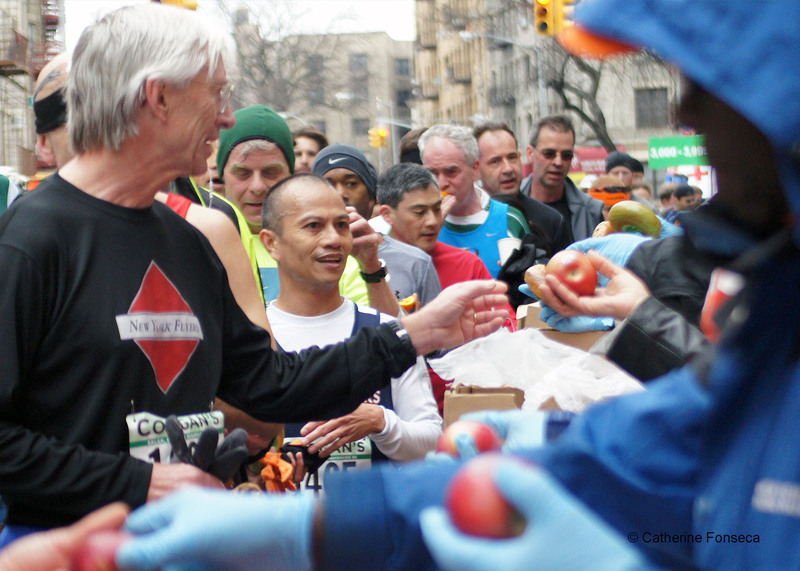 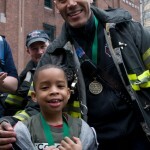 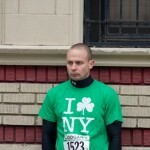 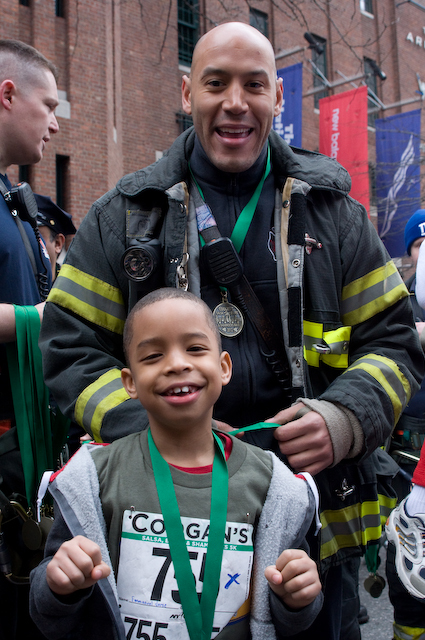 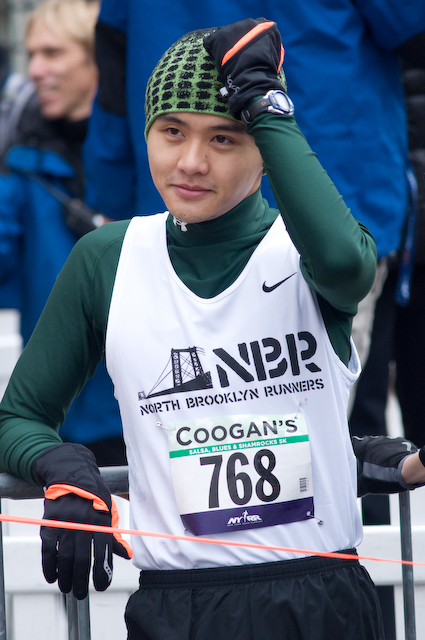 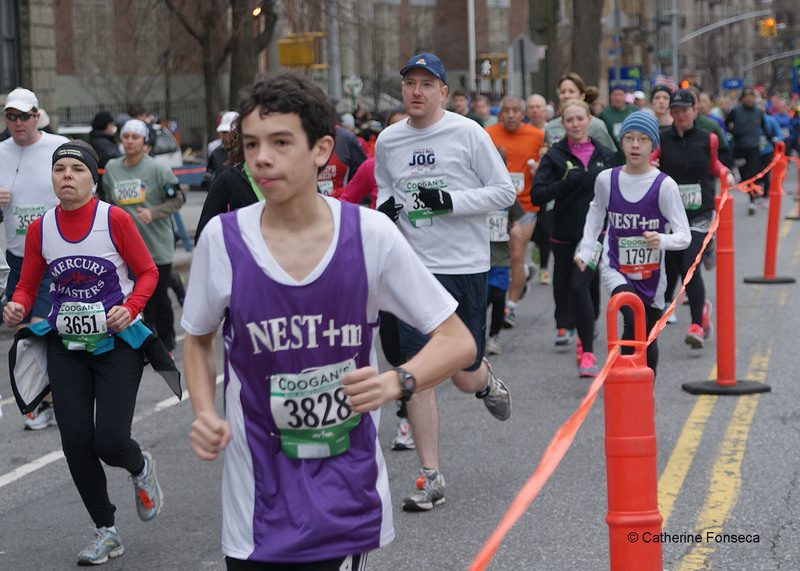 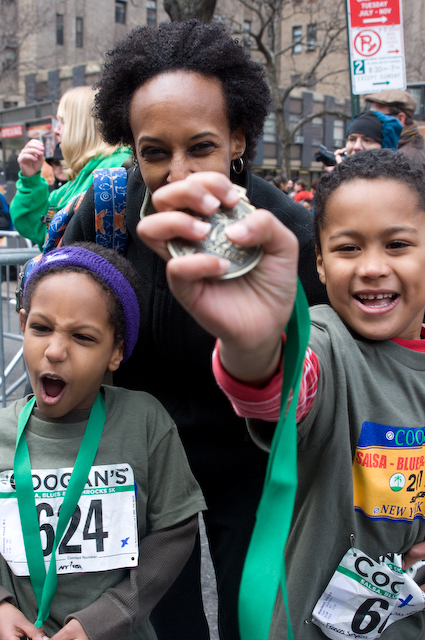 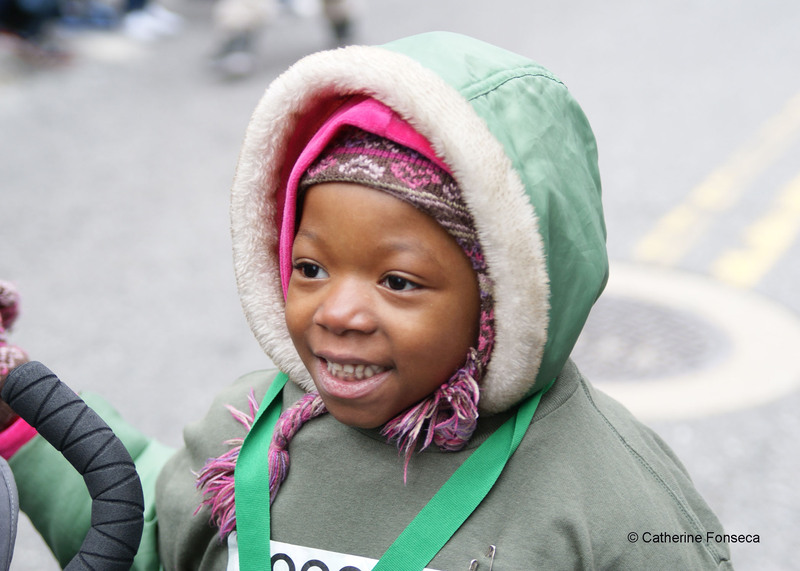 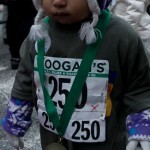 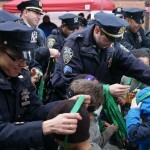 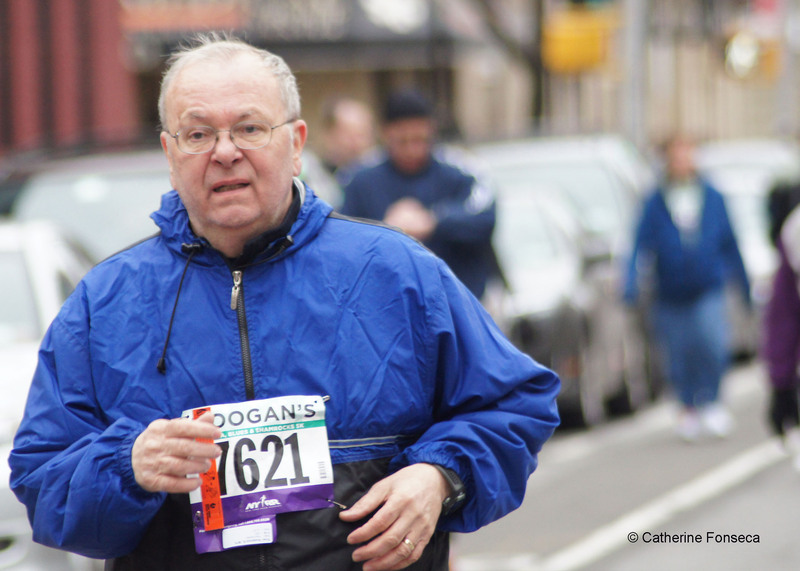 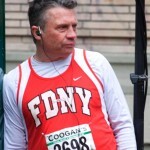 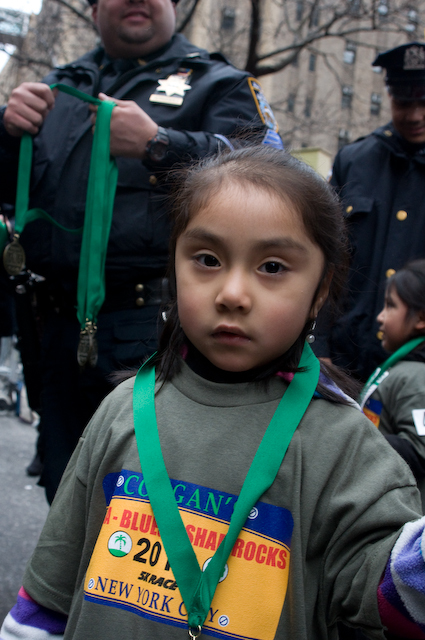 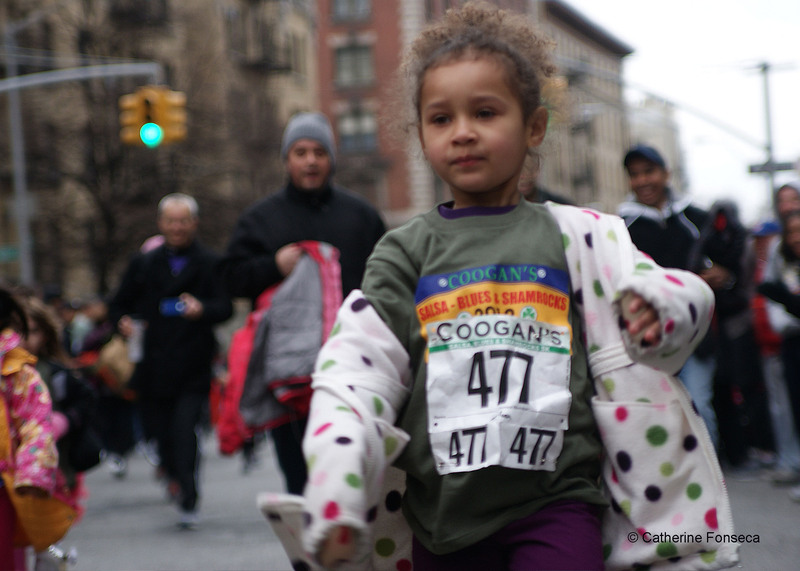 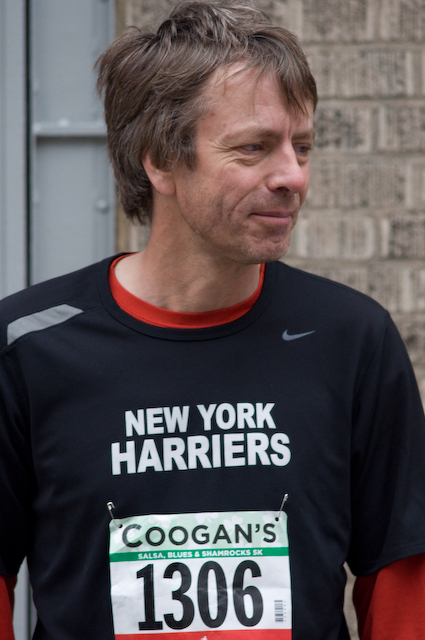 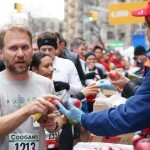 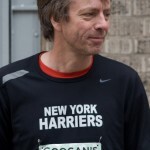 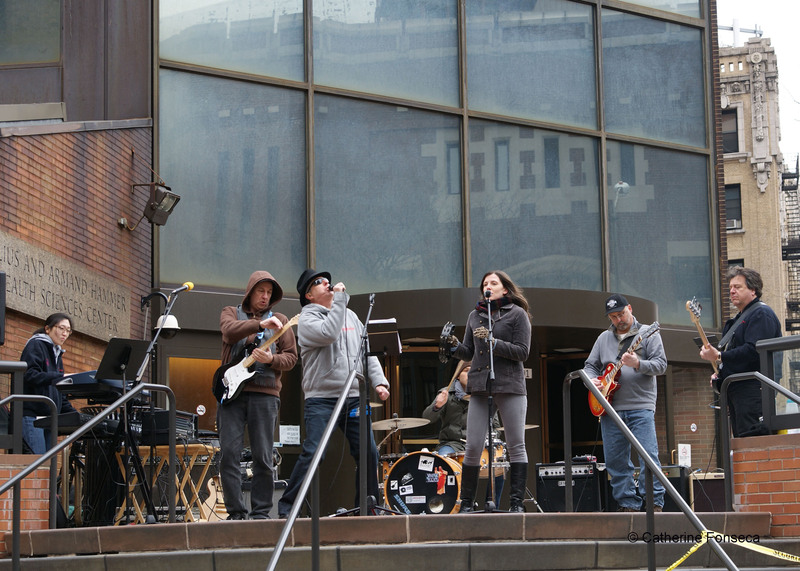 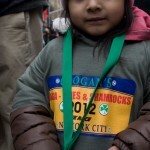 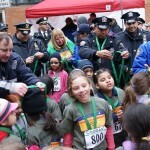 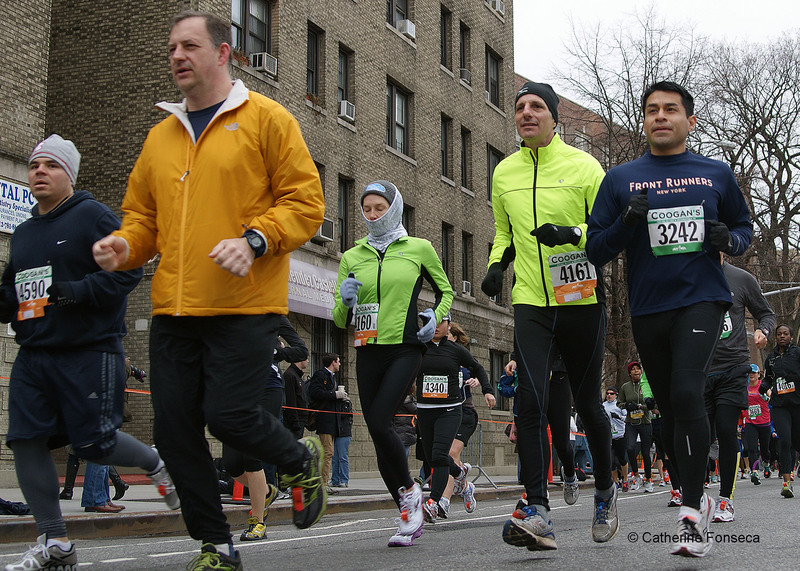 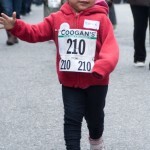 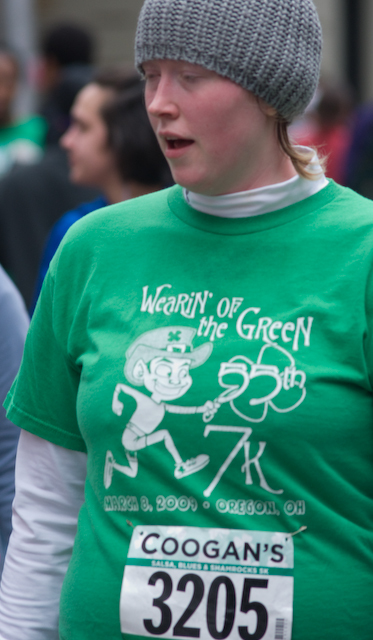 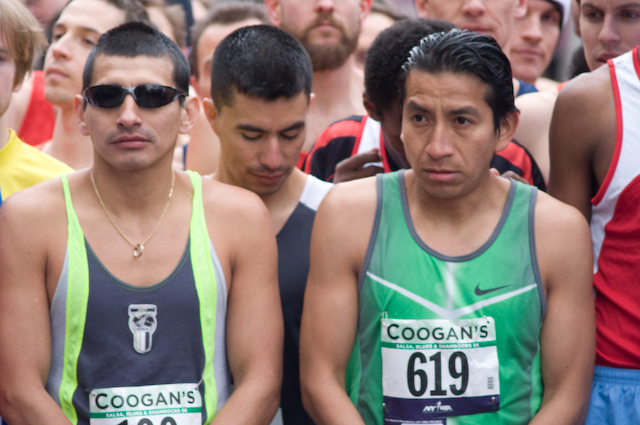 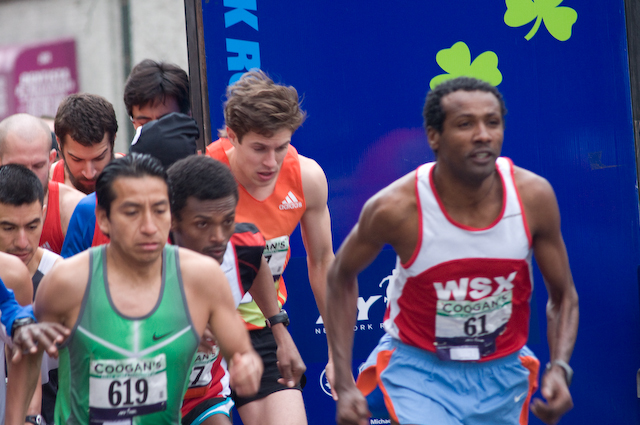 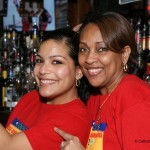 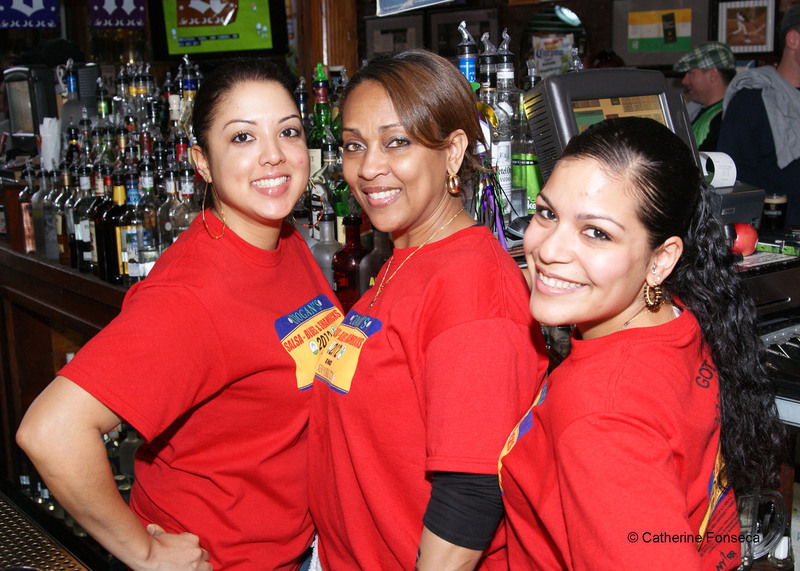 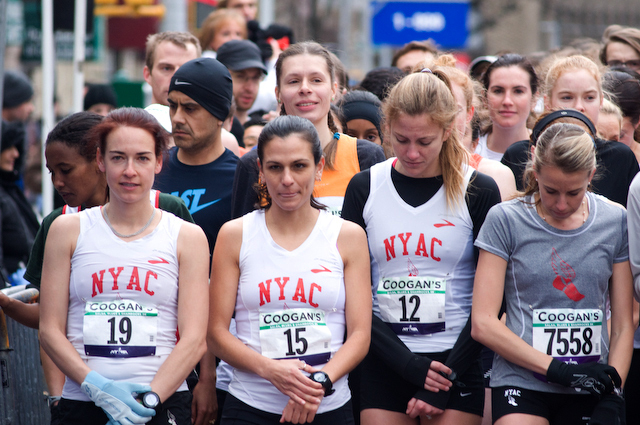 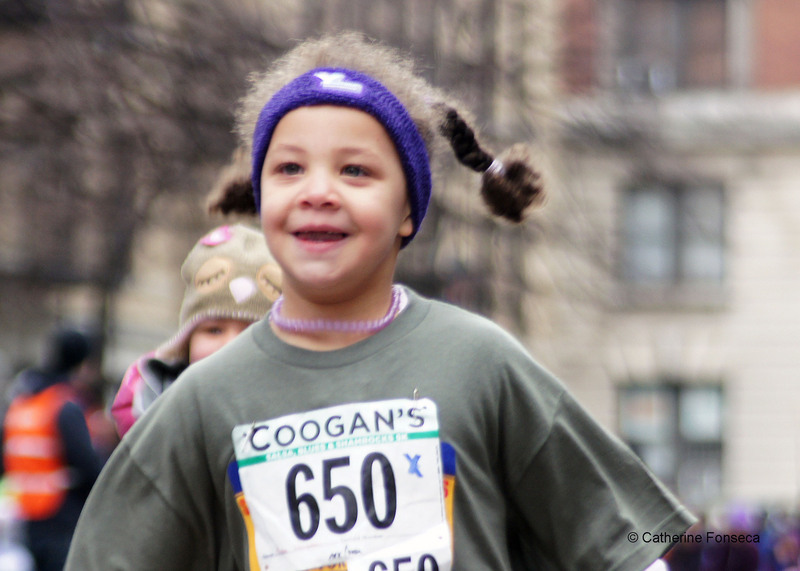 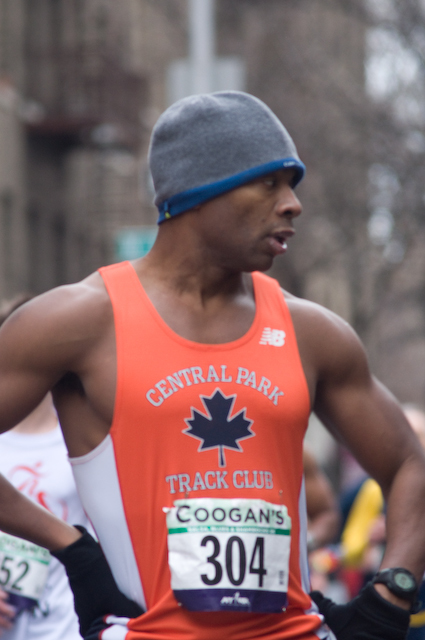 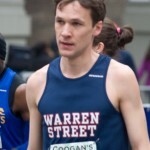 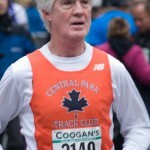 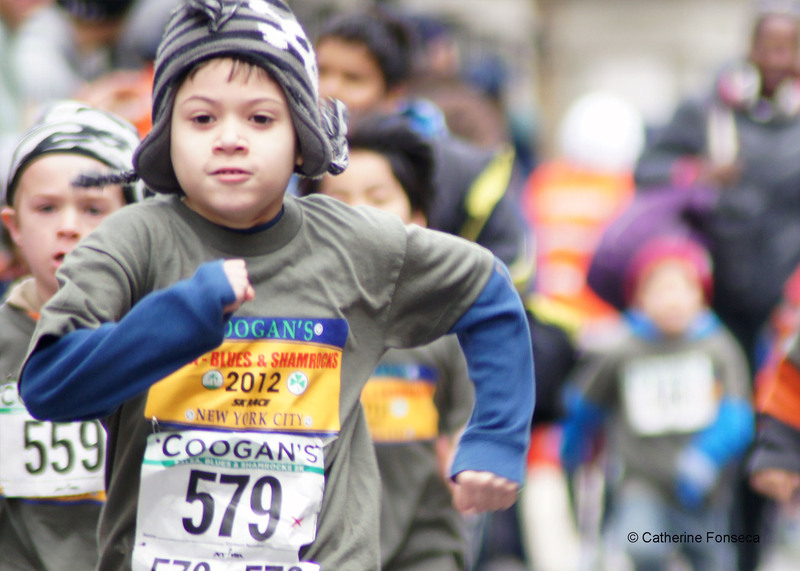 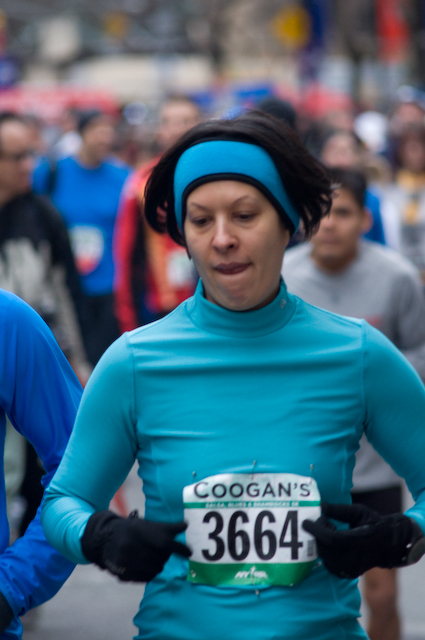 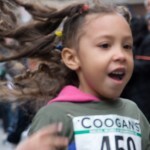 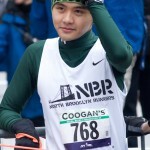 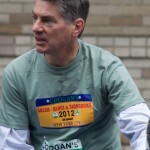 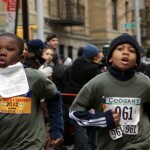 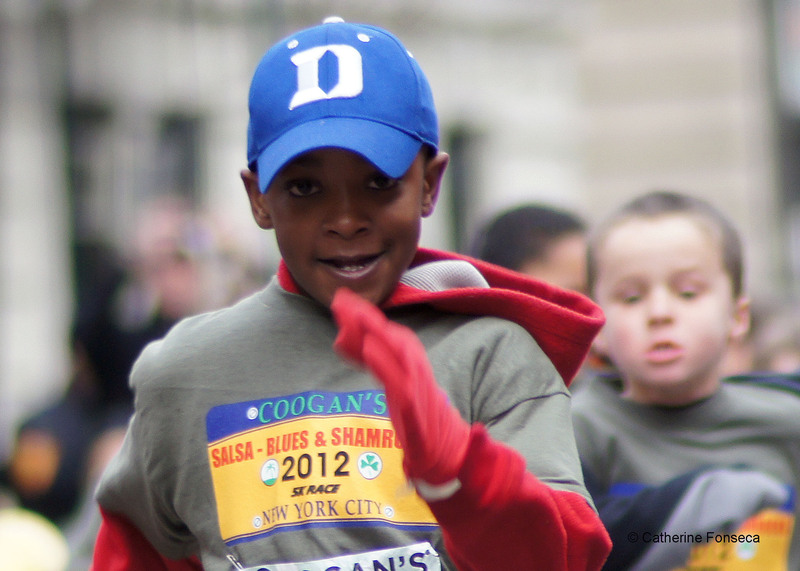 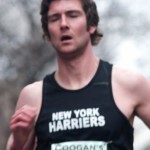 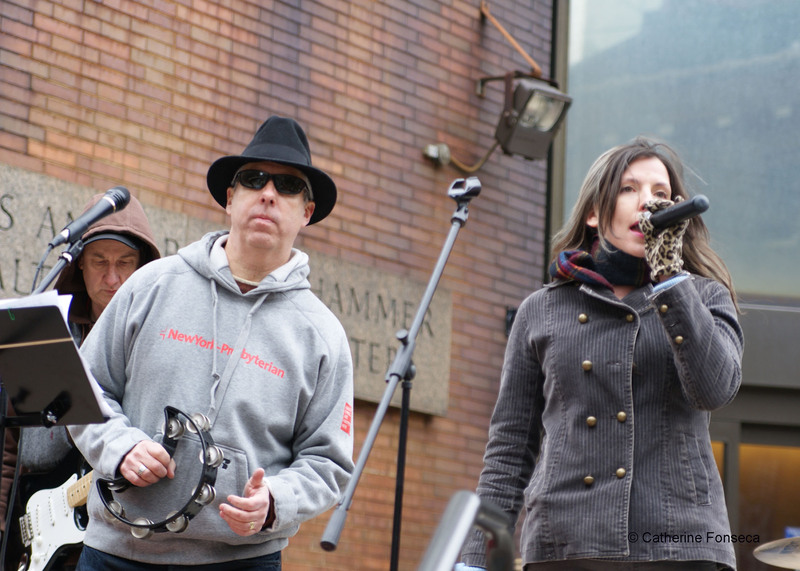 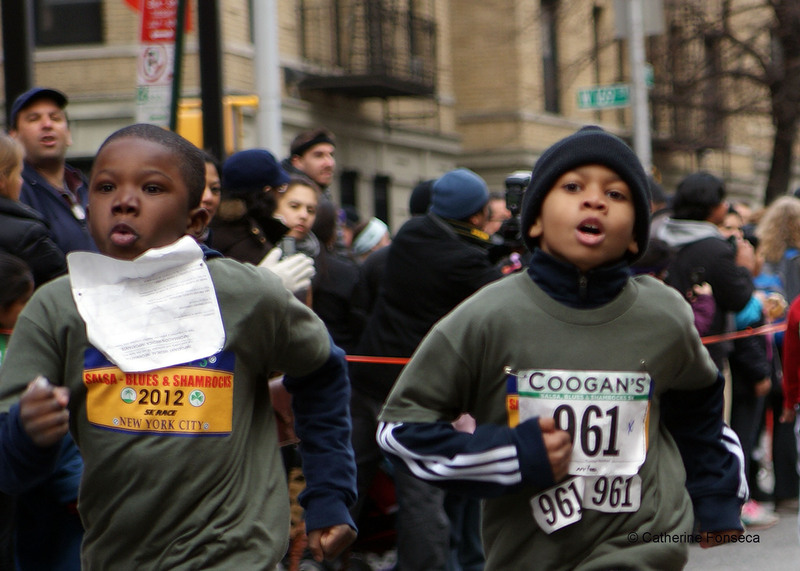 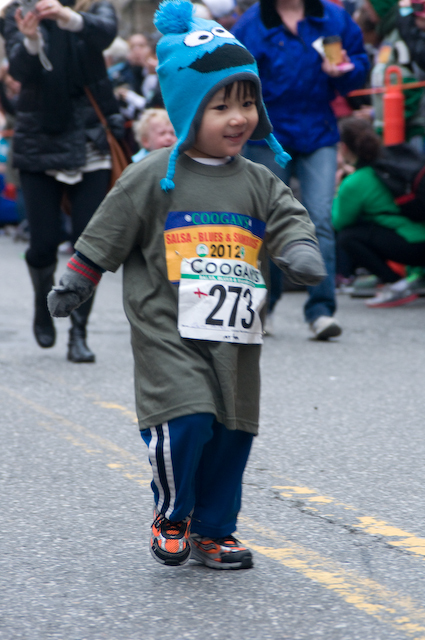 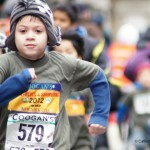 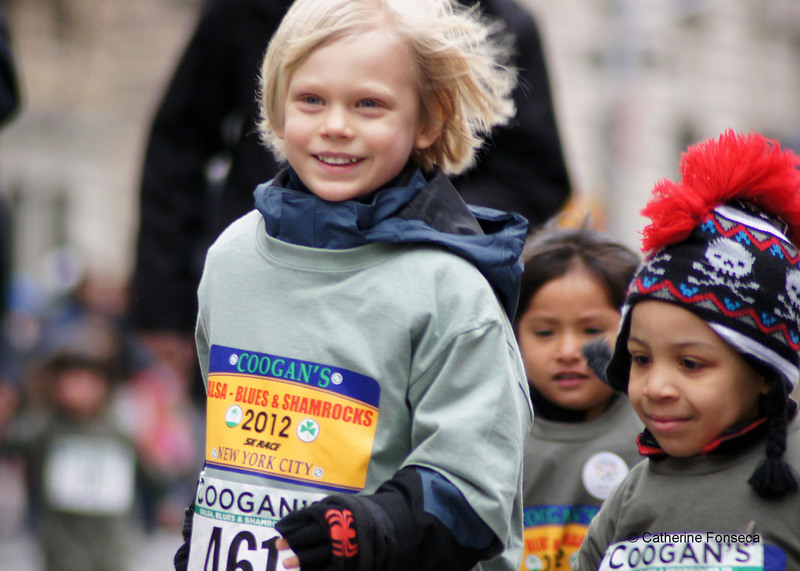 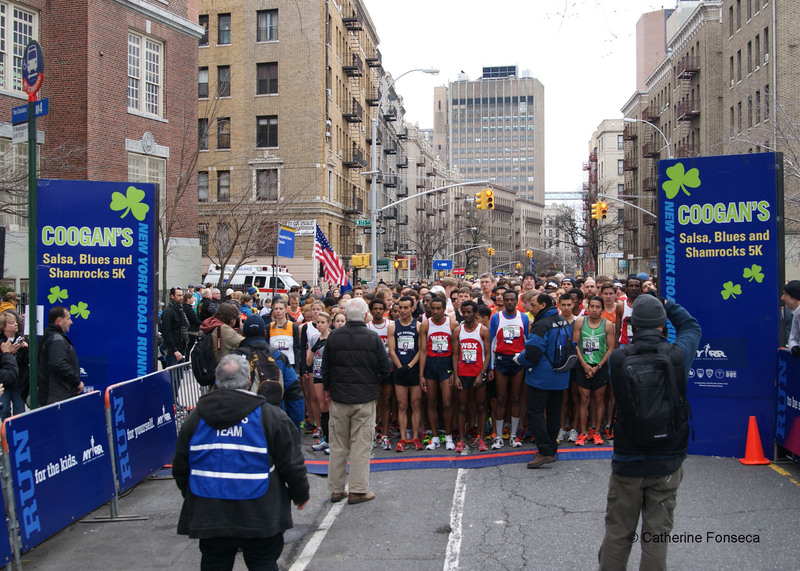 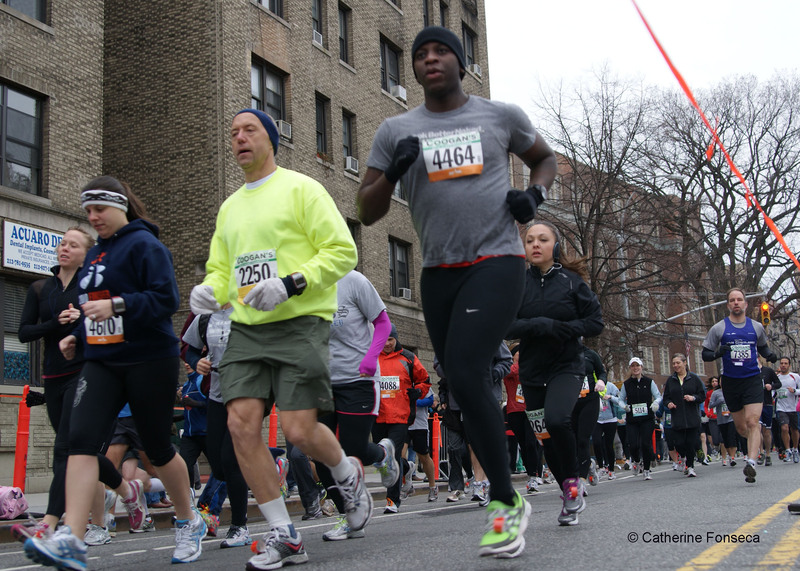 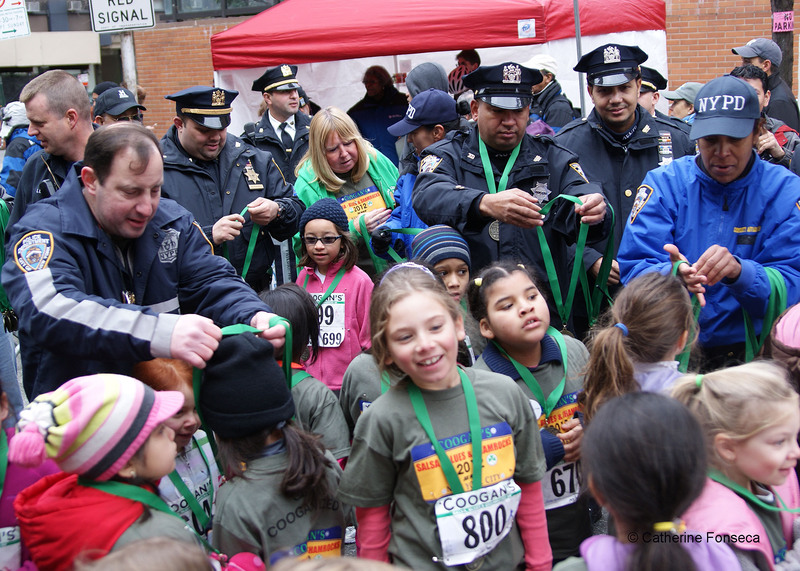 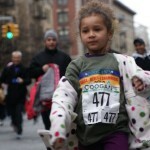 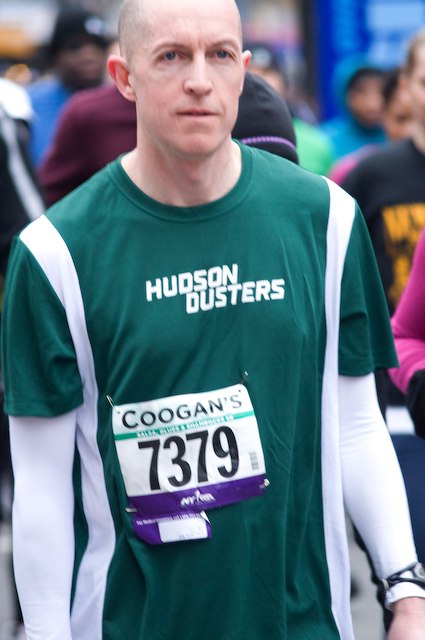 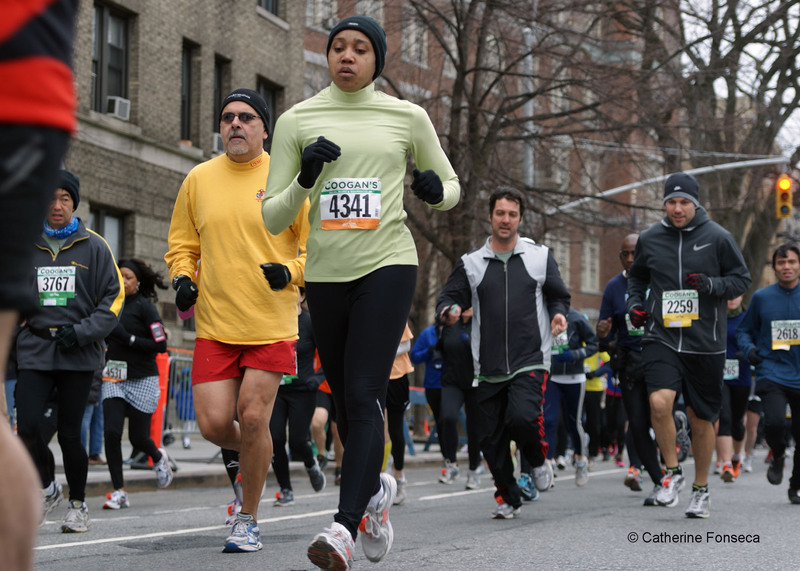 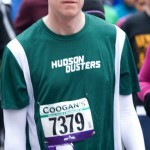 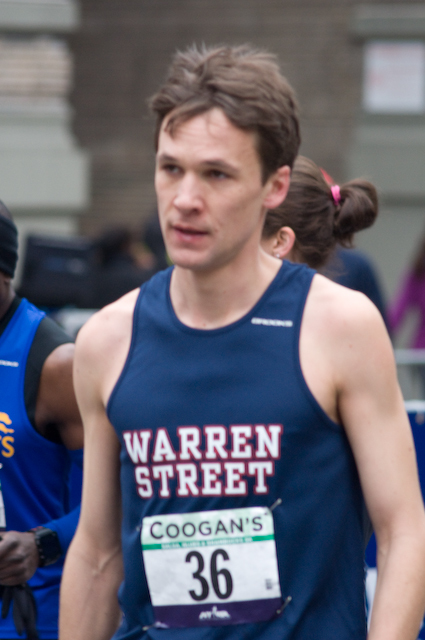 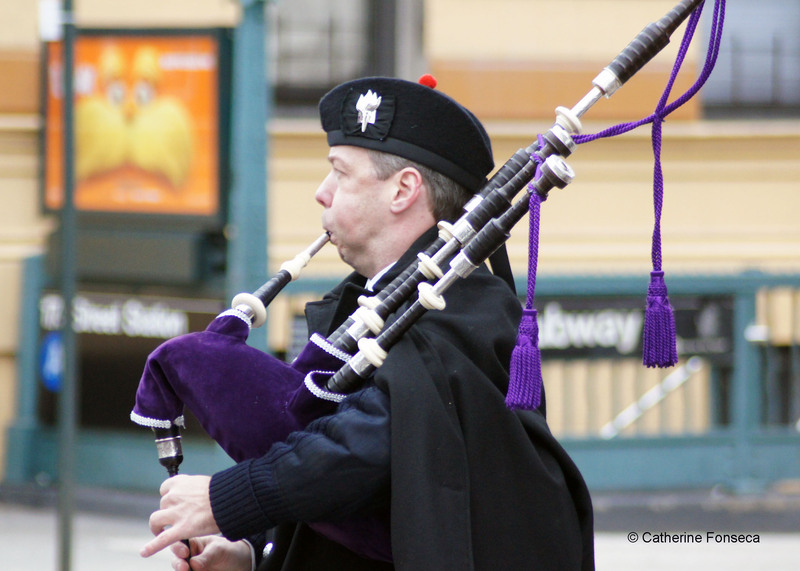 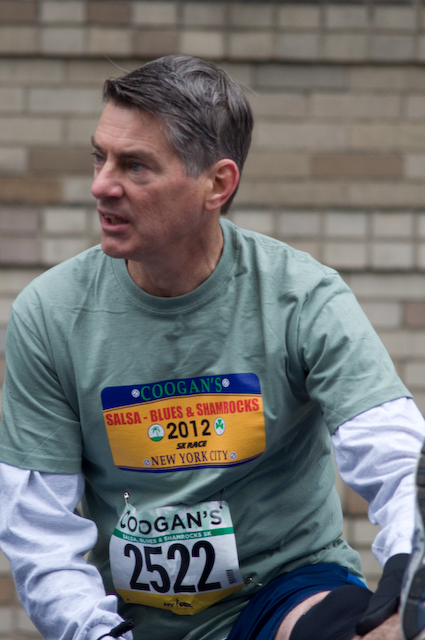 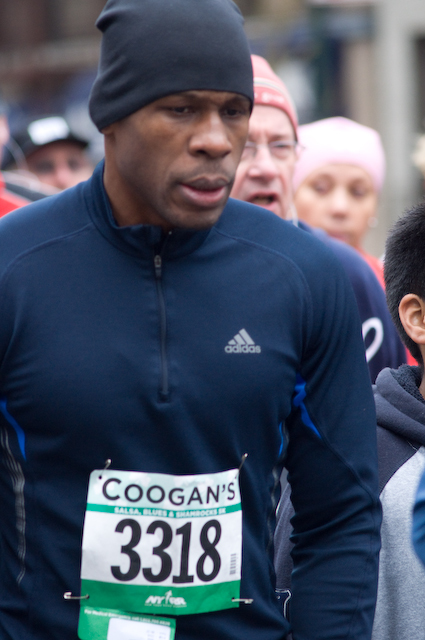 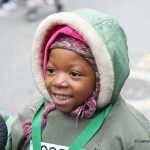 Coogan’s Annual Salsa, Blues & Shamrocks 5K Run, is a celebration of the strong community ties and rich cultural diversity of northern Manhattan. 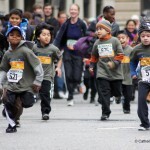 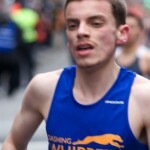 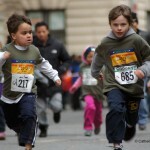 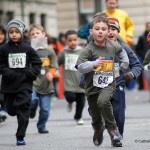 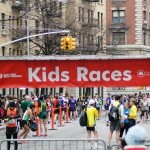 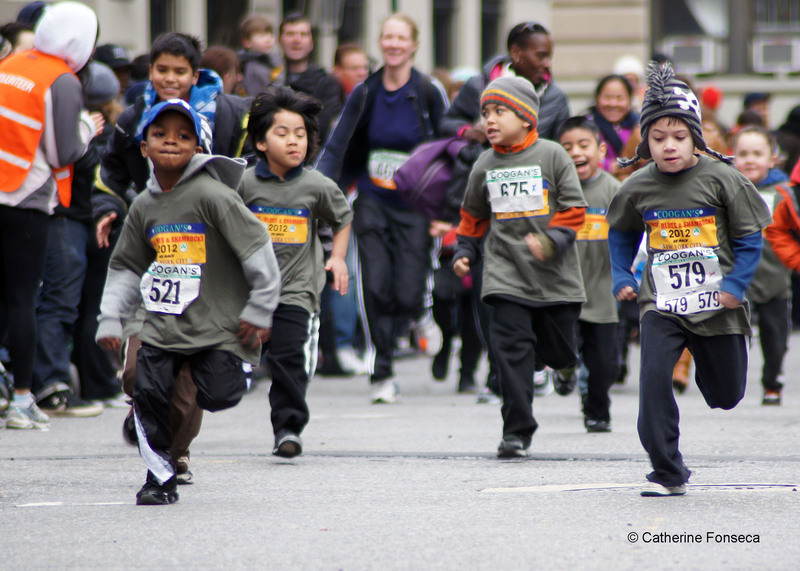 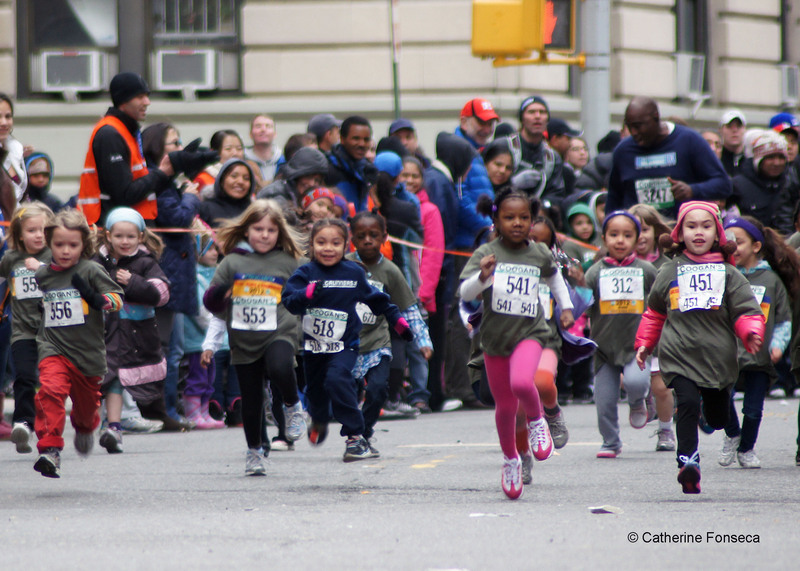 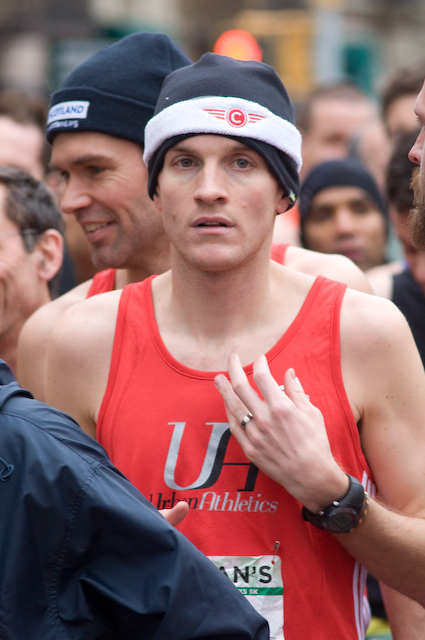 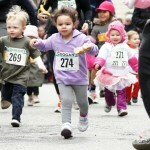 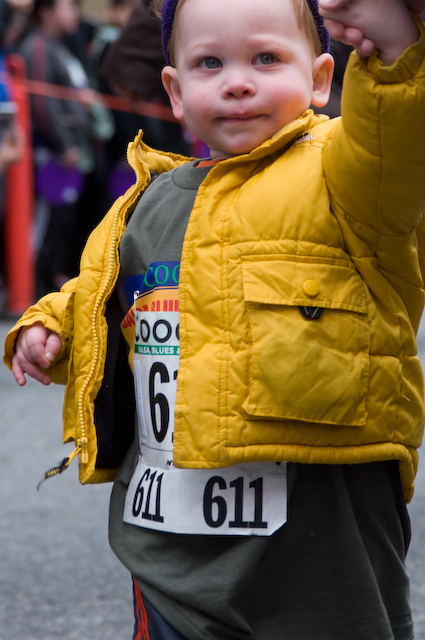 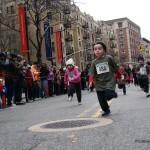 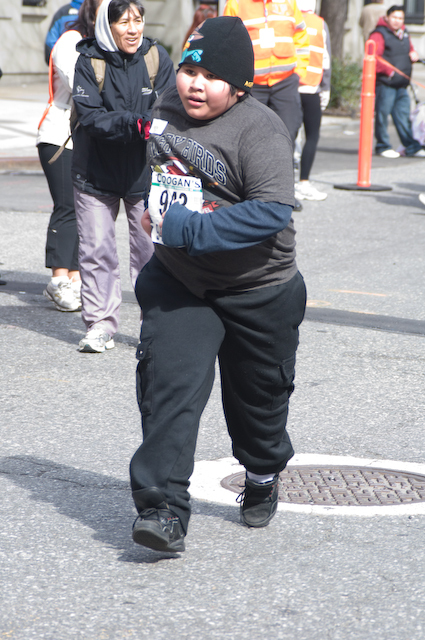 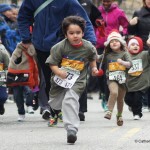 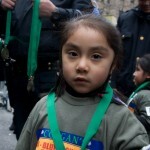 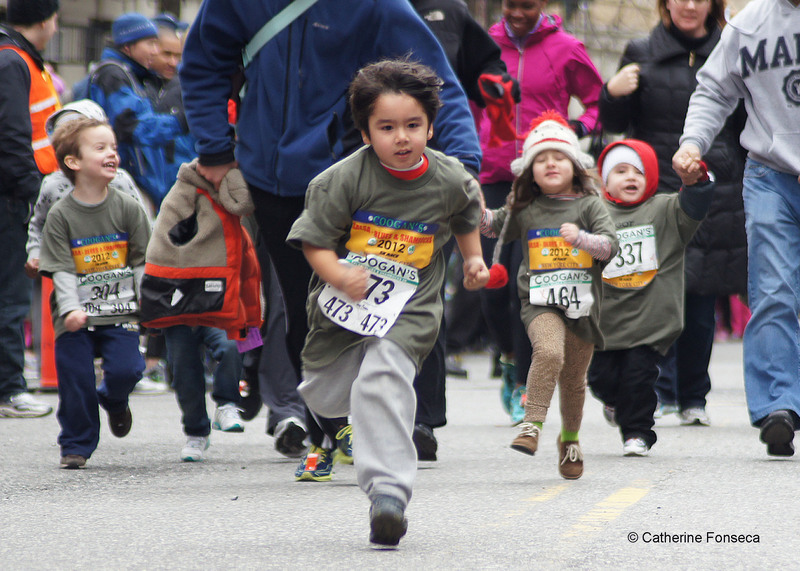 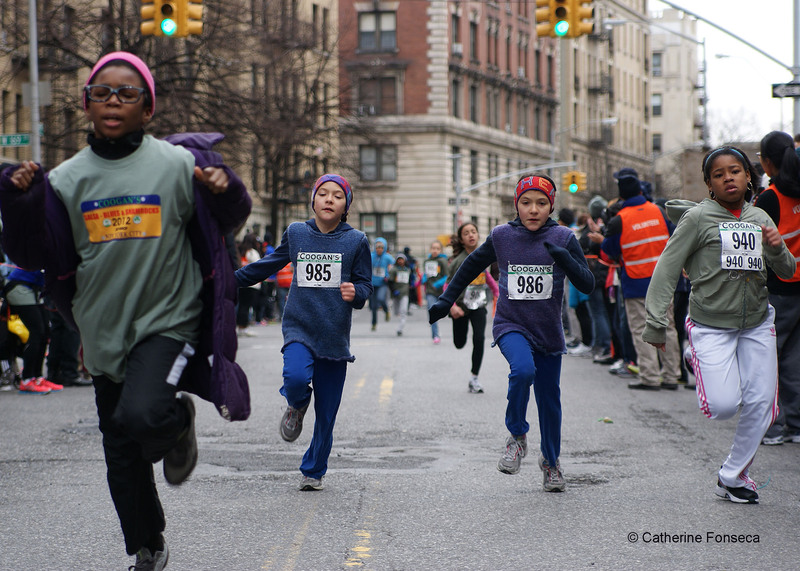 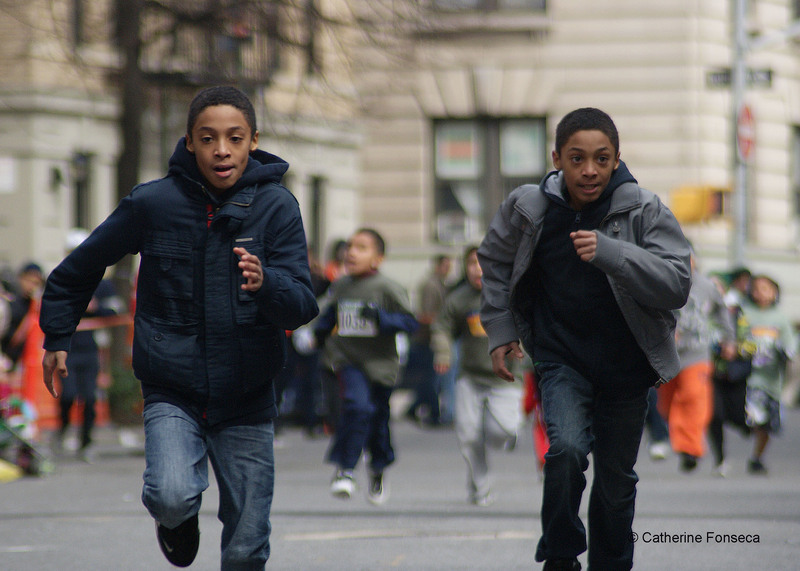 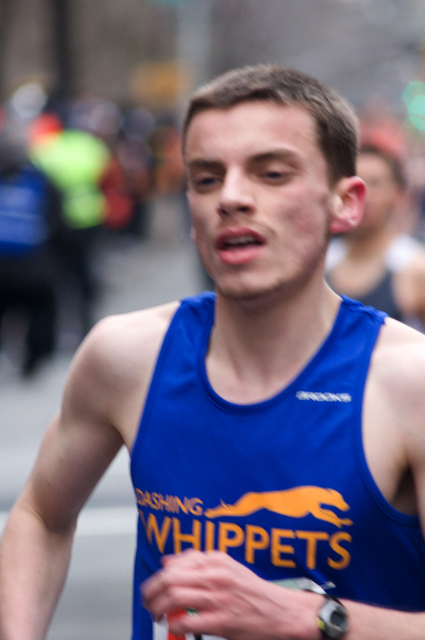 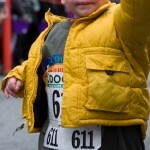 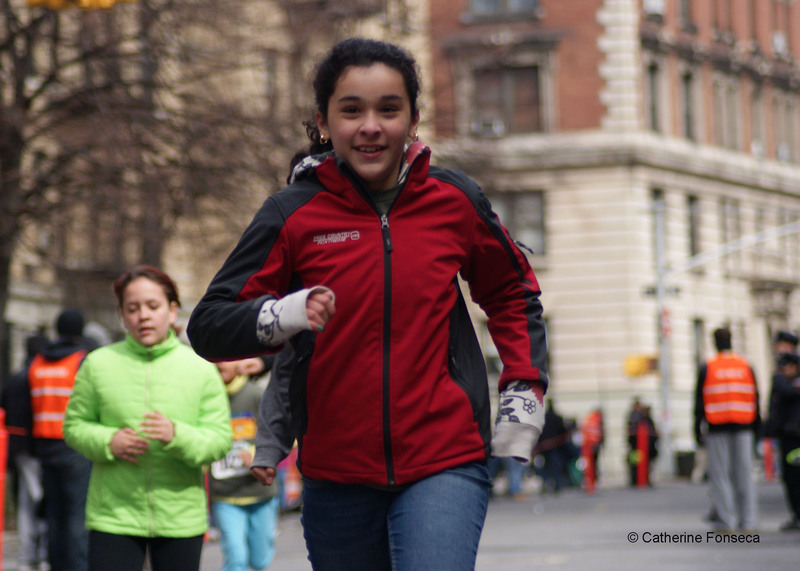 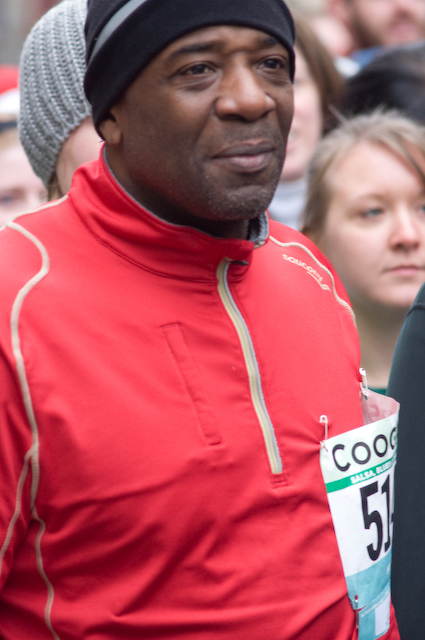 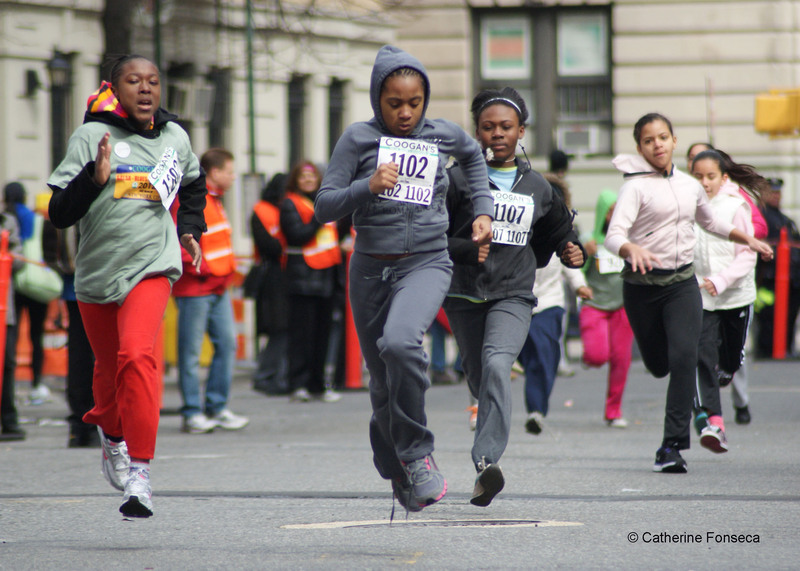 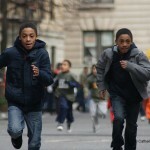 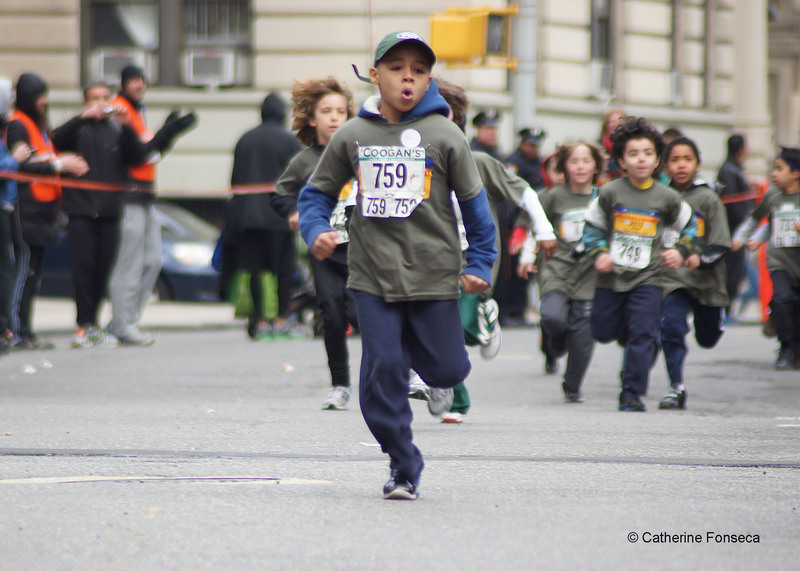 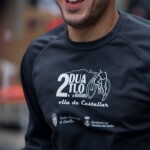 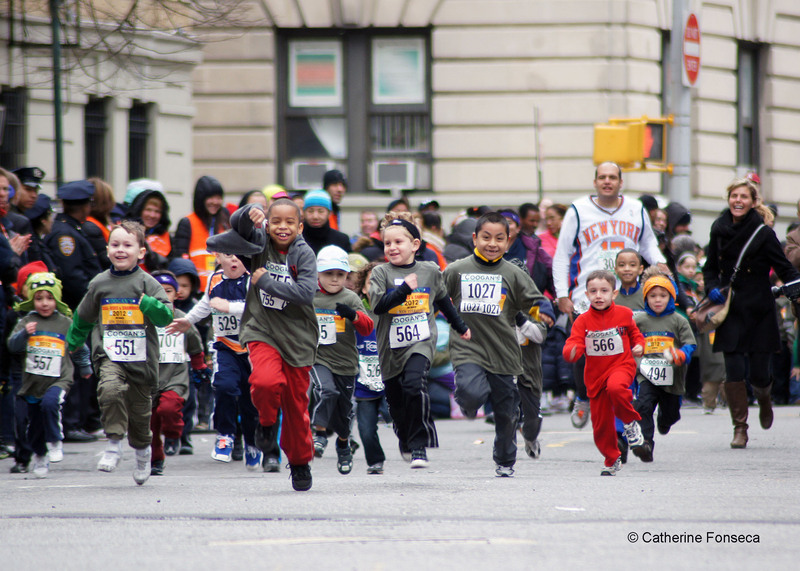 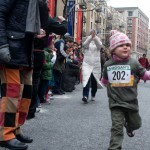 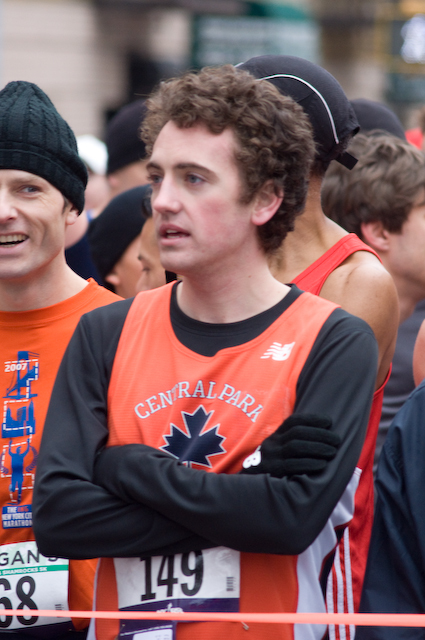 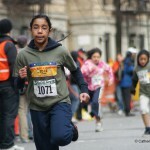 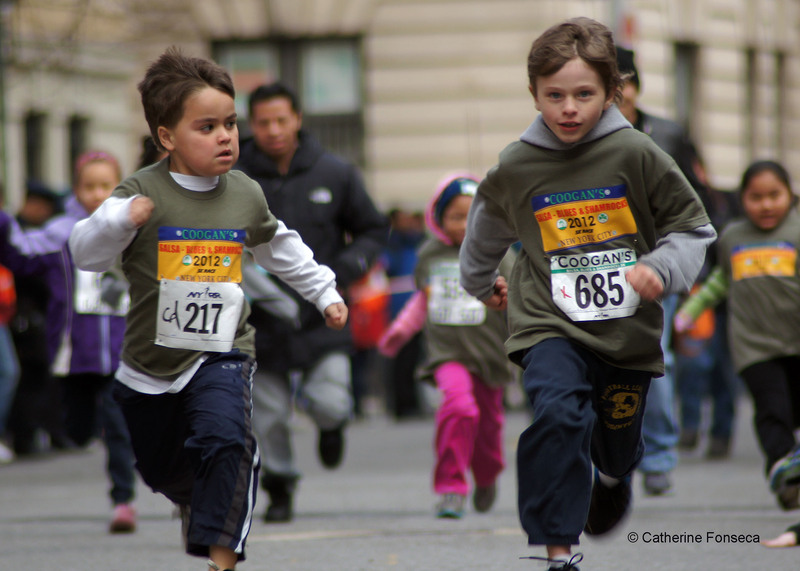 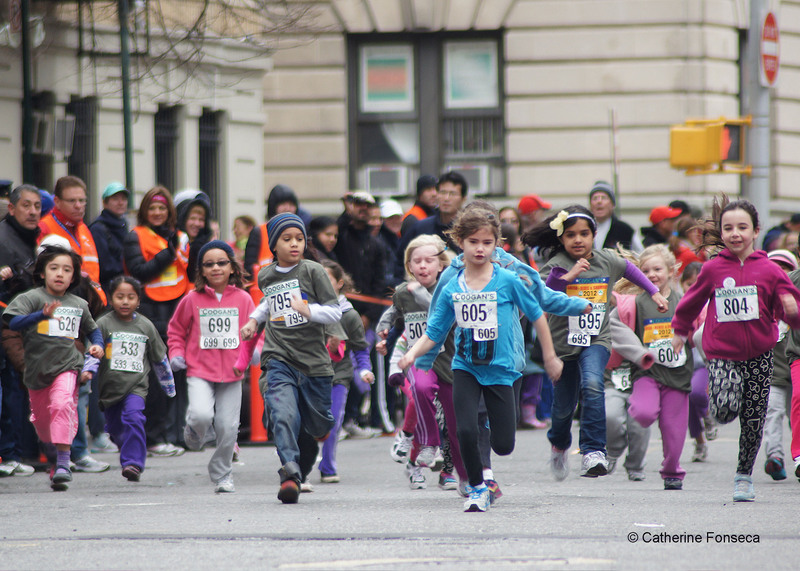 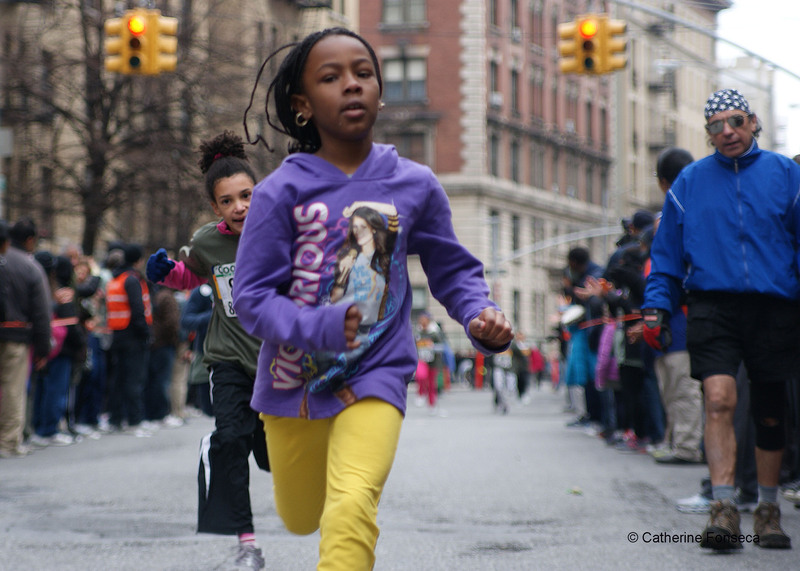 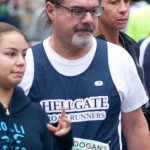 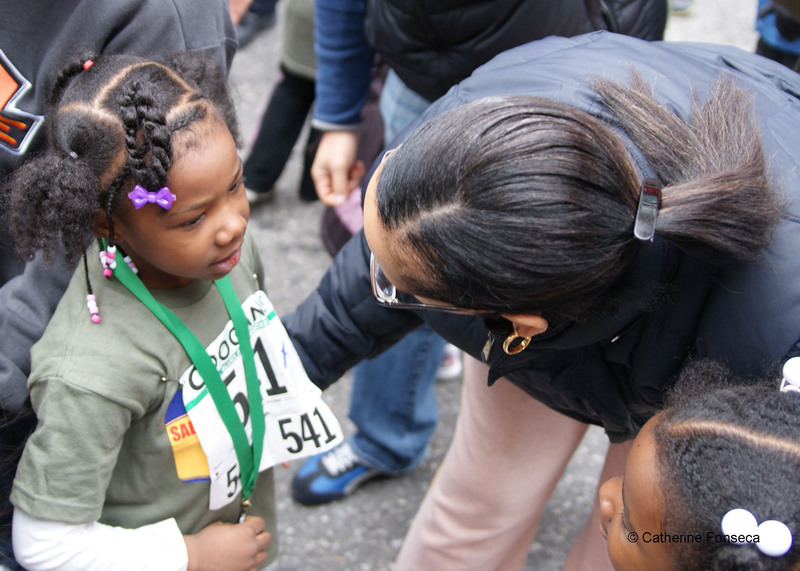 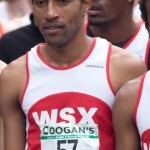 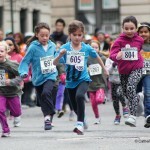 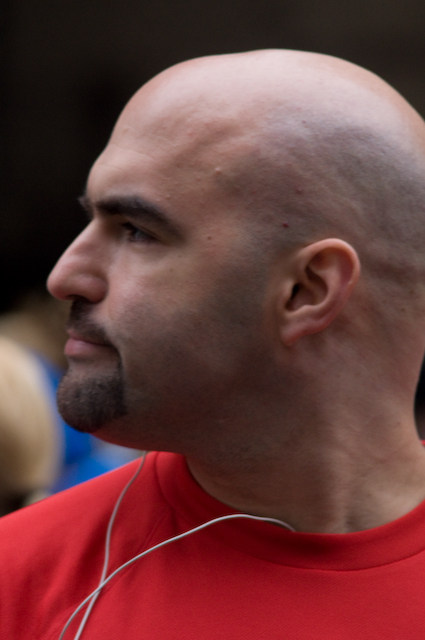 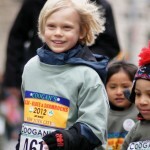 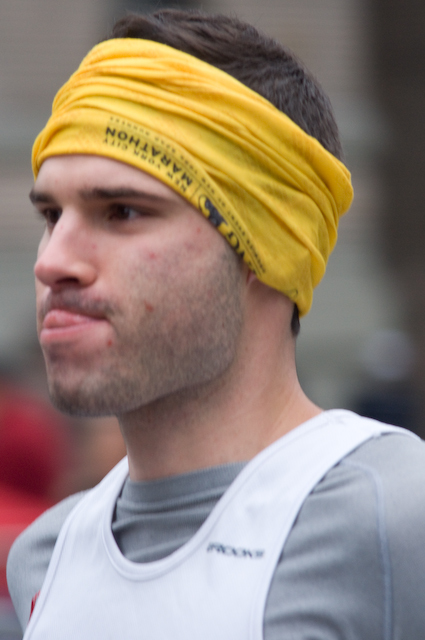 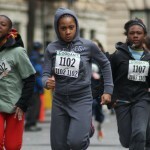 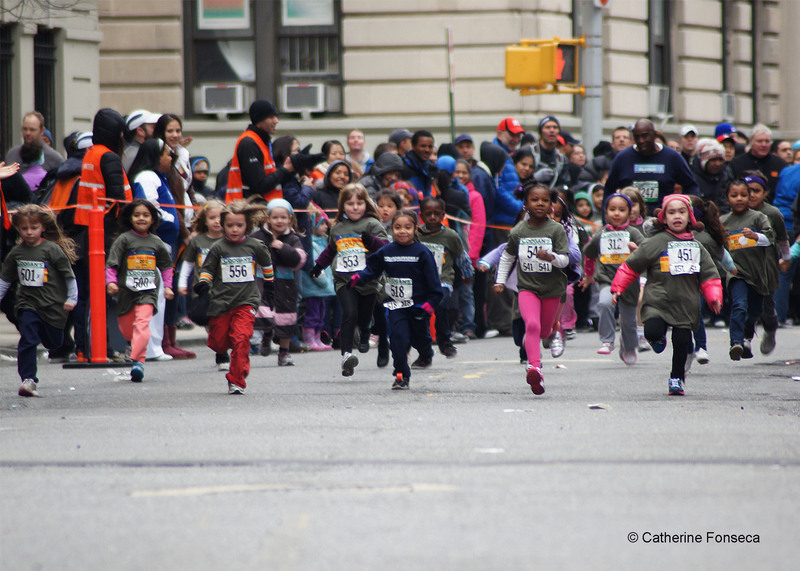 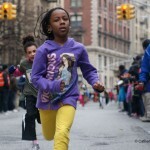 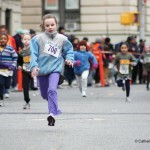 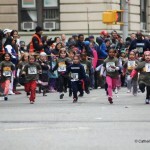 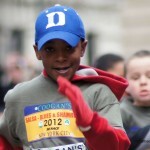 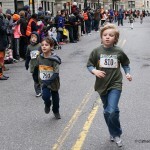 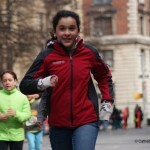 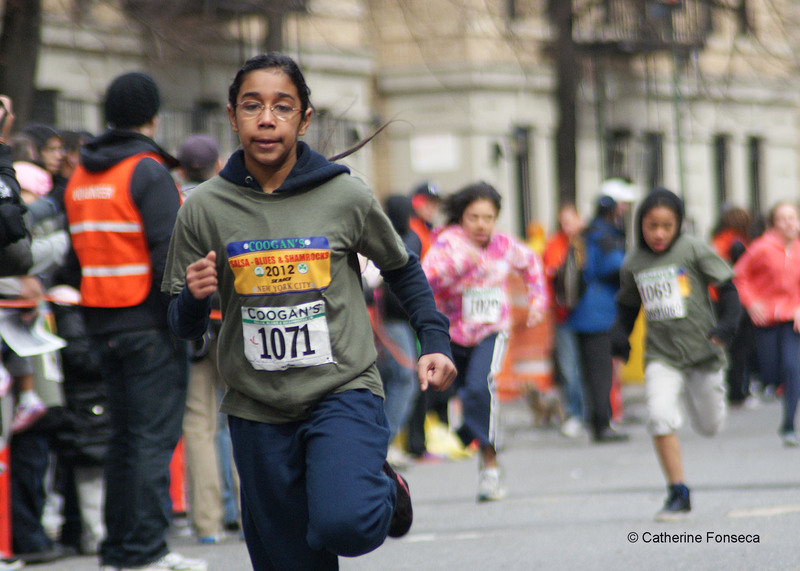 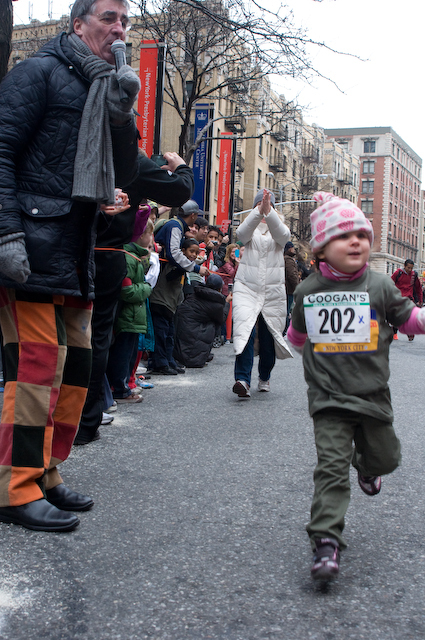 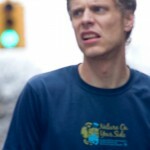 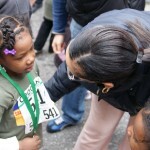 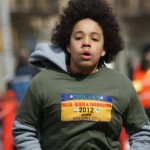 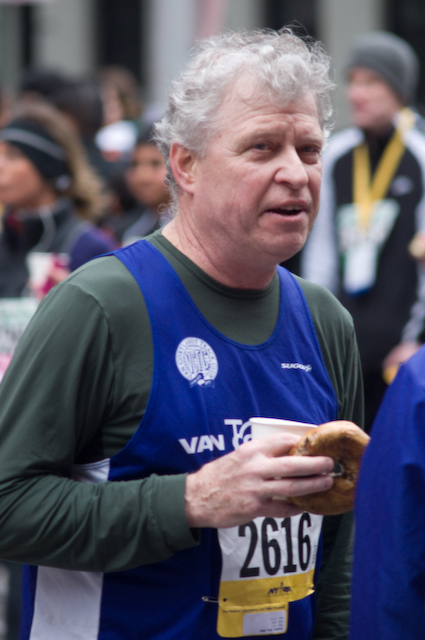 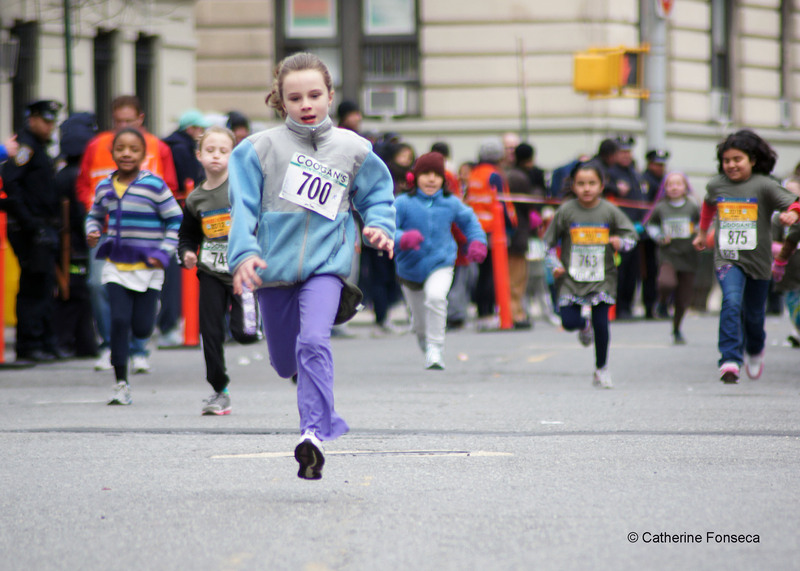 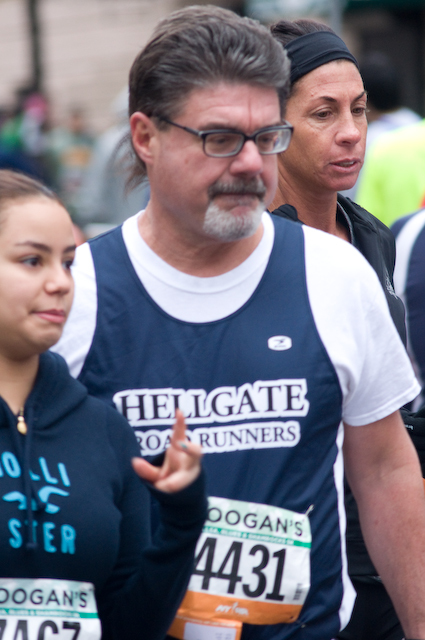 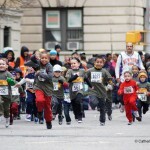 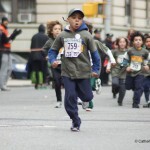 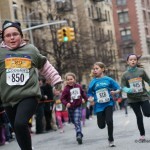 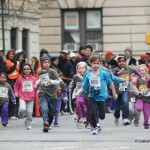 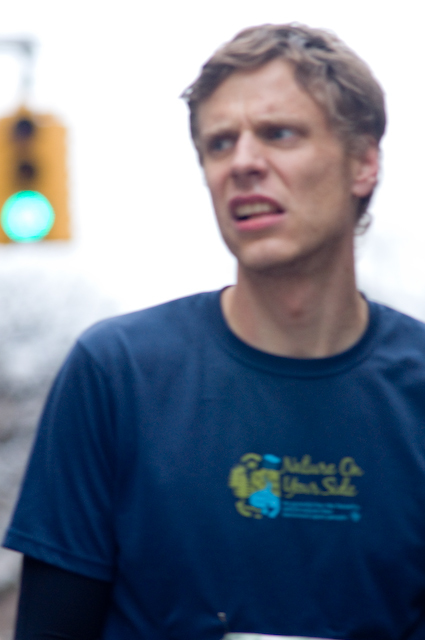 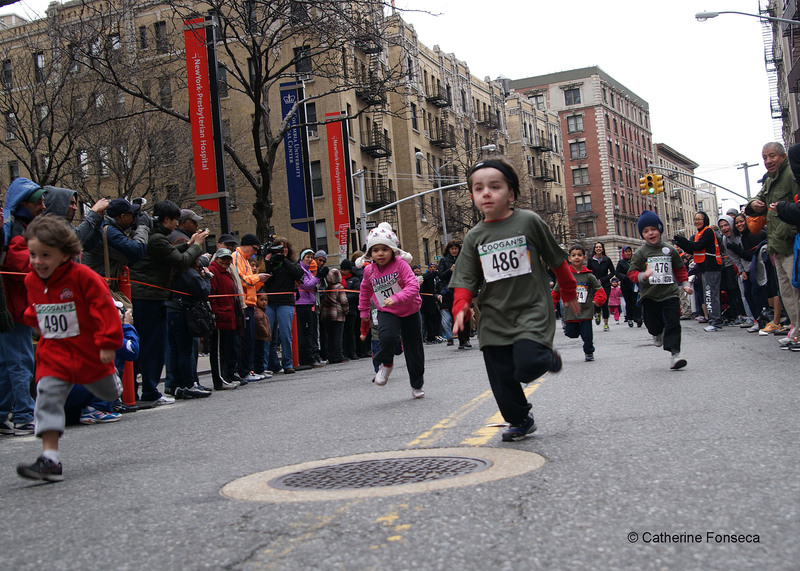 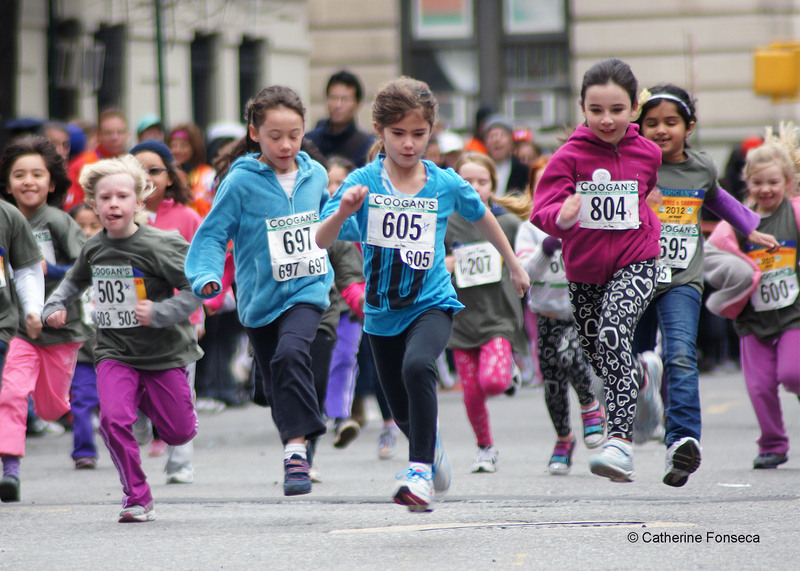 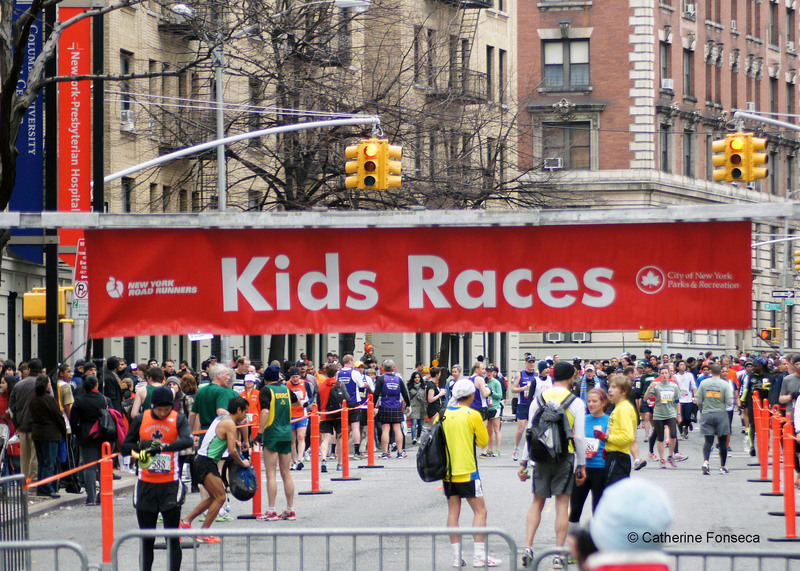 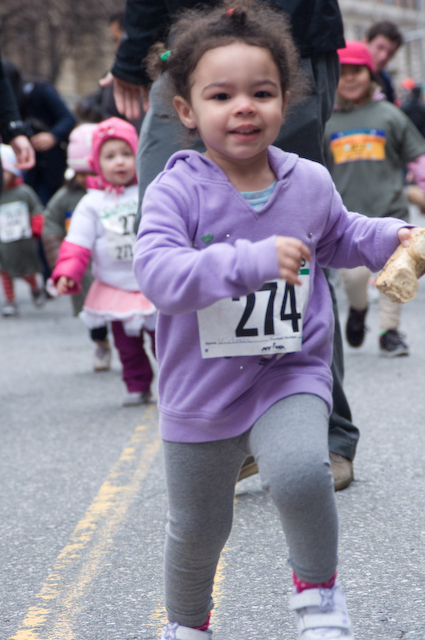 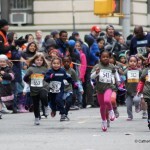 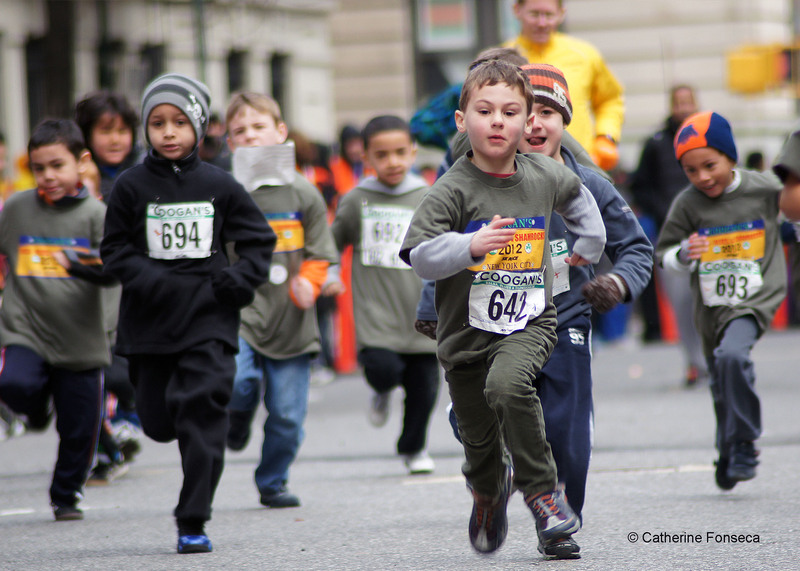 The race is founded on the premise that “kids who run do better in school”. 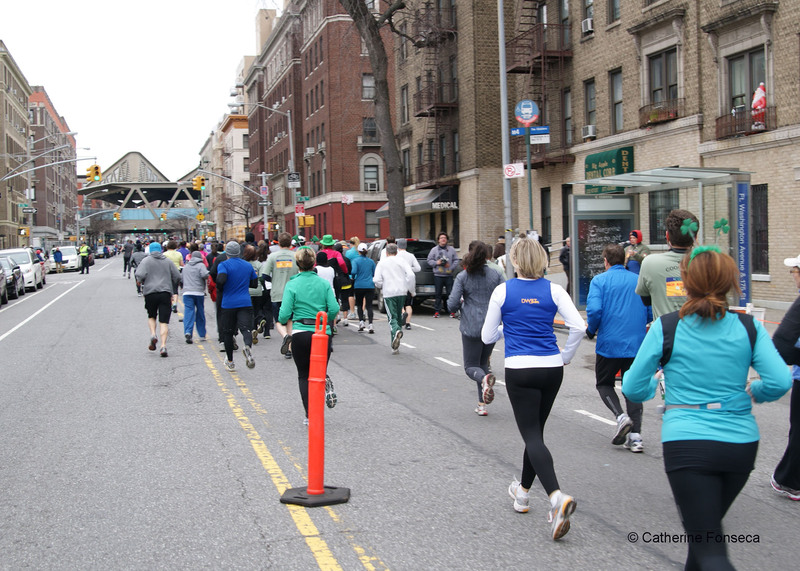 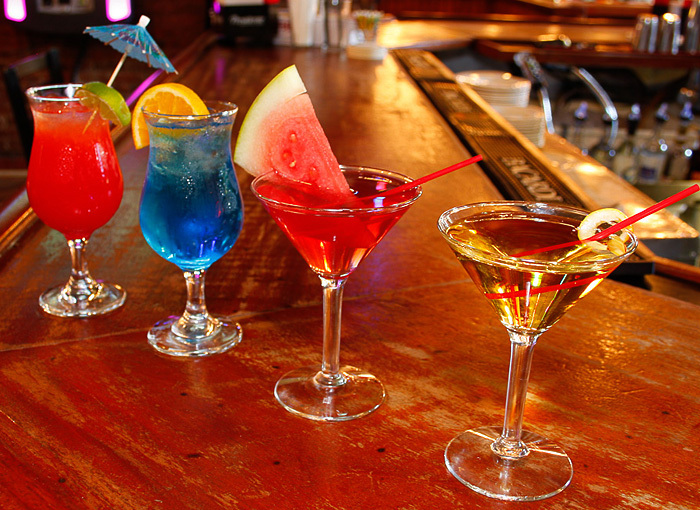 The scenic route circles the historic Cloisters and returns to 169th Street. 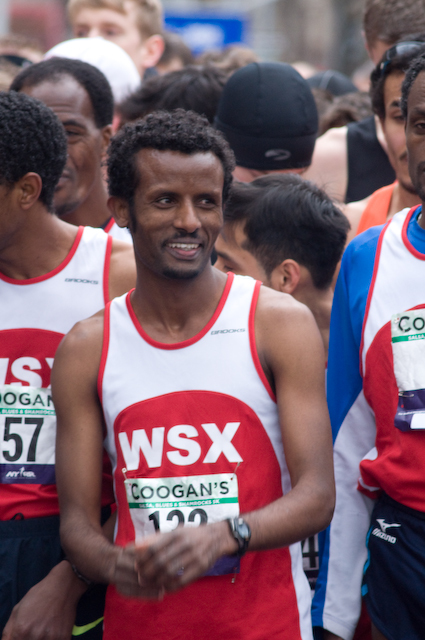 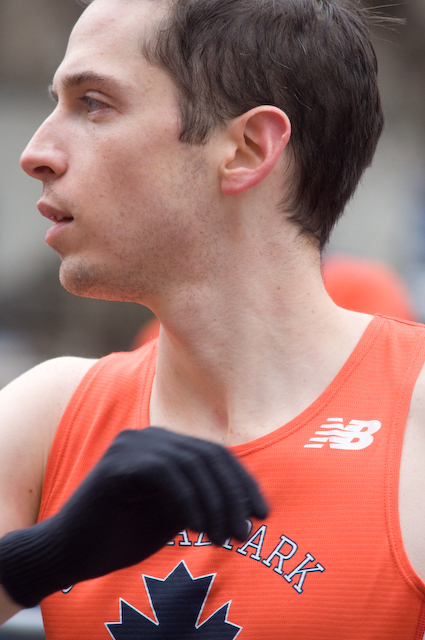 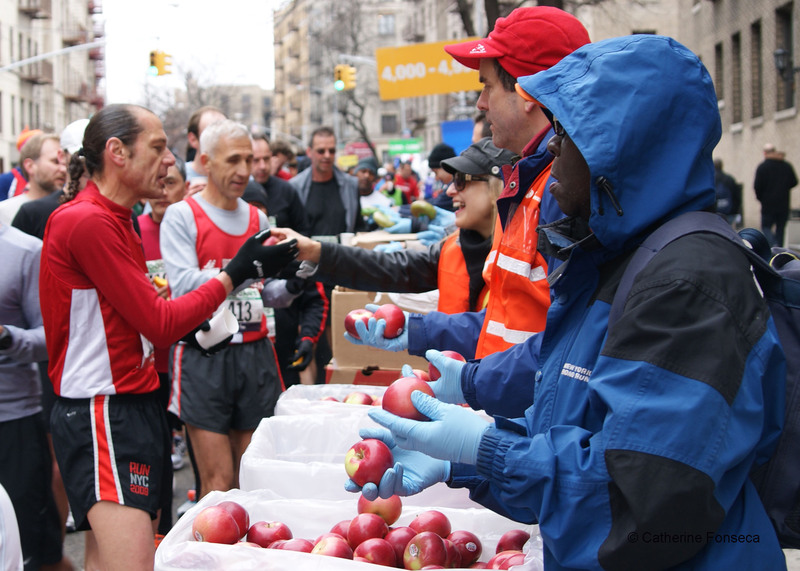 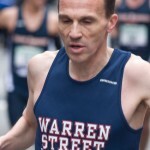 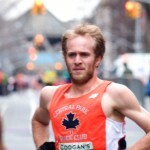 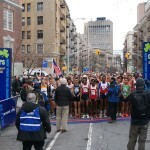 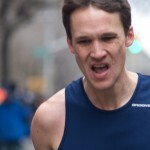 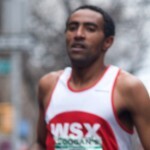 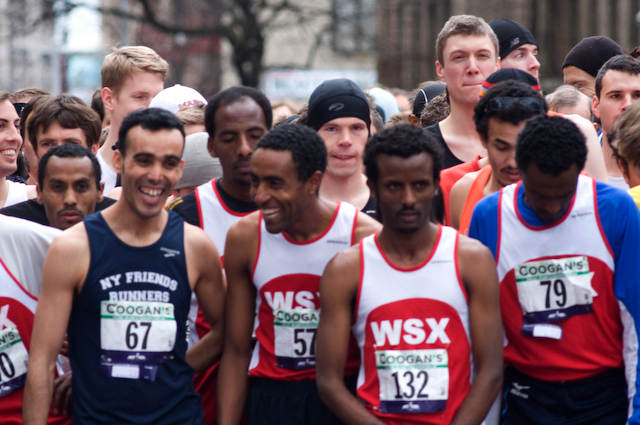 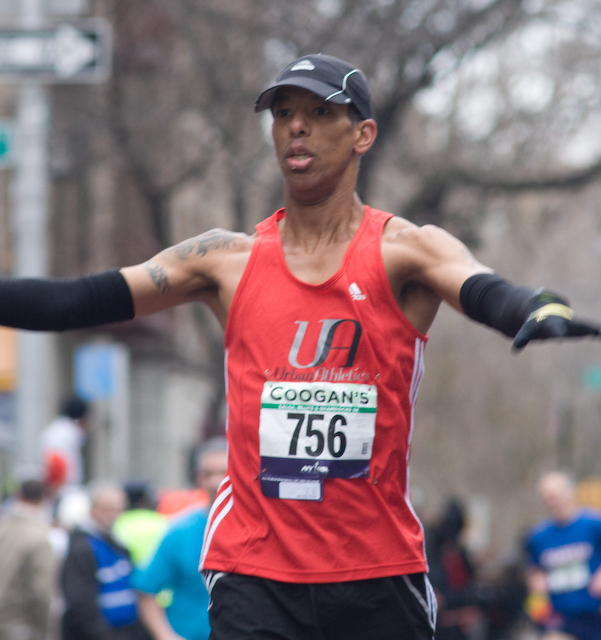 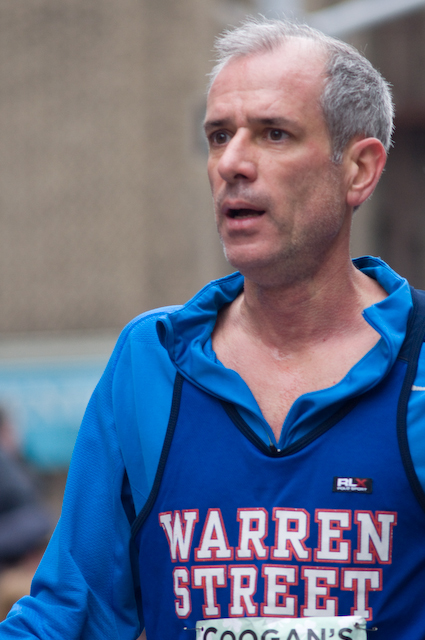 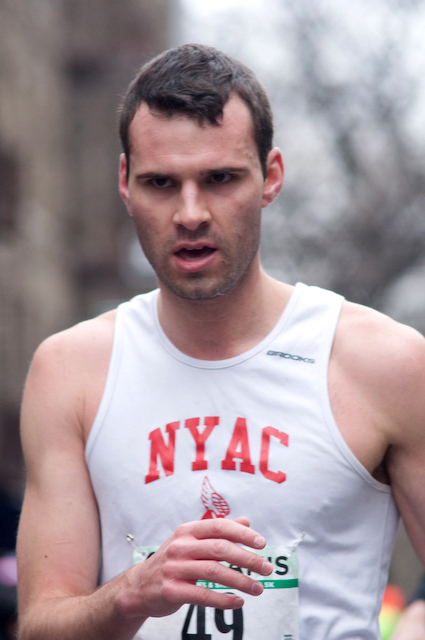 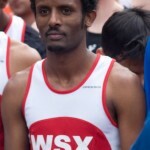 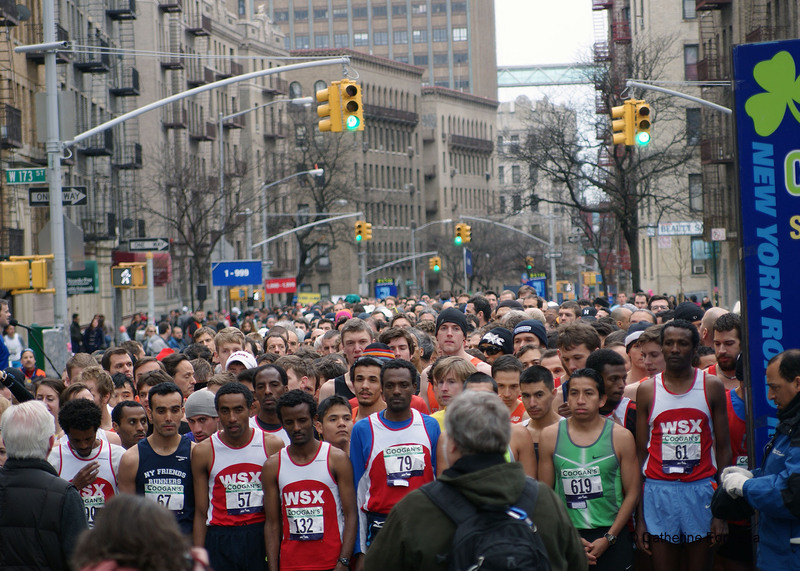 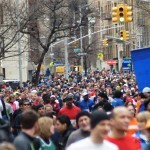 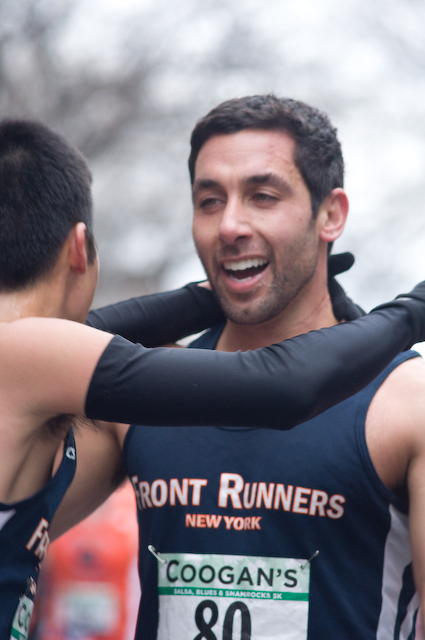 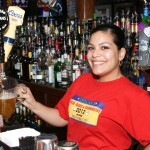 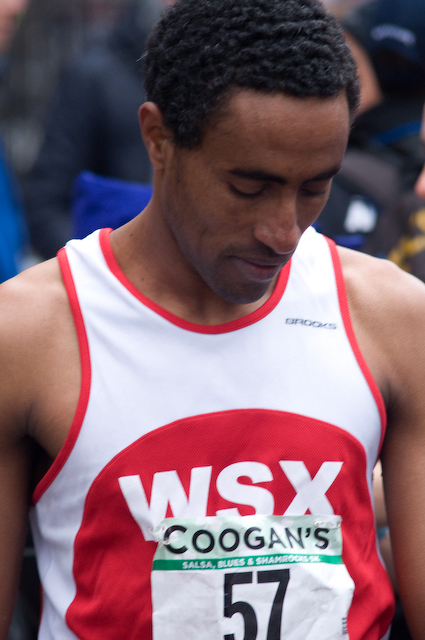 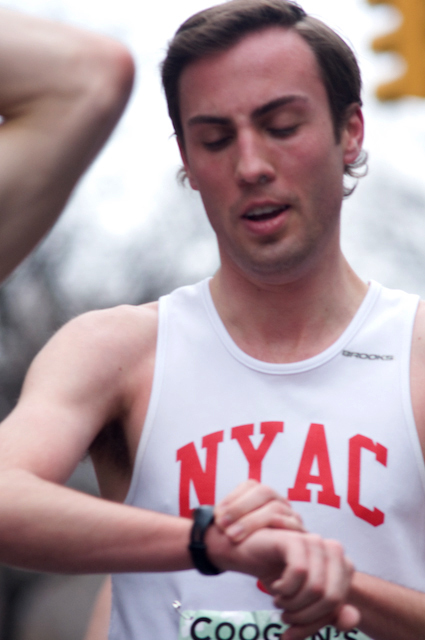 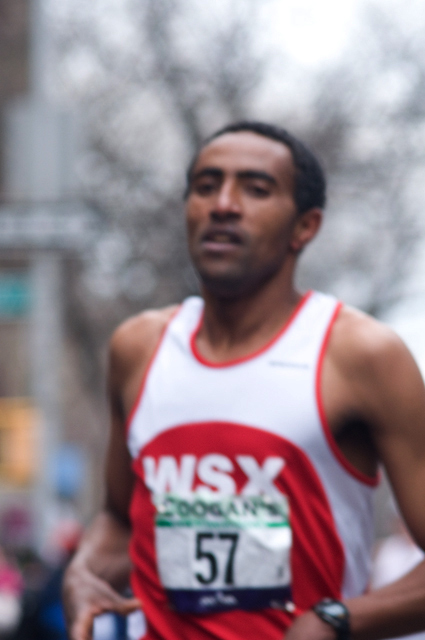 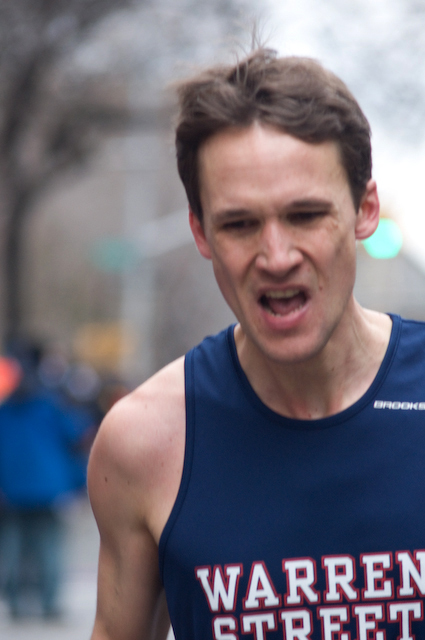 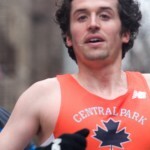 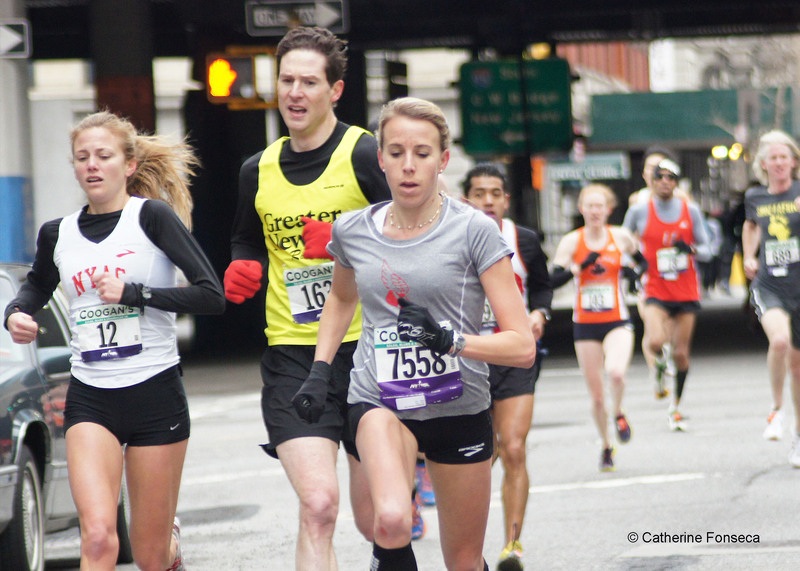 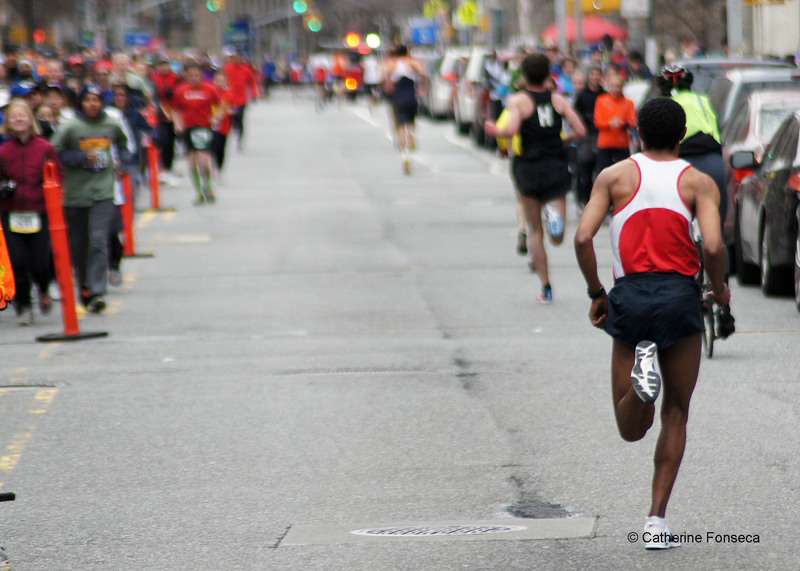 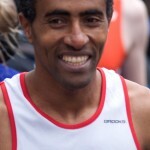 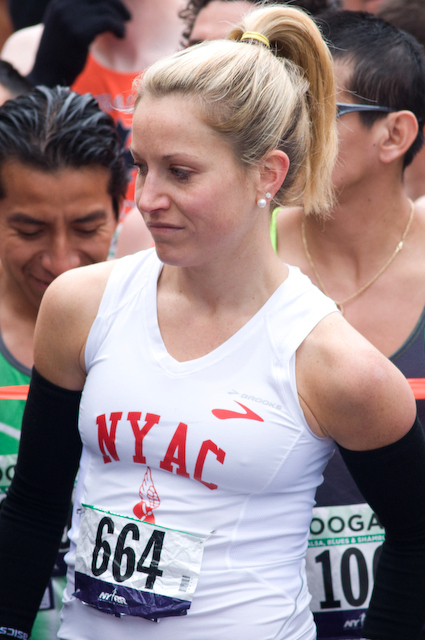 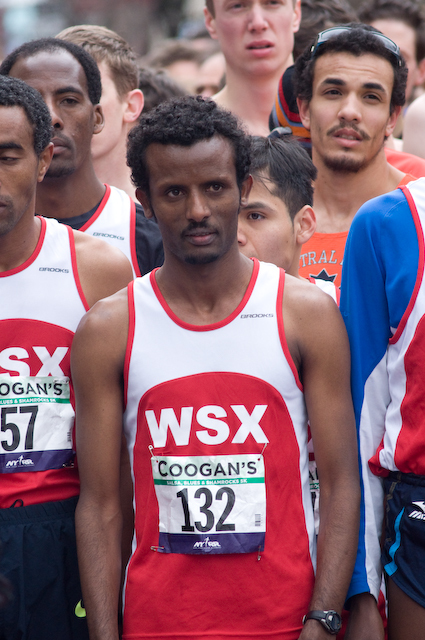 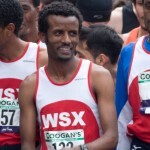 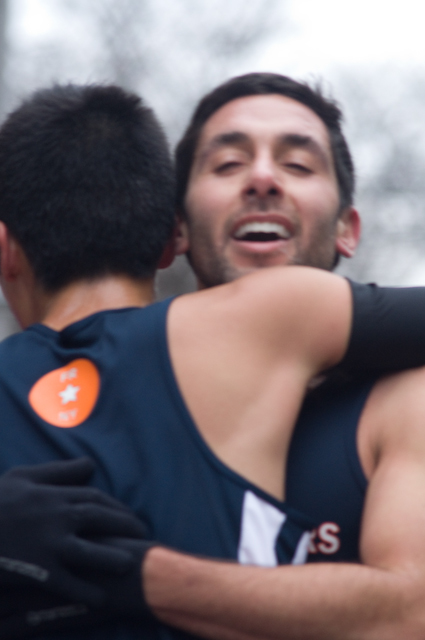 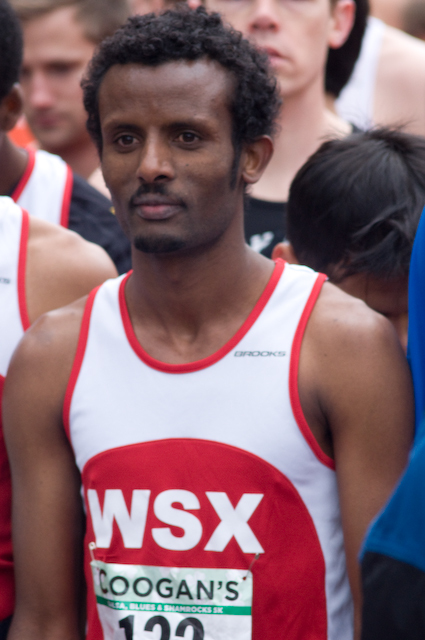 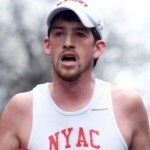 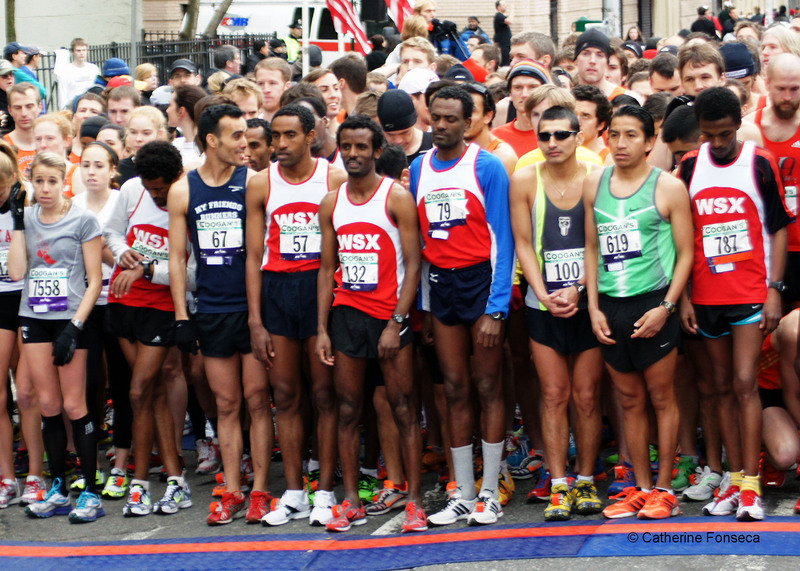 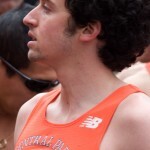 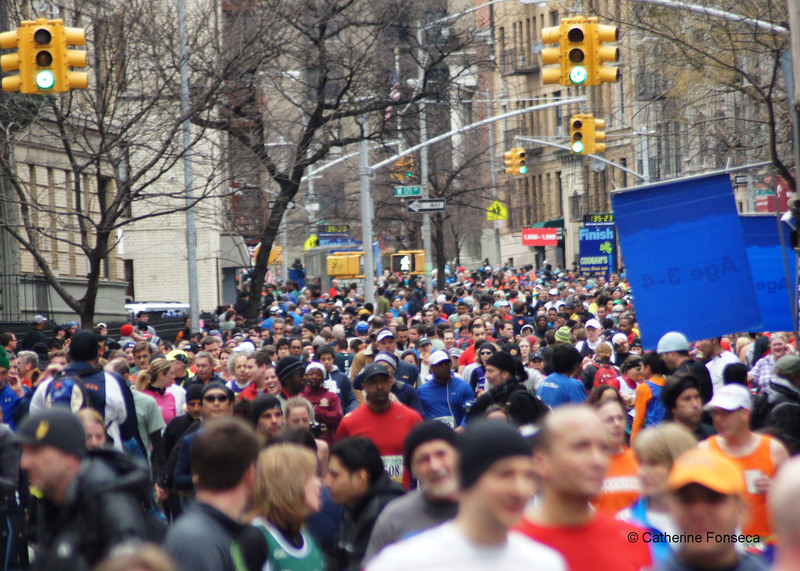 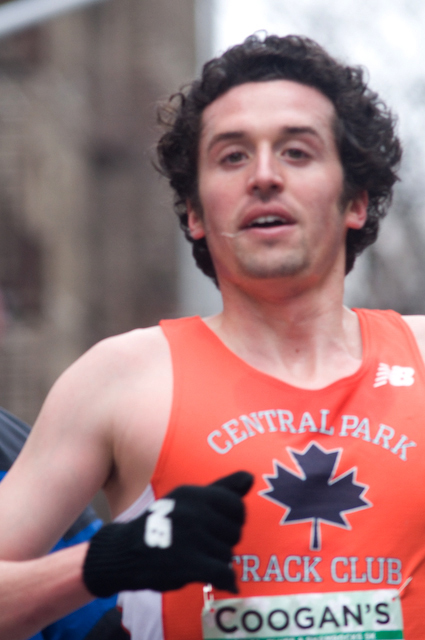 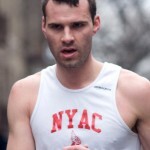 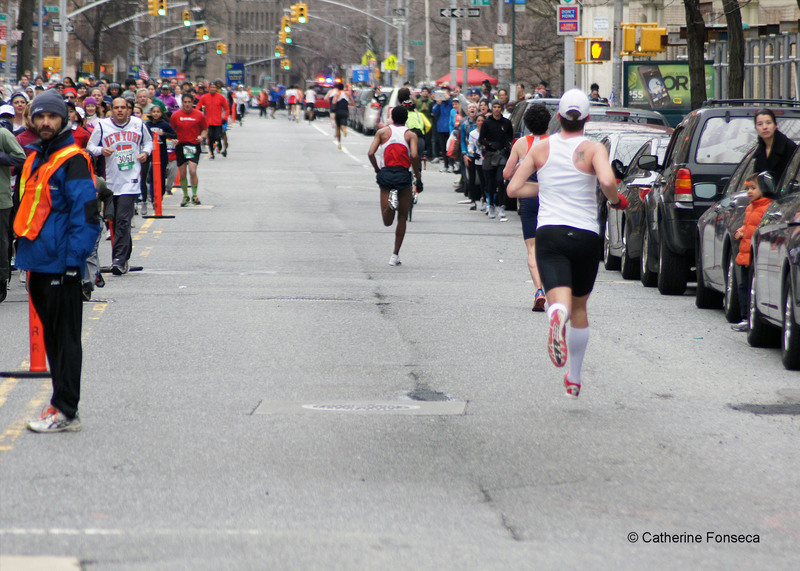 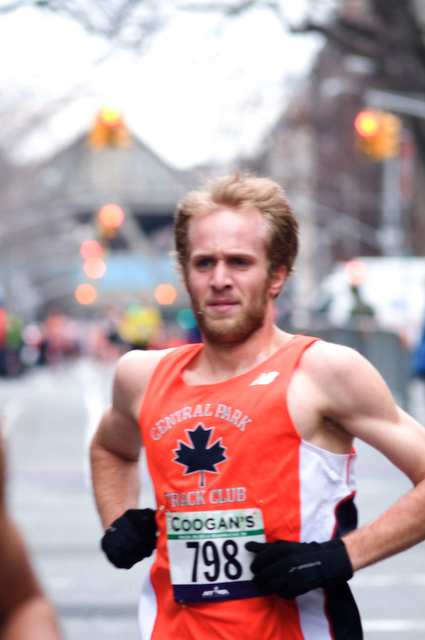 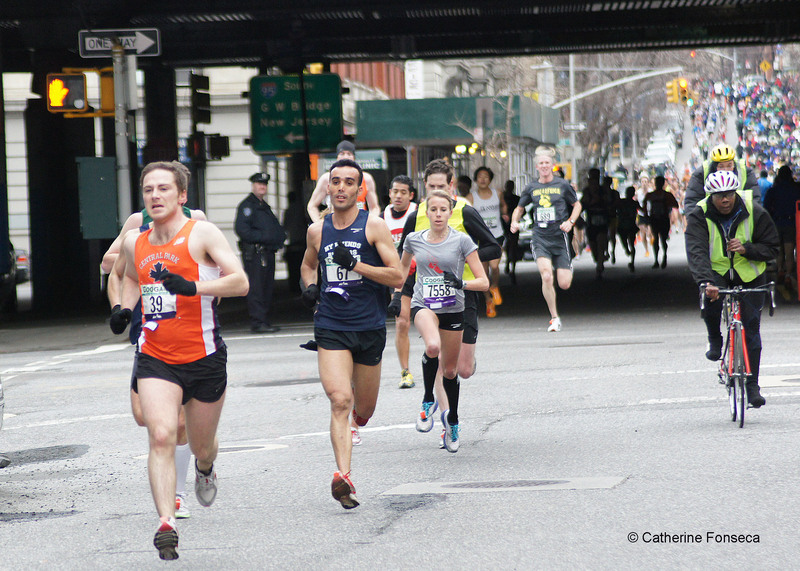 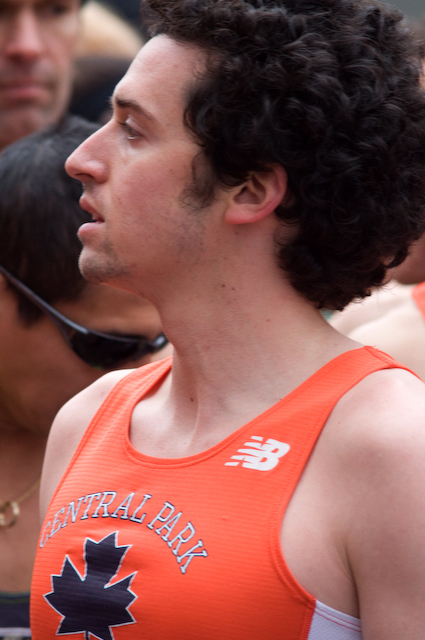 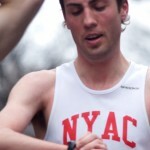 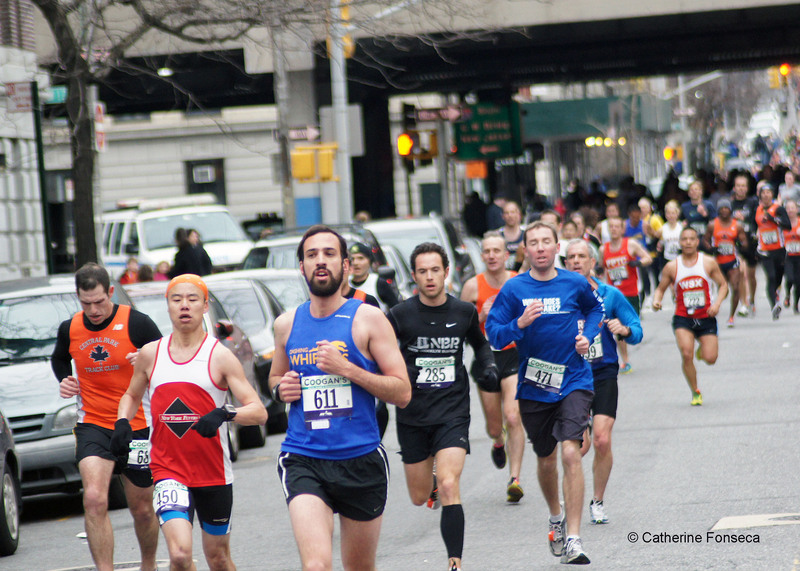 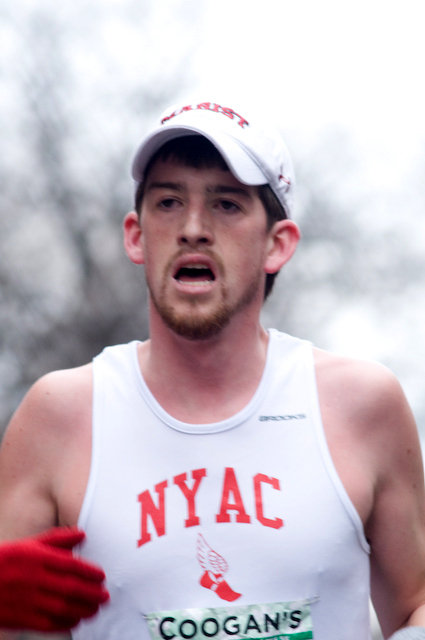 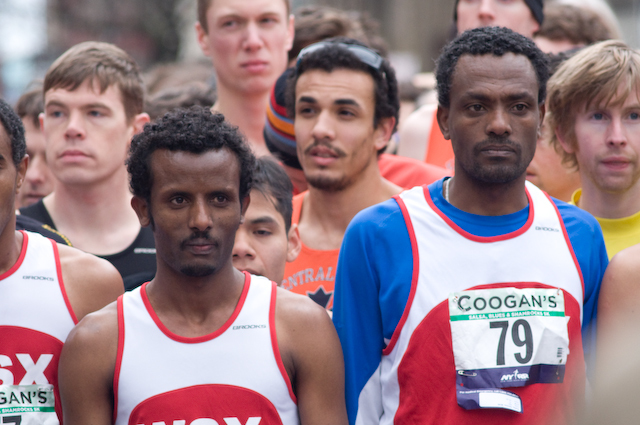 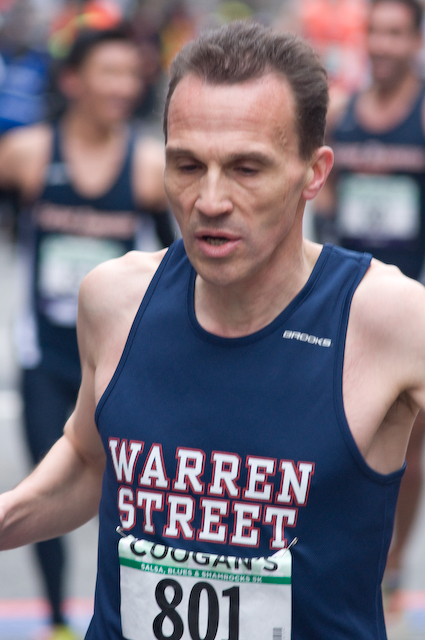 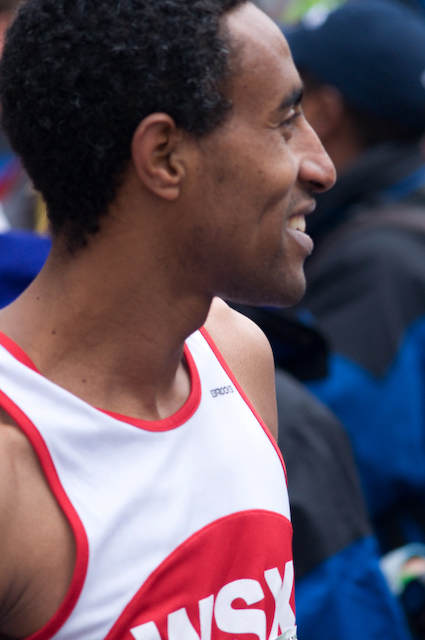 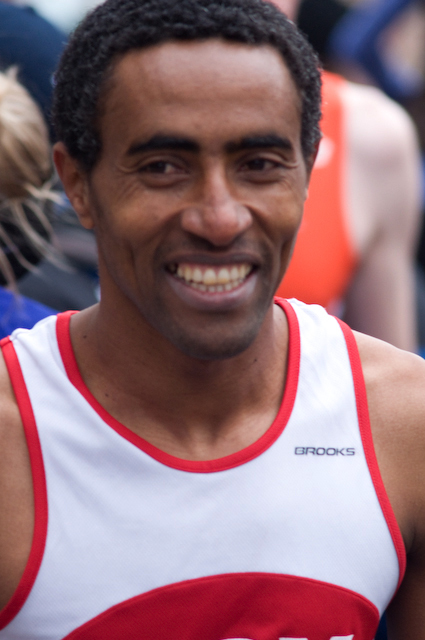 New York City Road Runners calls this “the best road race outside of Central Park”. 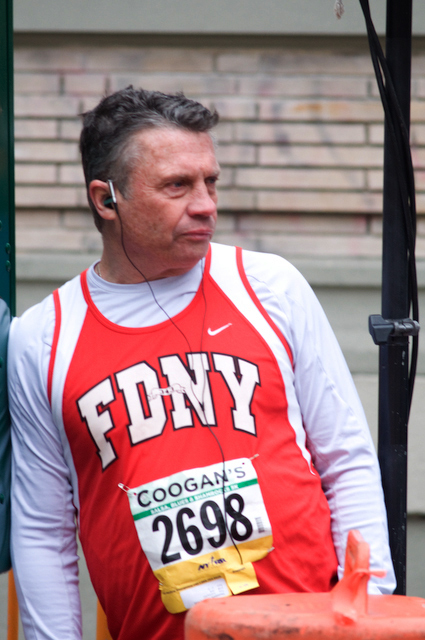 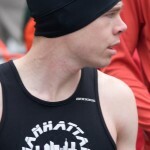 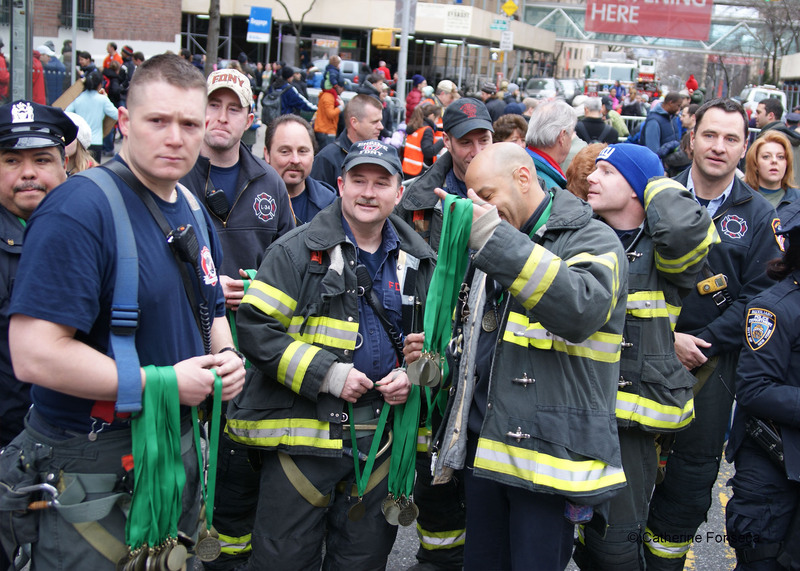 Races “within the race” include the Captain Frederick III Jr. race, created in memory of a local firefighter who lost his life in the World Trade Center attacks on Sept. 11, 2001. 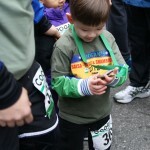 Captain III had founded this race,a competition among uniformed service. 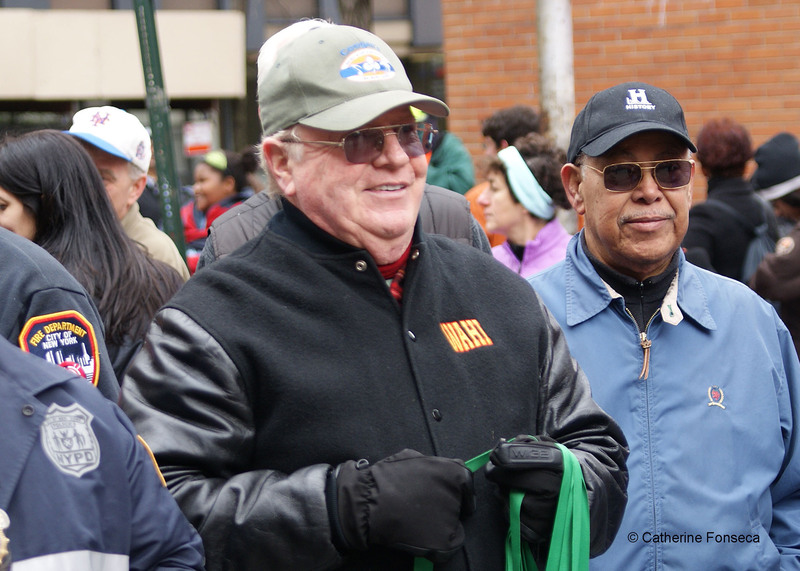 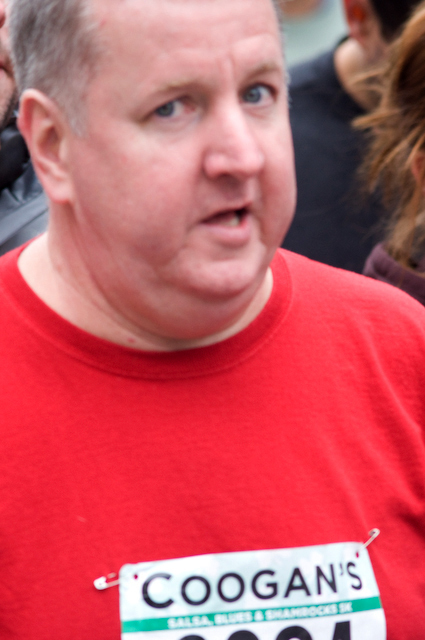 This year, Captain III’s wife will be starting the race alongside other local dignitaries. 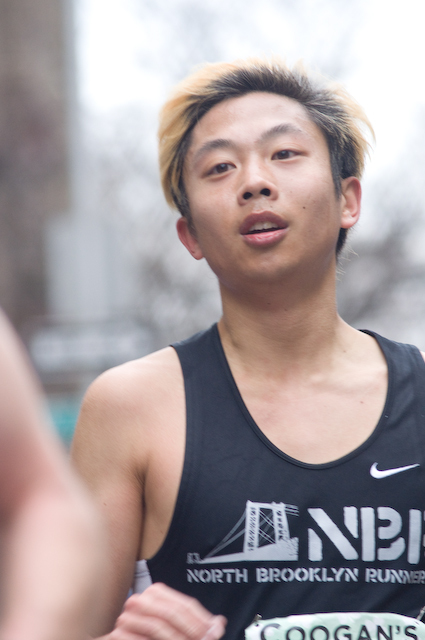 The Norbert Sander High School Open features teams of high school students competing for trophies and awards. 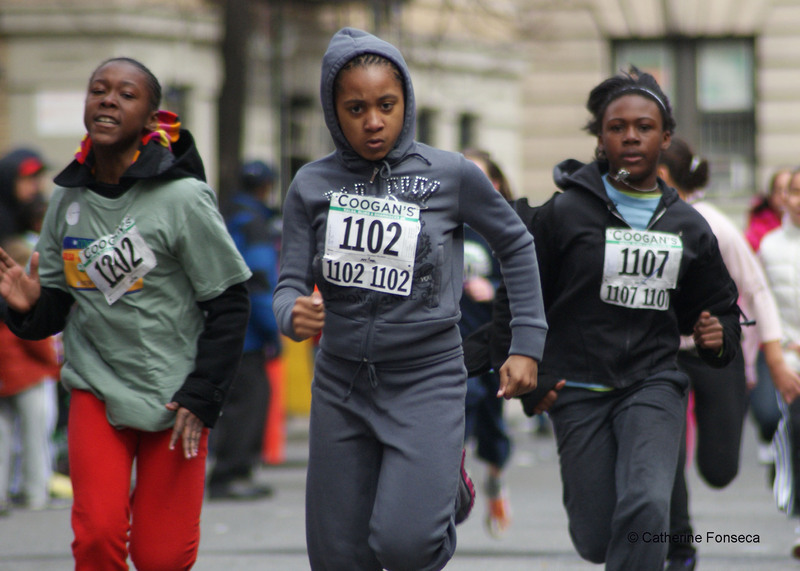 Winners receive $500, to be donated to their high school sports programs. 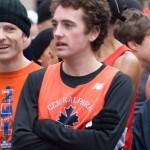 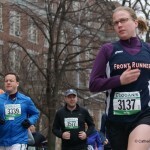 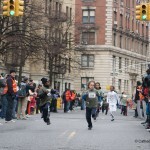 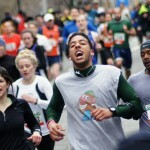 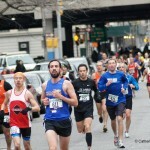 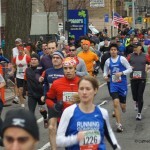 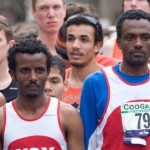 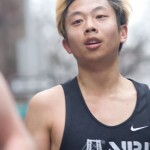 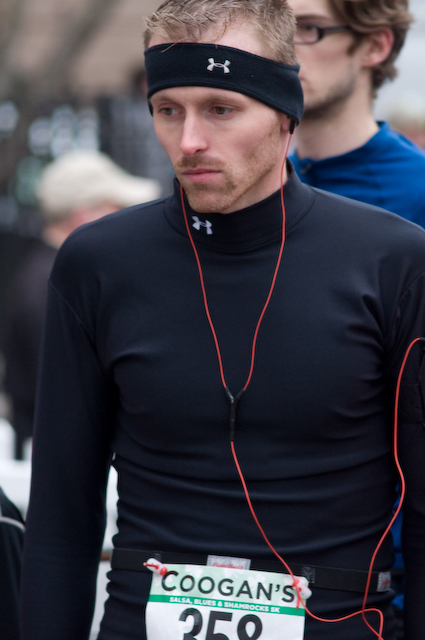 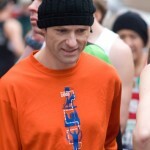 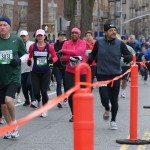 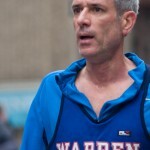 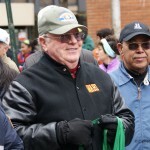 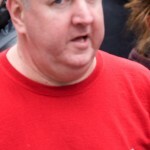 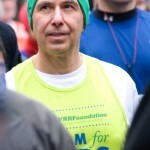 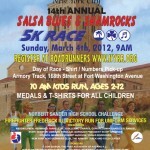 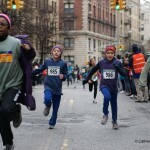 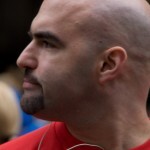 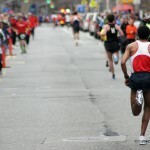 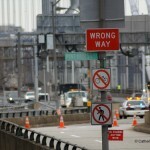 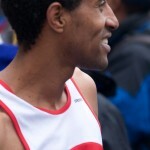 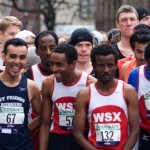 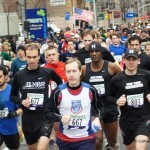 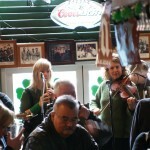 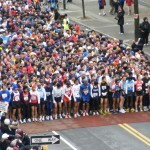 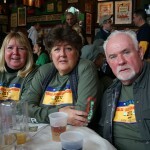 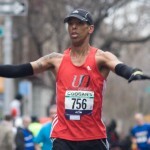 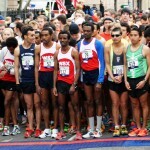 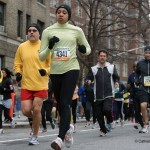 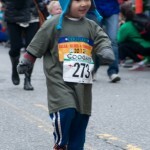 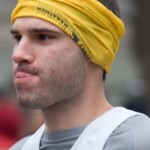 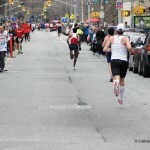 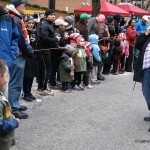 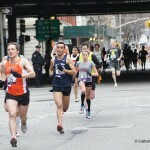 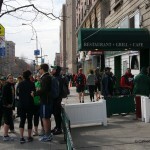 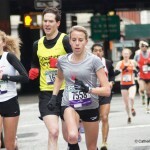 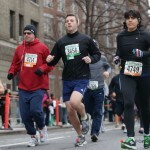 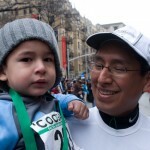 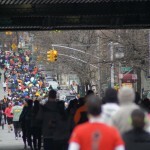 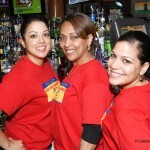 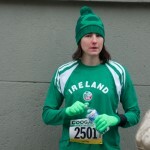 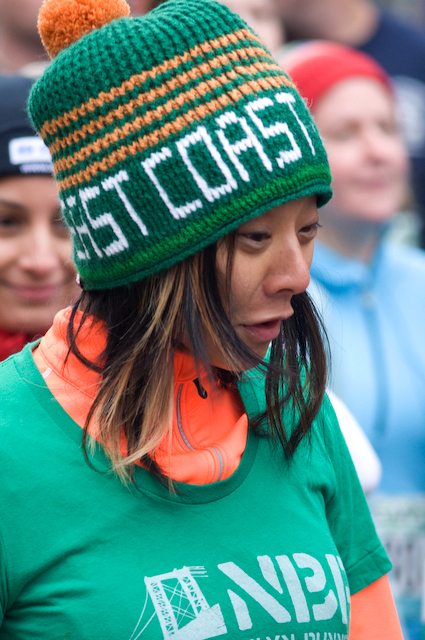 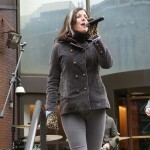 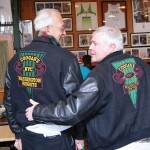 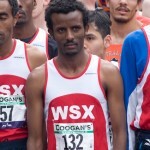 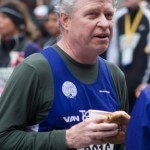 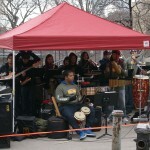 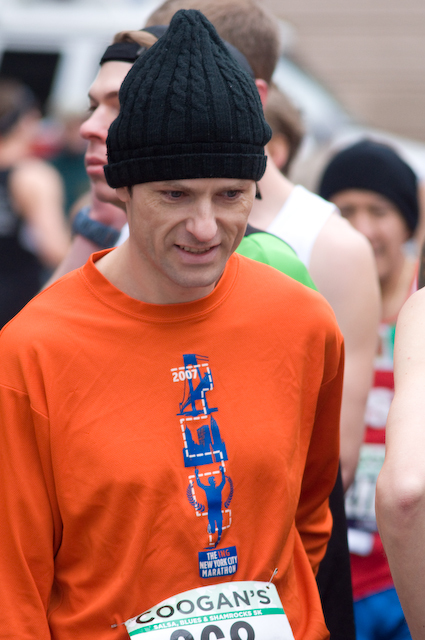 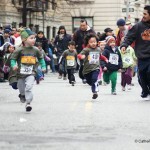 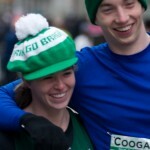 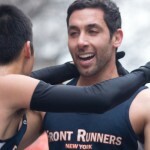 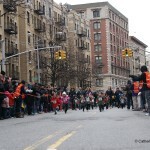 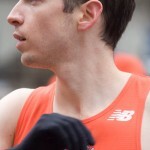 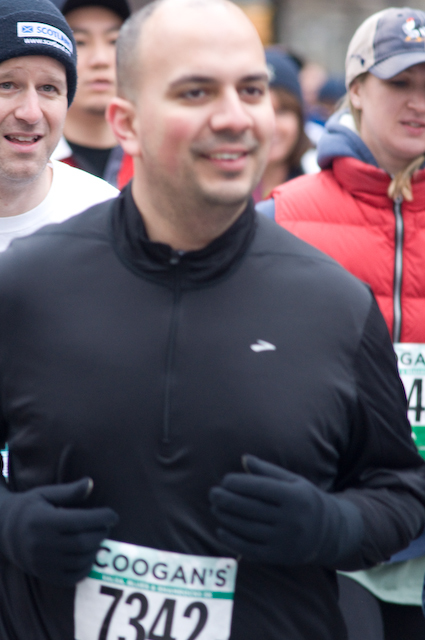 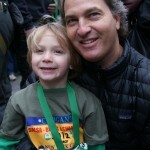 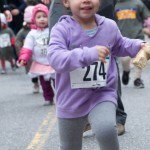 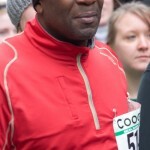 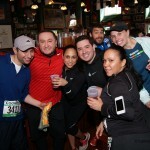 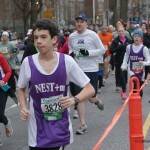 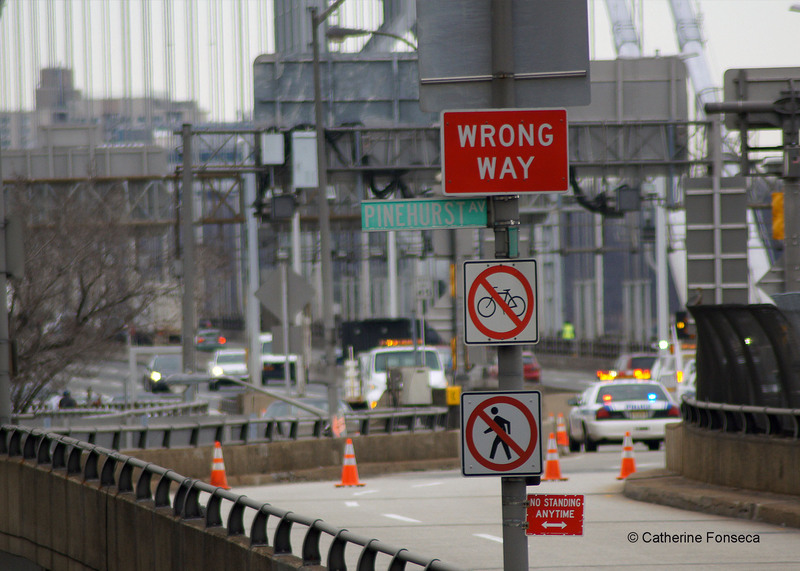 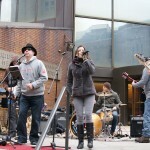 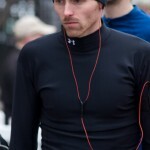 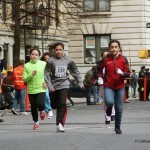 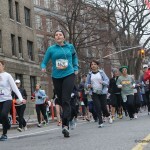 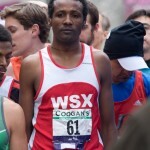 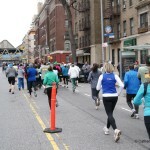 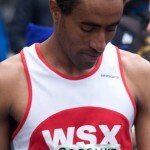 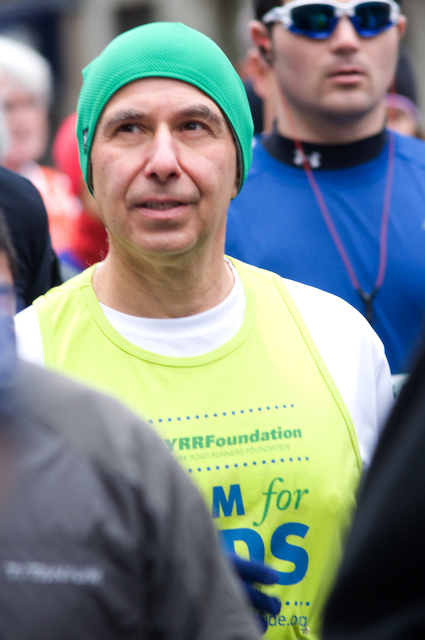 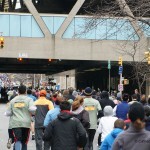 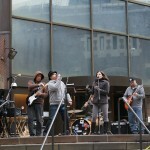 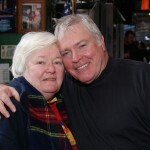 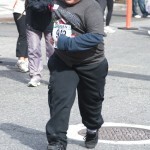 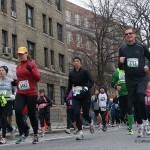 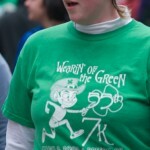 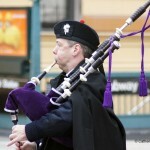 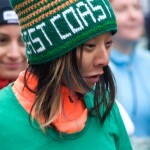 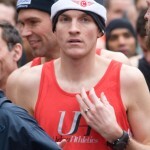 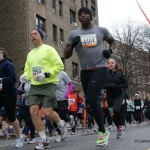 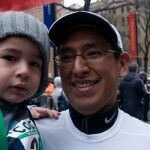 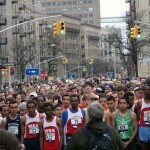 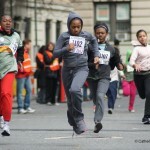 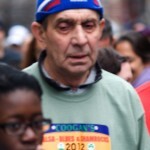 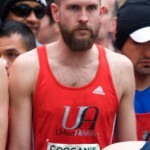 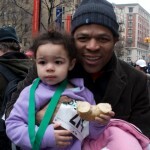 Sunday, March 4, 2012 – RAIN OR SHINE 9 a.m. 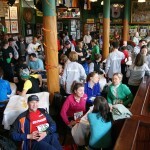 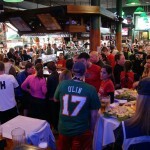 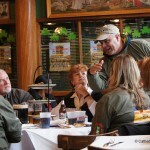 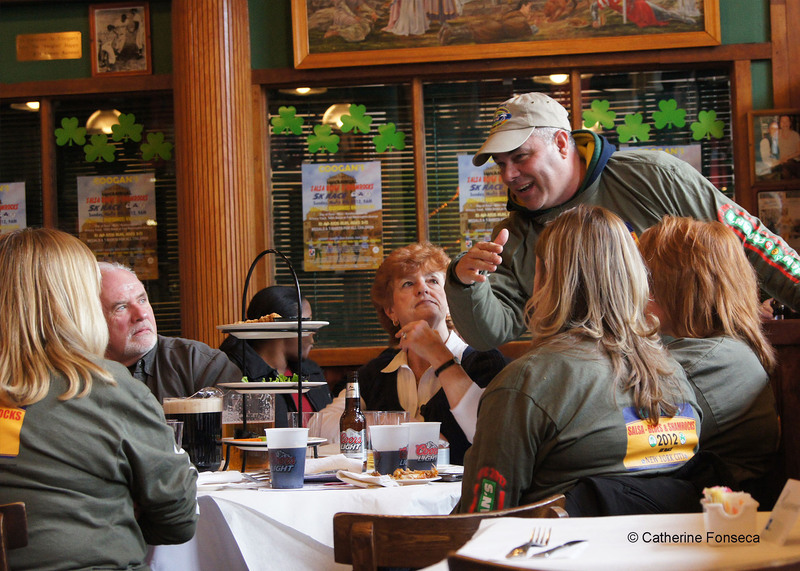 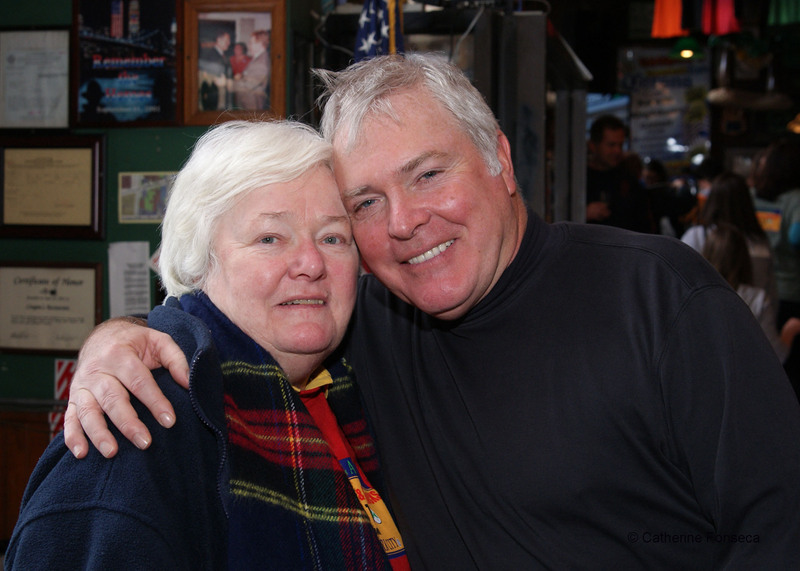 Reception for dignitaries and media at Coogan’s immediately following the race. 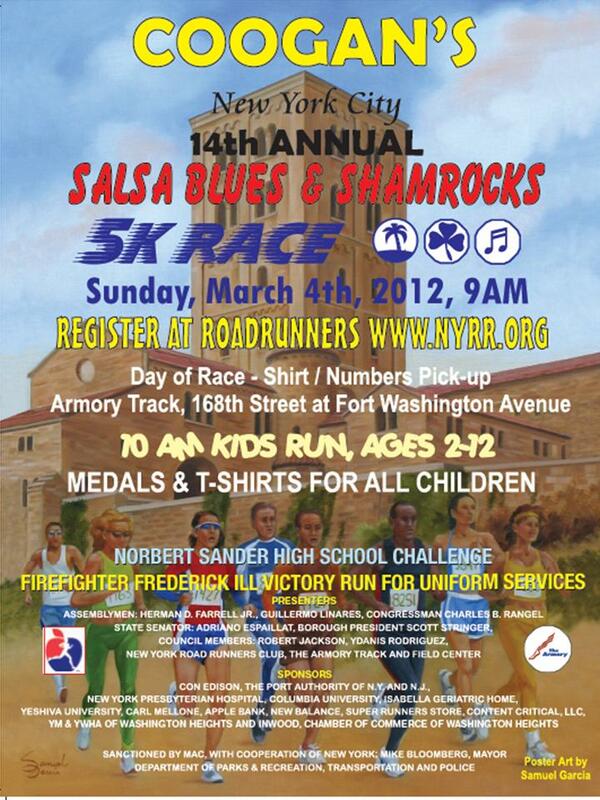 Proceeds from the race will benefit the newly opened USA TRACK AND FIELD HALL OF FAME and the ARMORY TRACK AND FIELD CENTER.